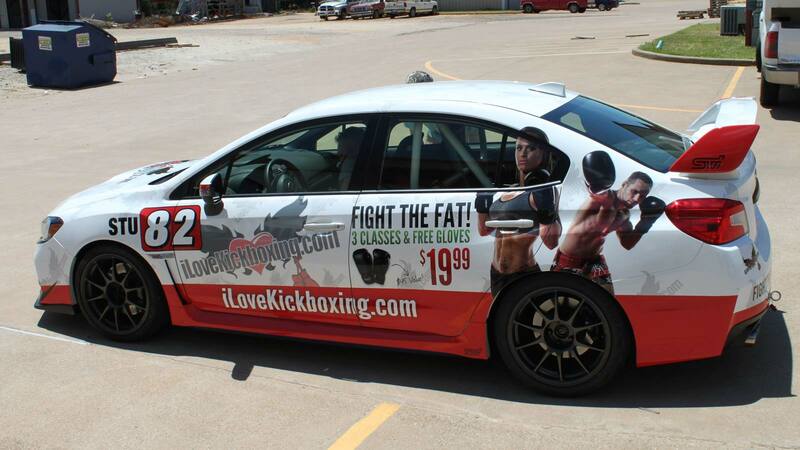 Take it to the streets and start making impressions. 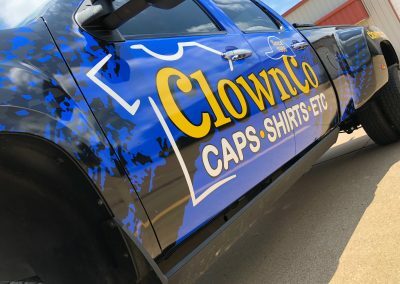 Get your name out there, and get your style out there with it. 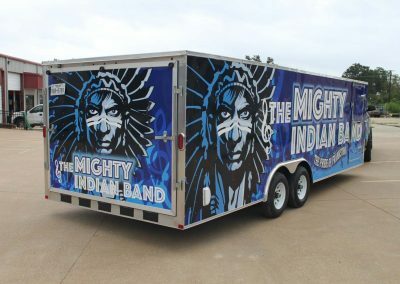 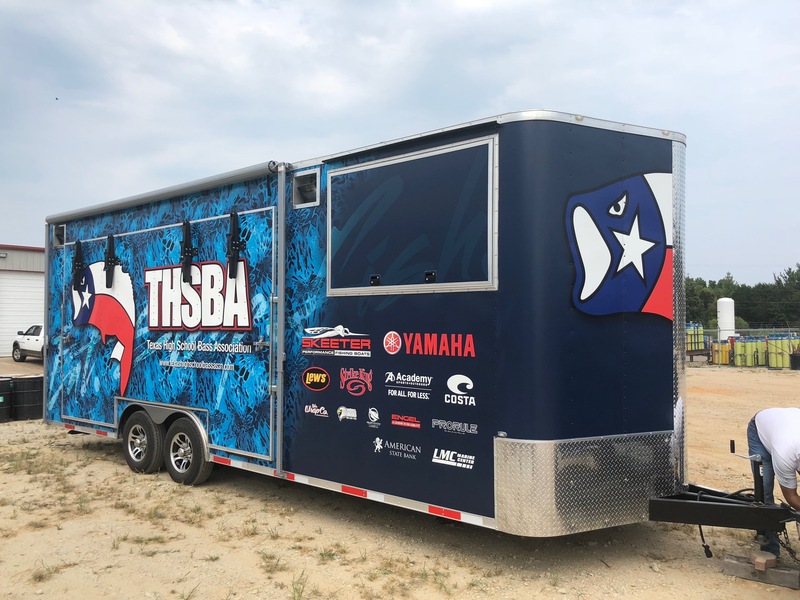 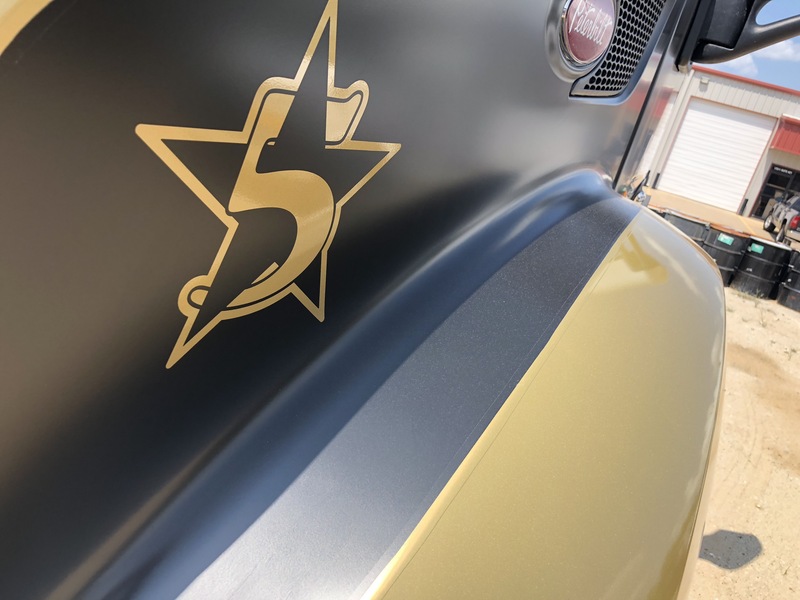 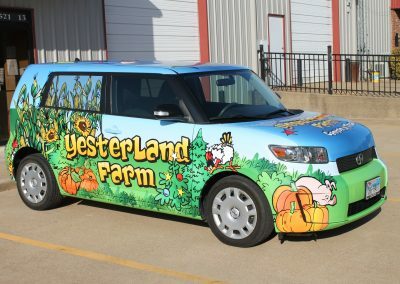 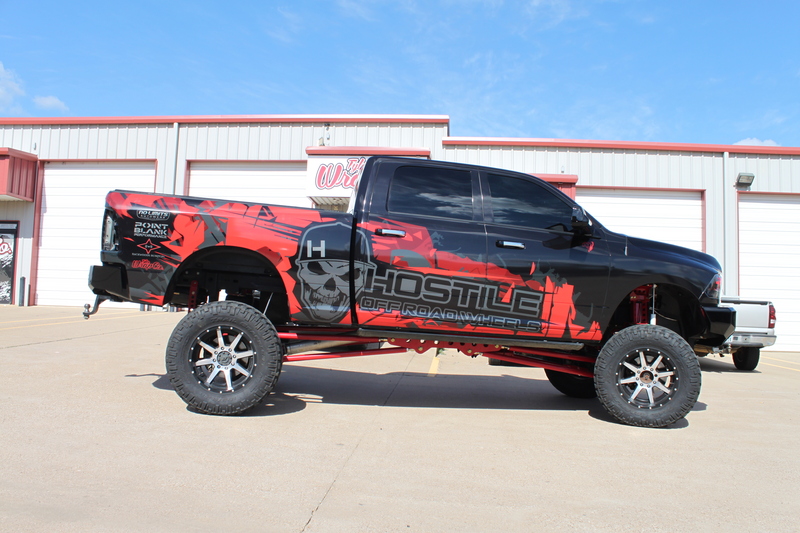 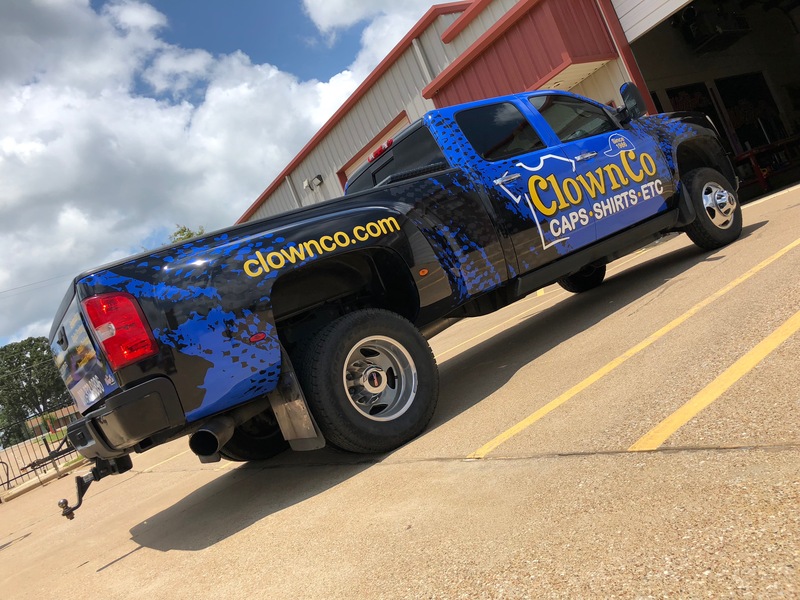 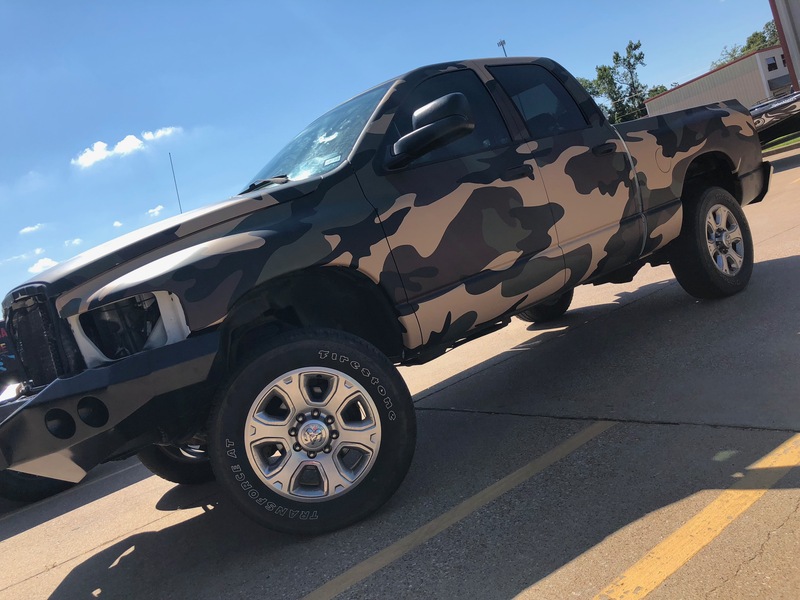 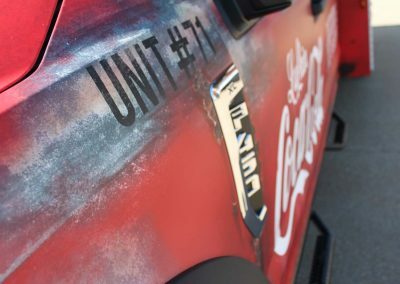 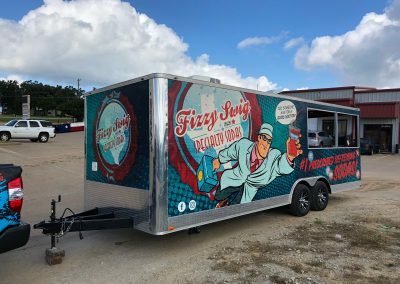 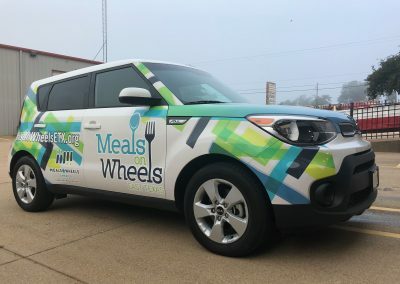 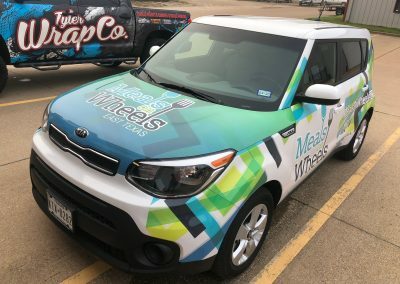 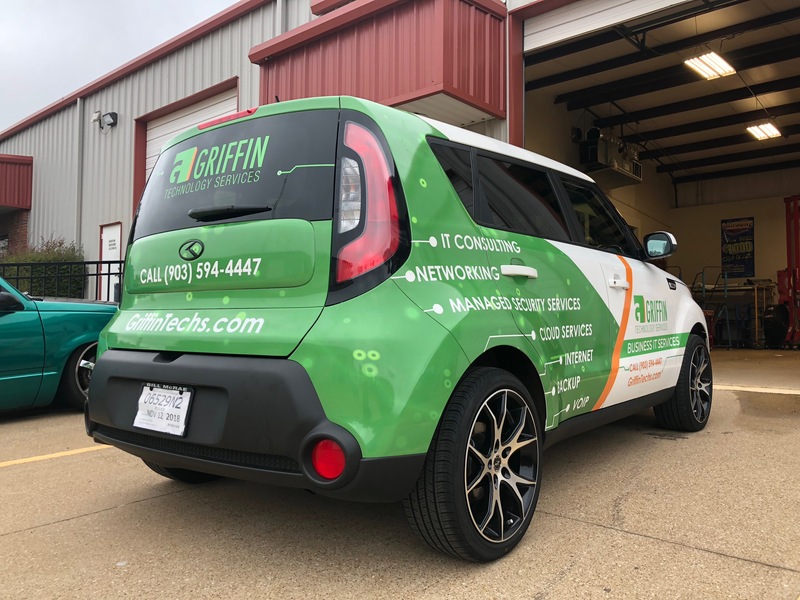 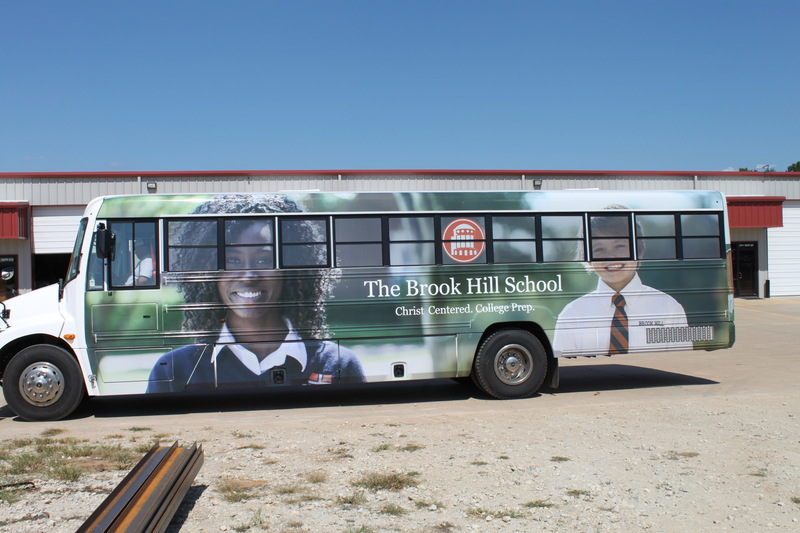 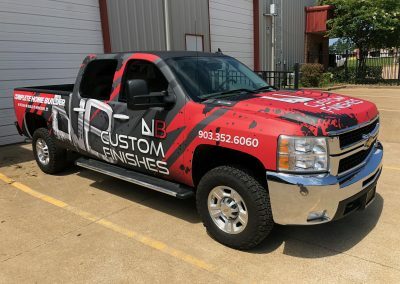 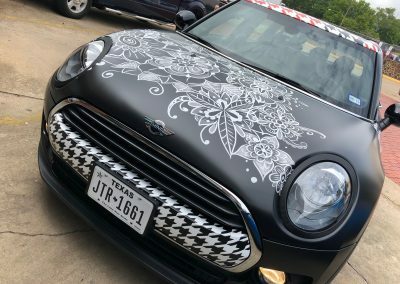 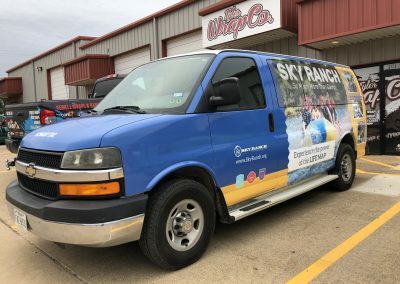 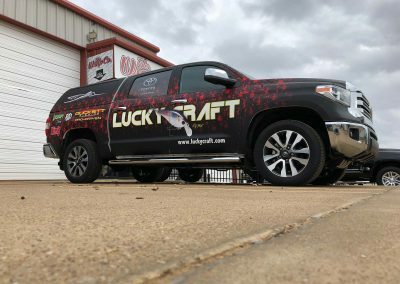 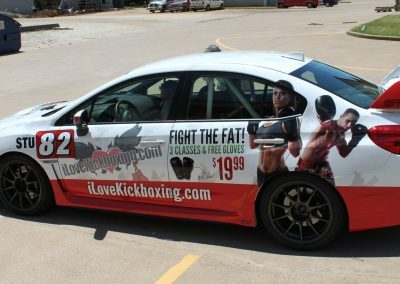 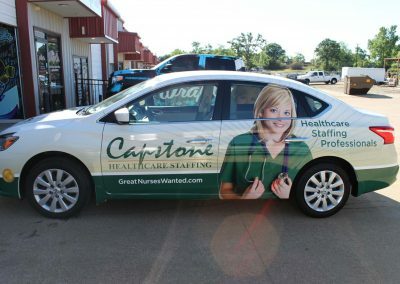 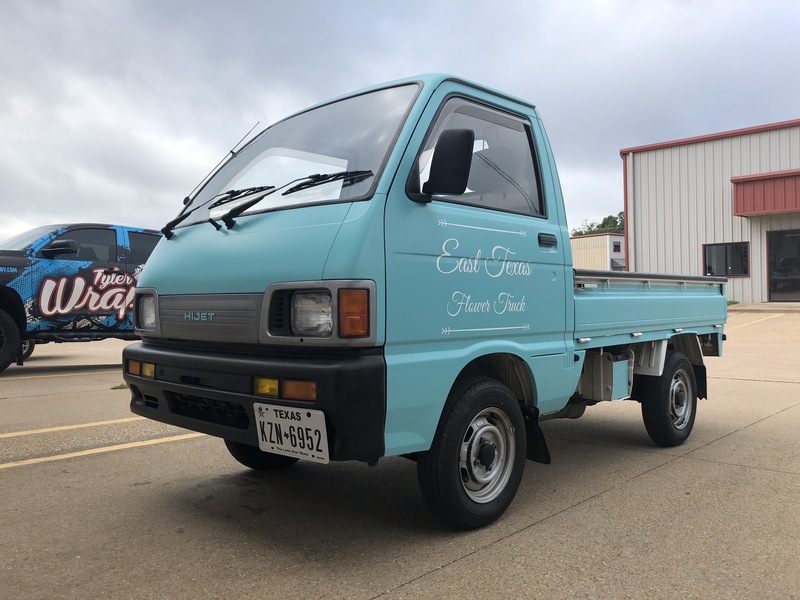 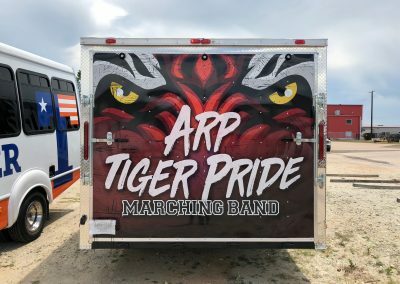 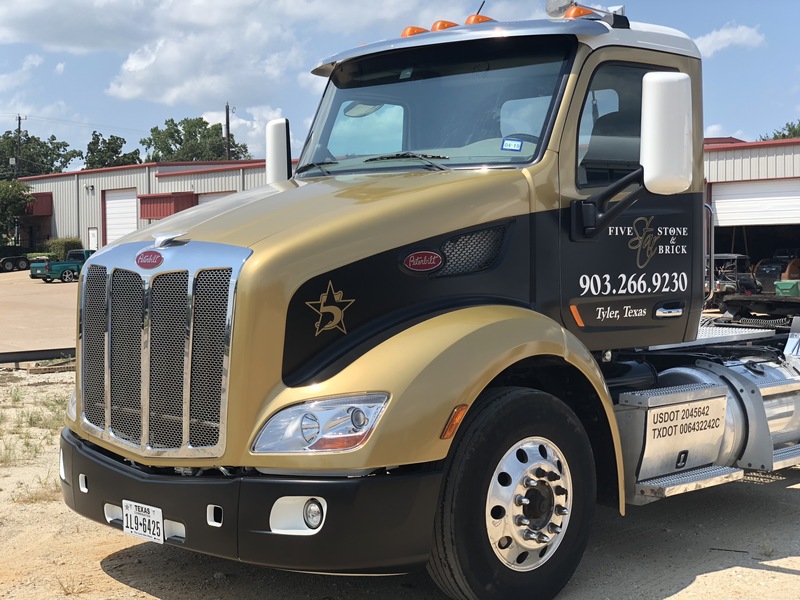 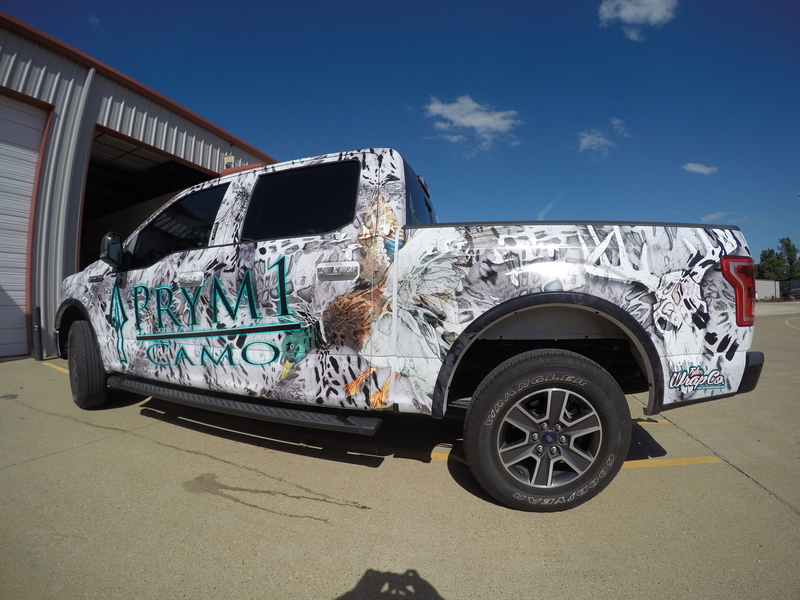 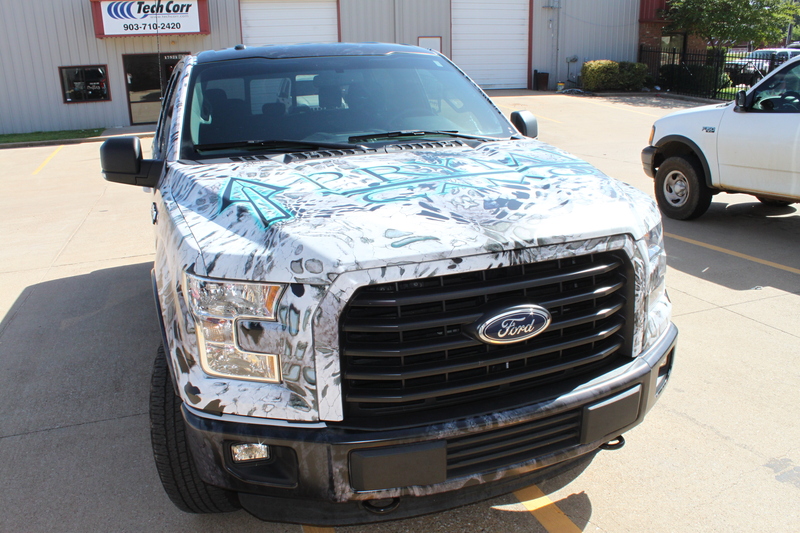 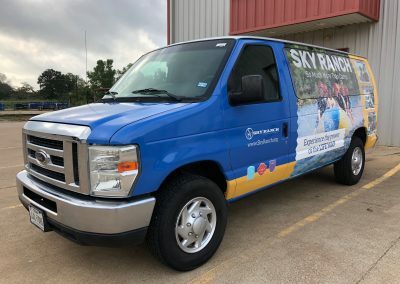 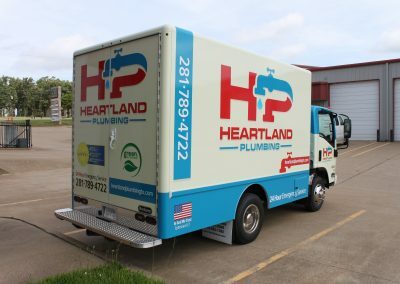 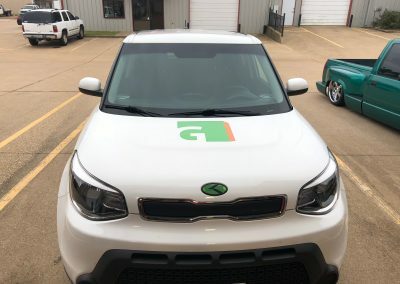 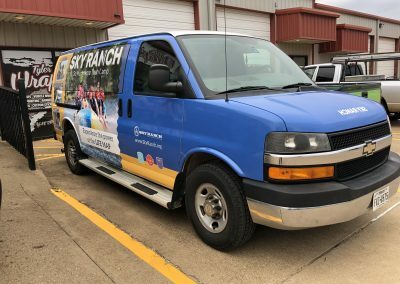 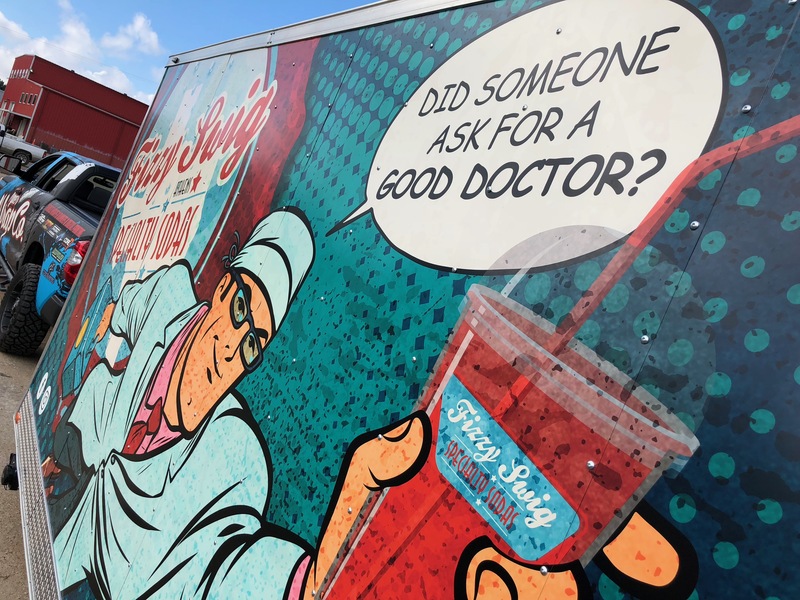 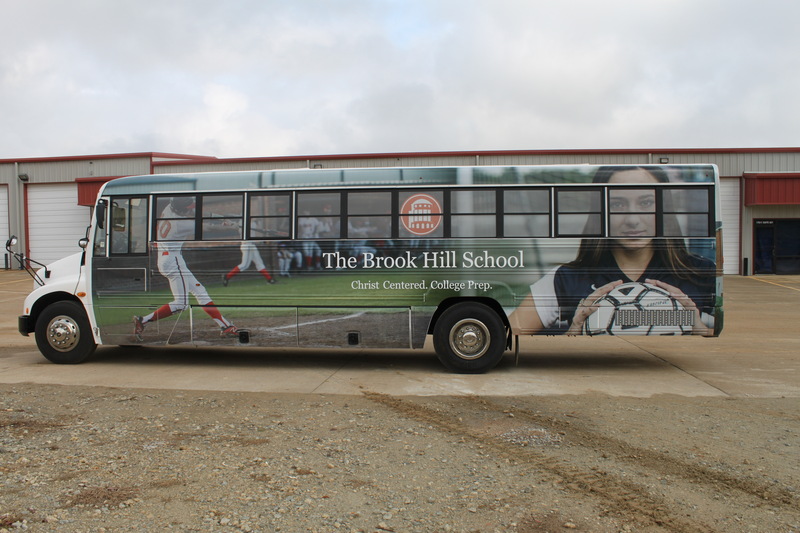 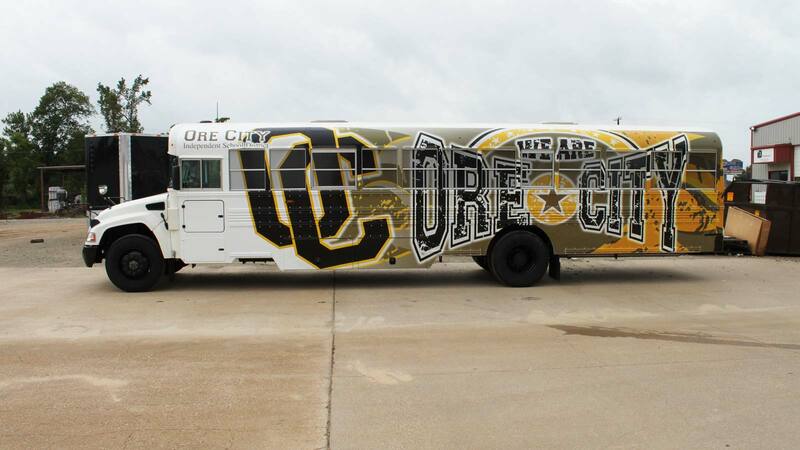 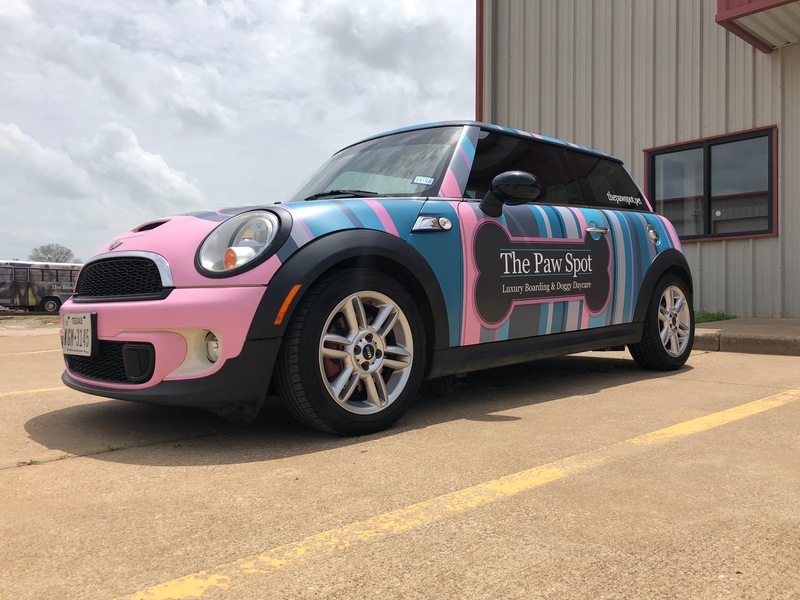 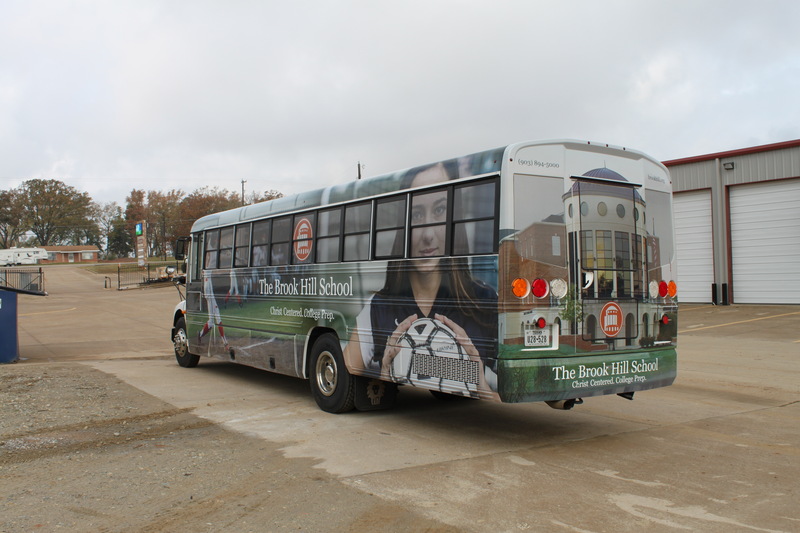 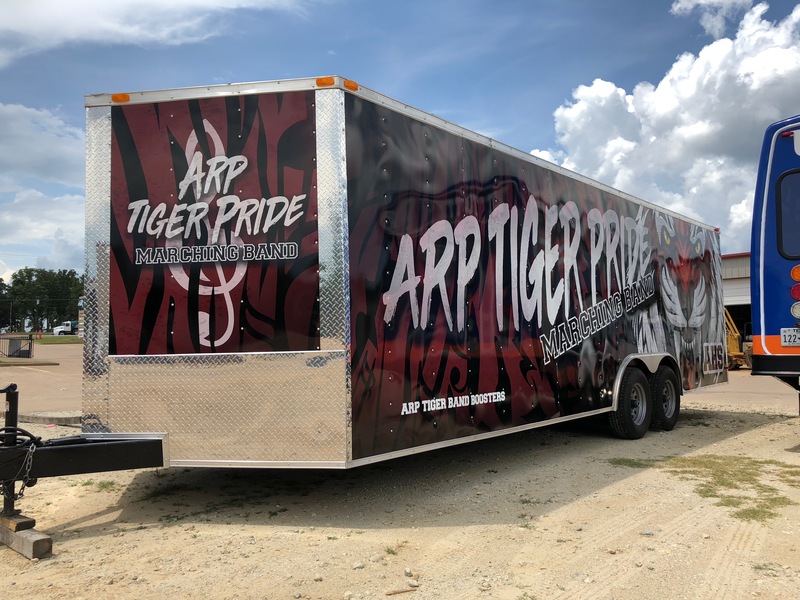 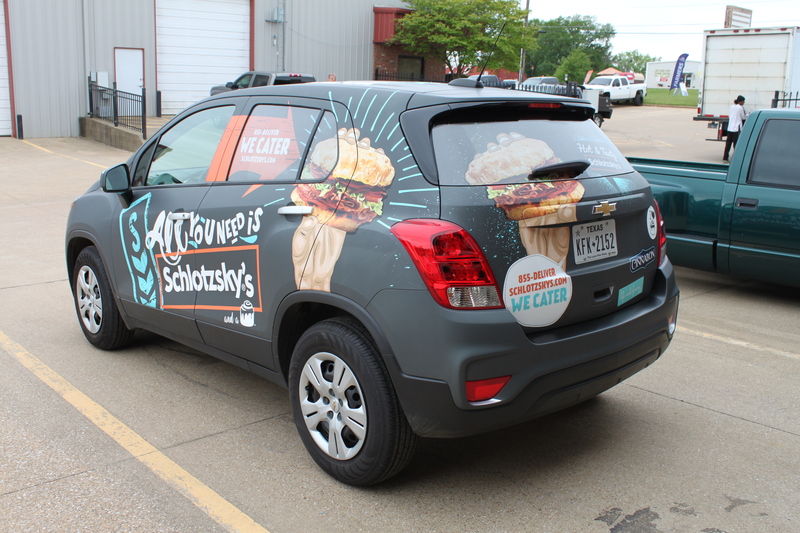 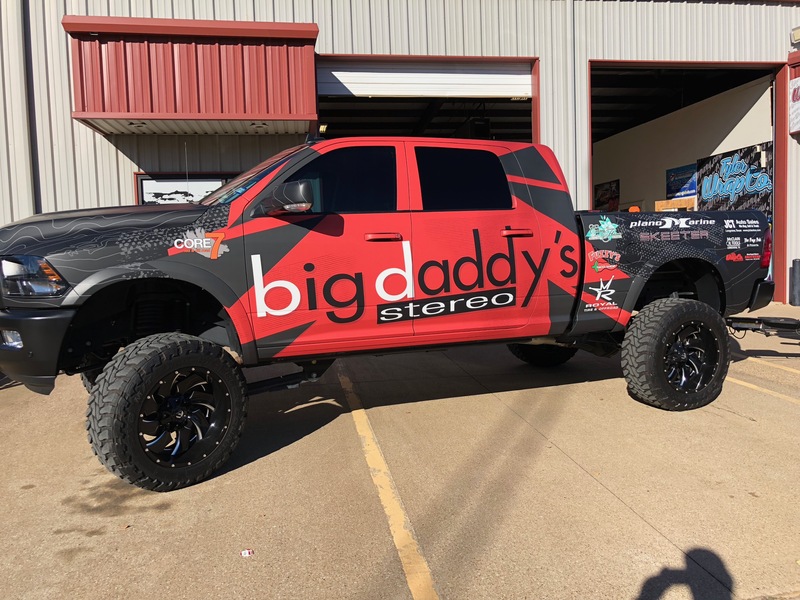 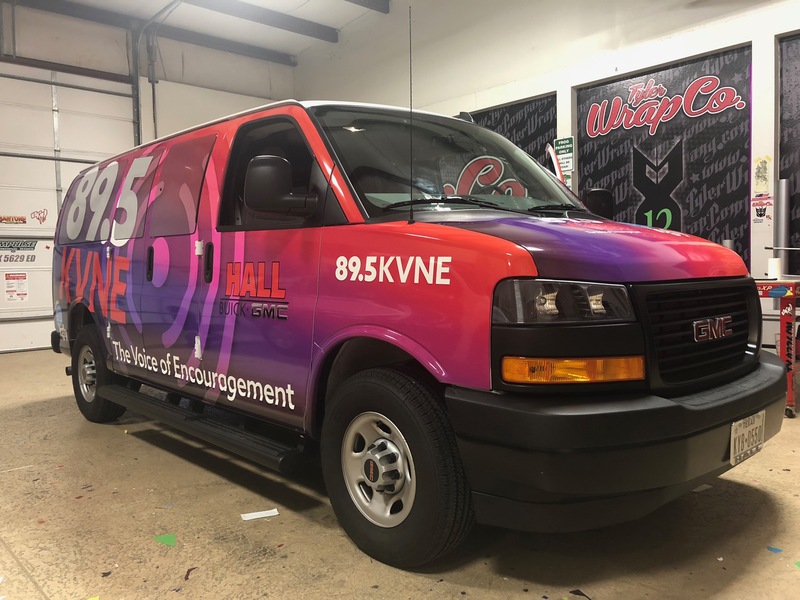 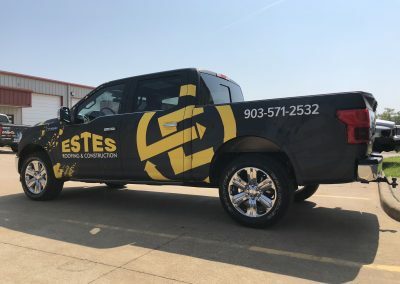 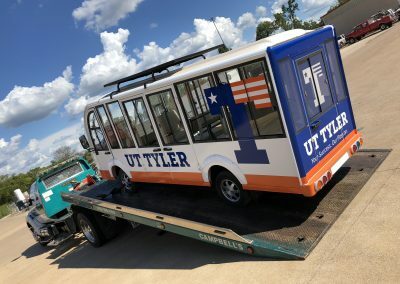 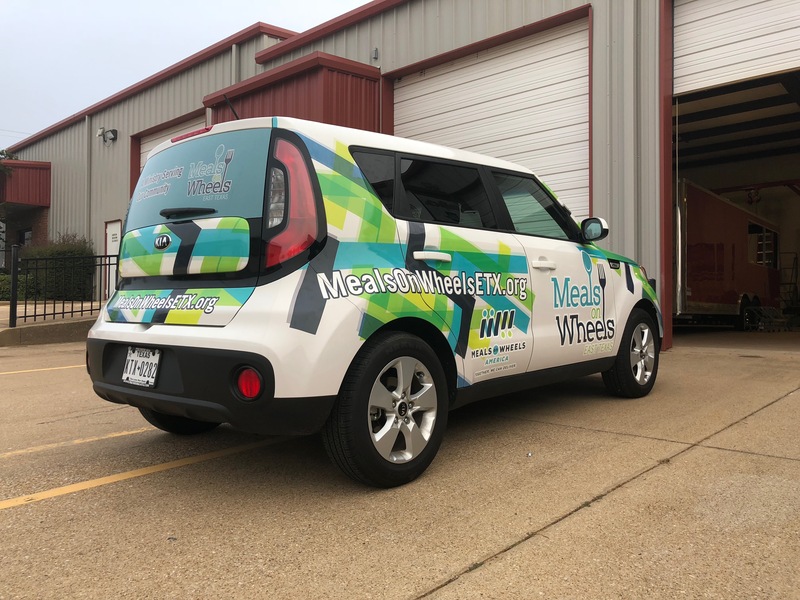 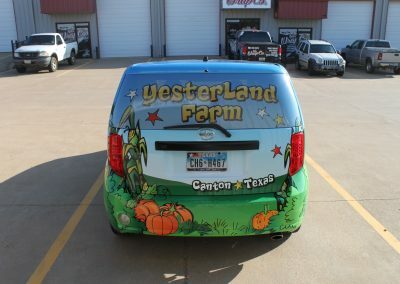 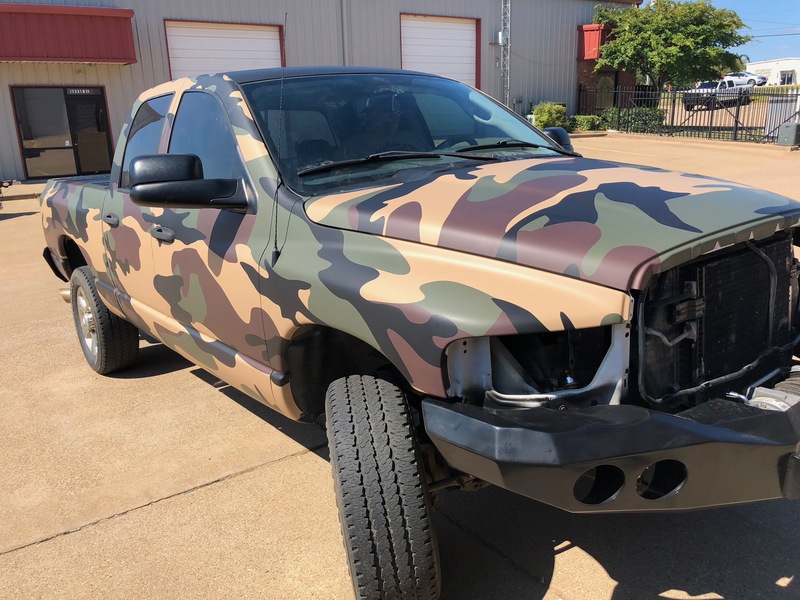 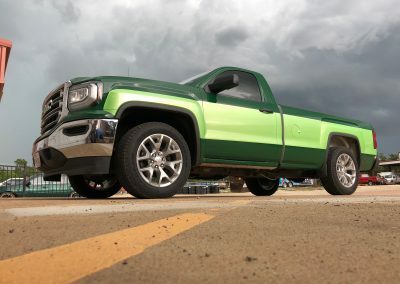 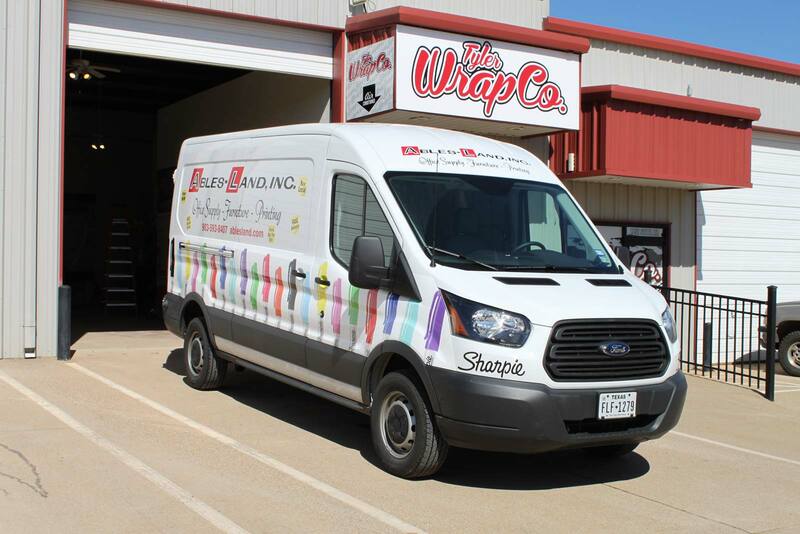 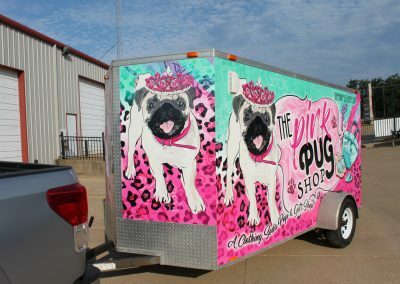 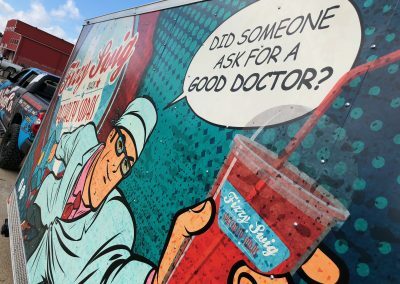 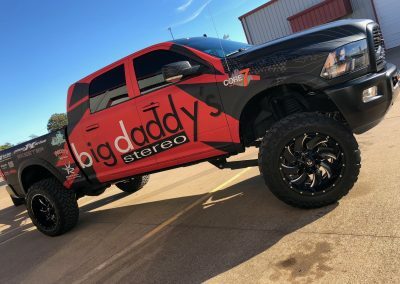 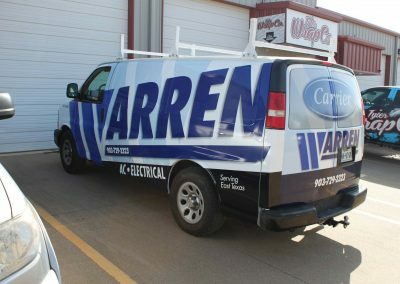 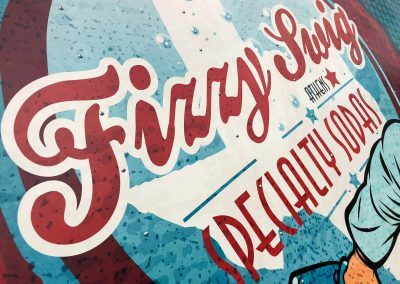 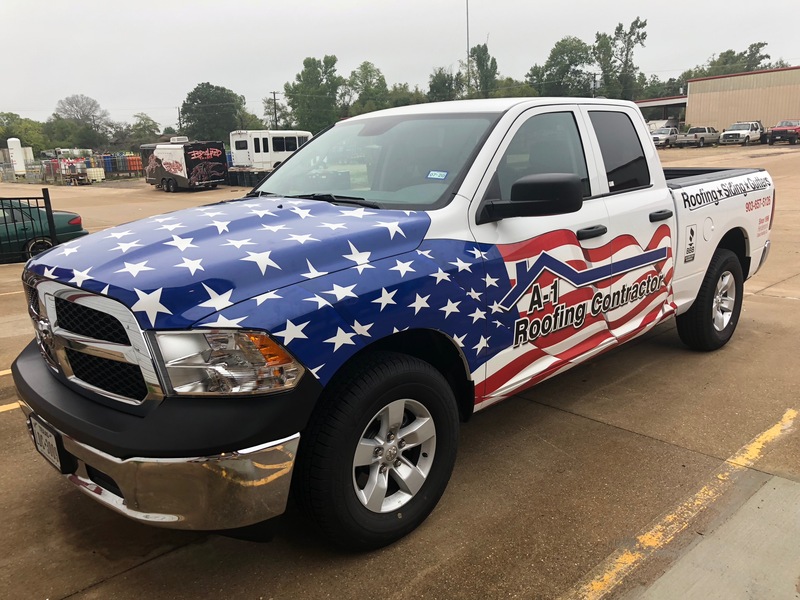 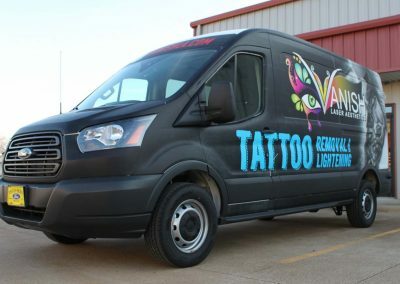 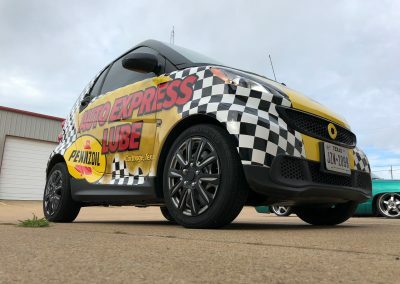 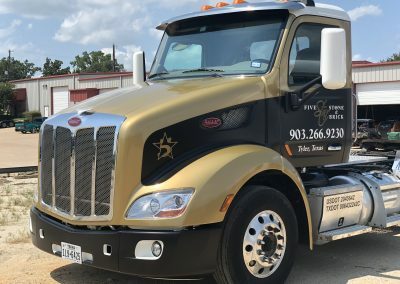 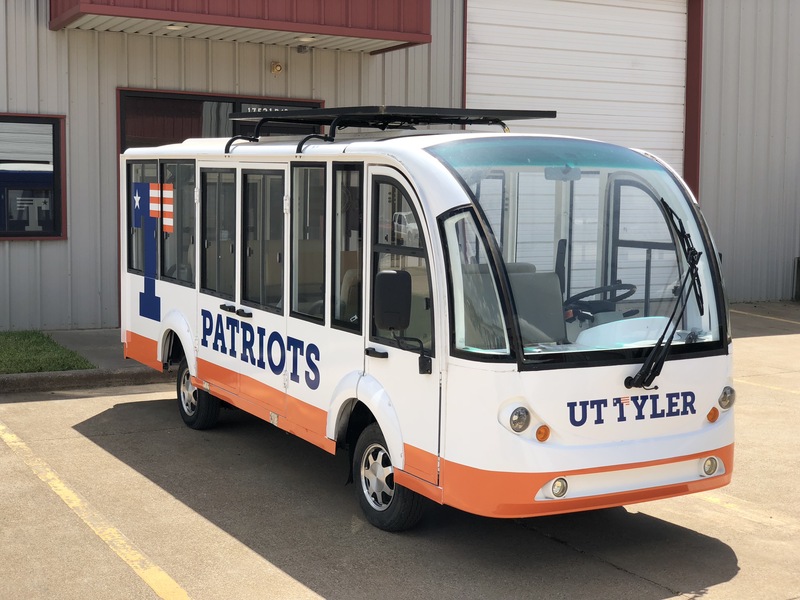 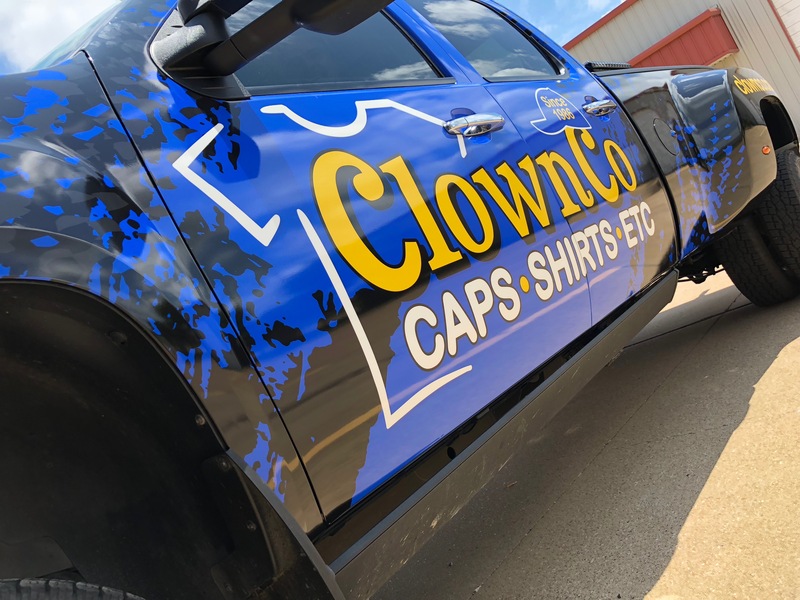 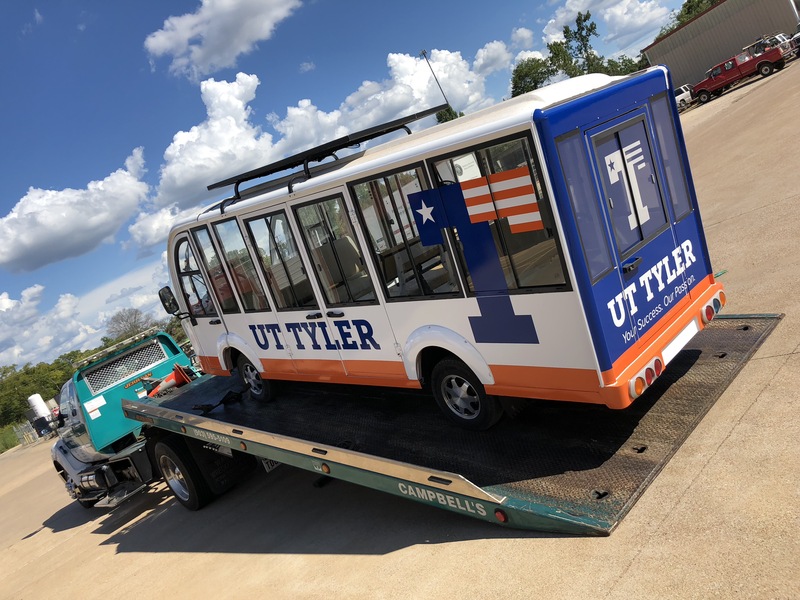 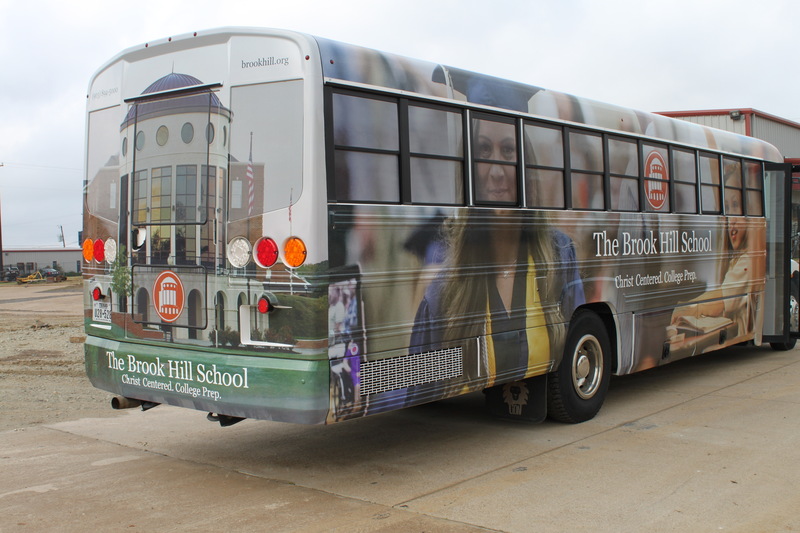 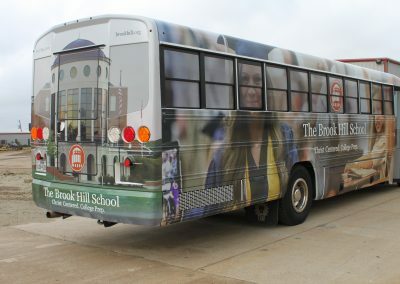 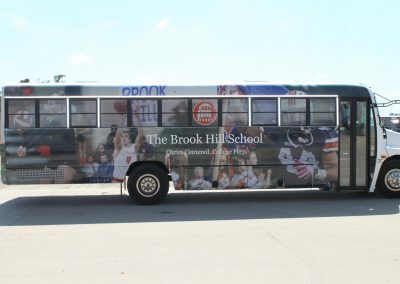 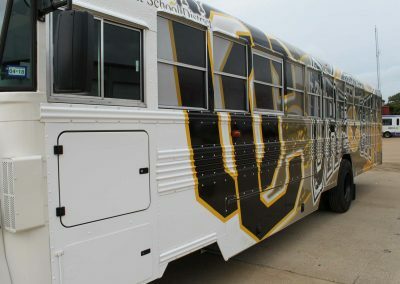 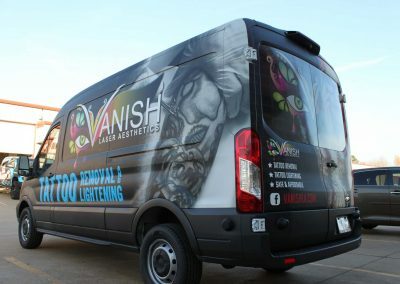 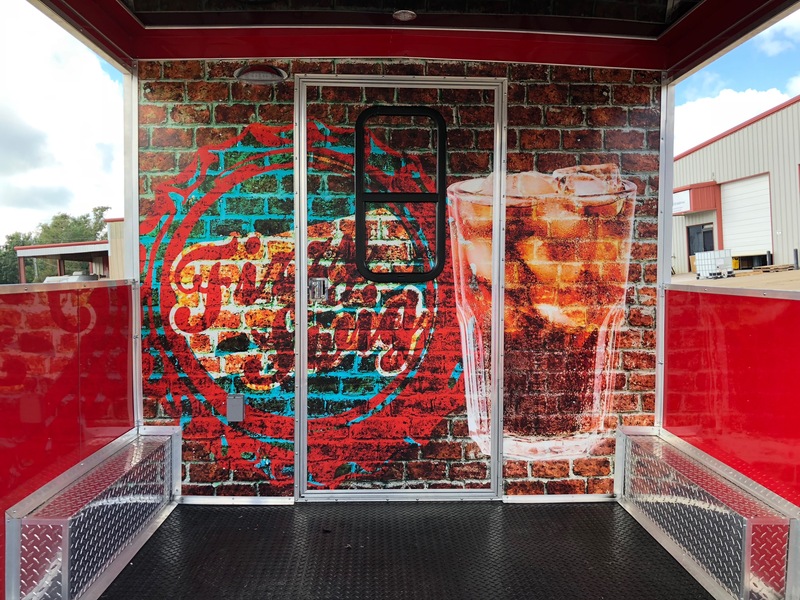 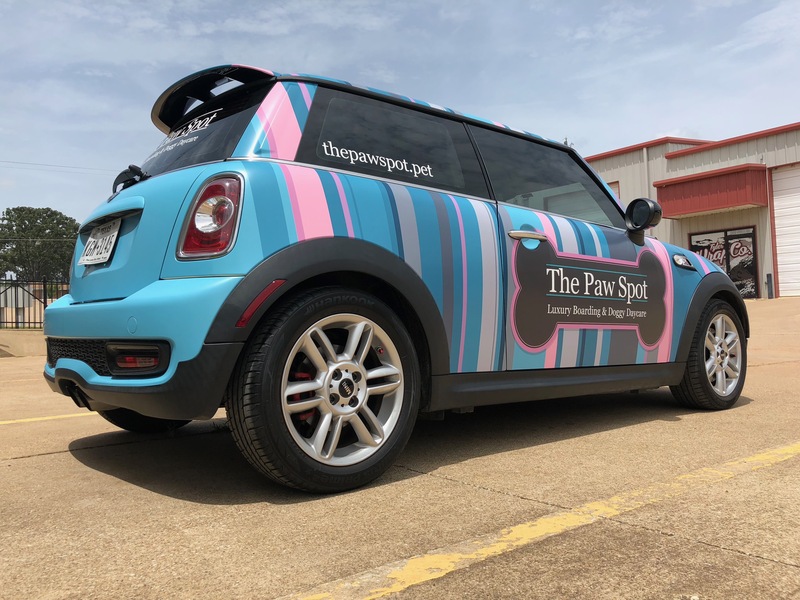 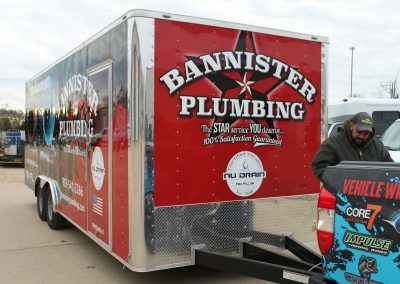 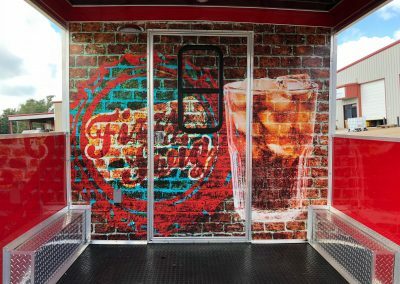 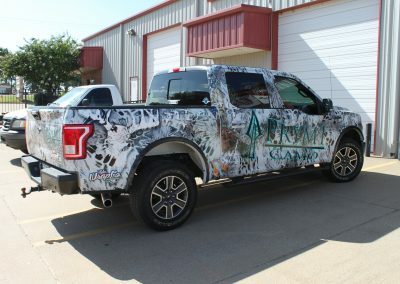 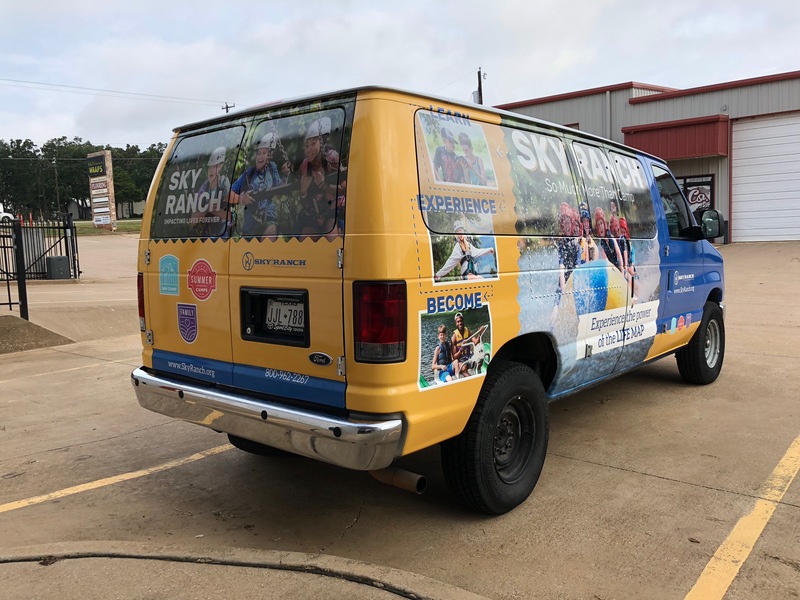 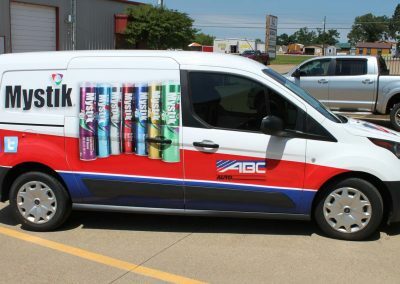 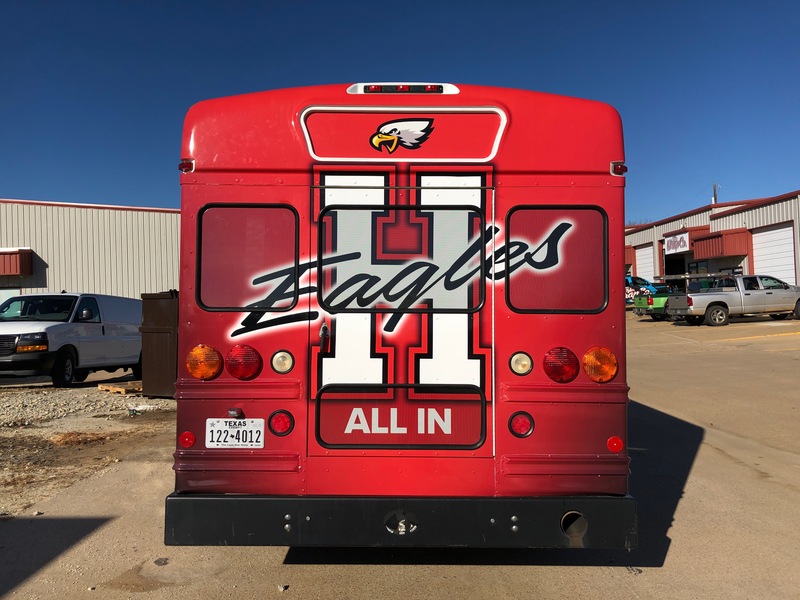 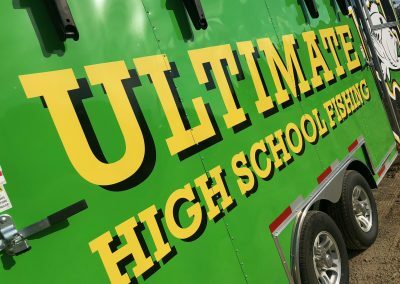 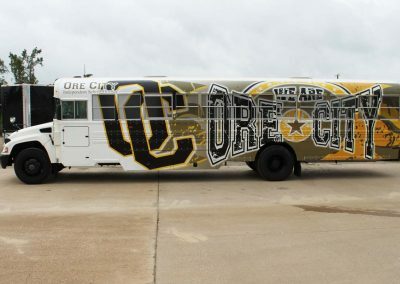 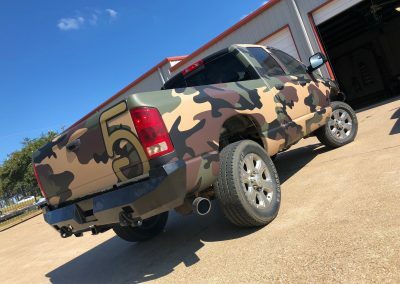 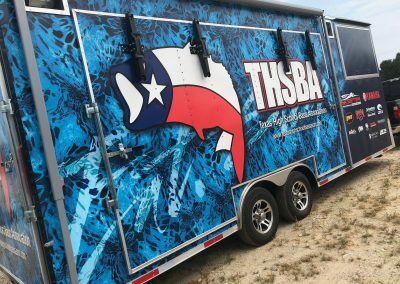 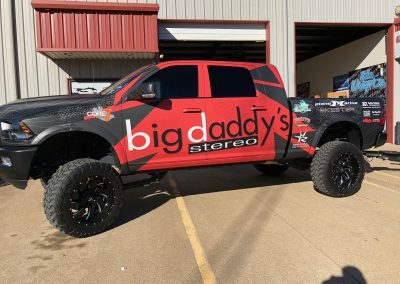 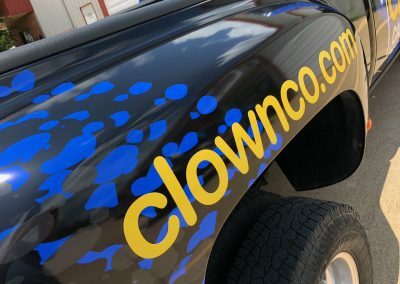 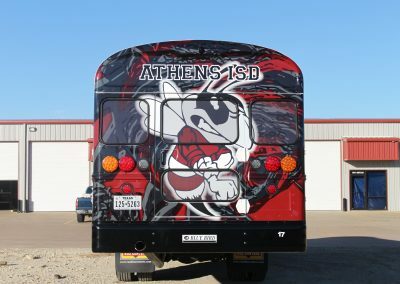 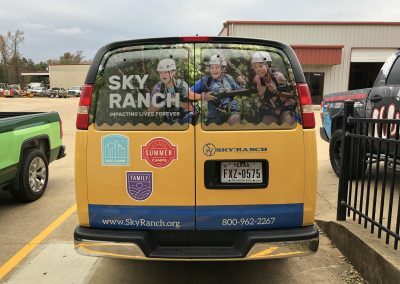 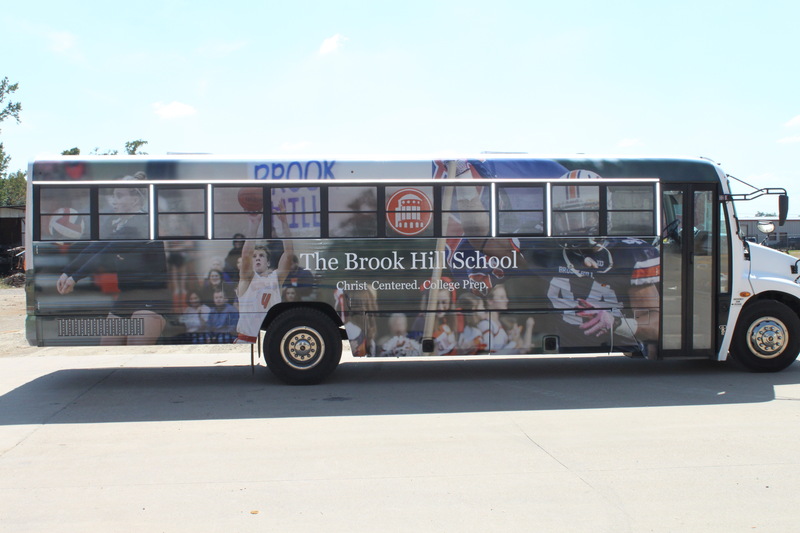 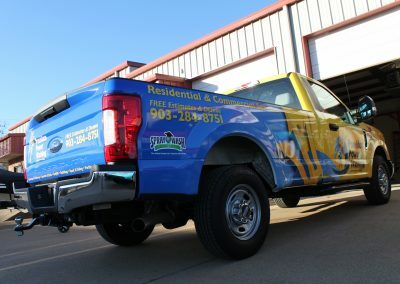 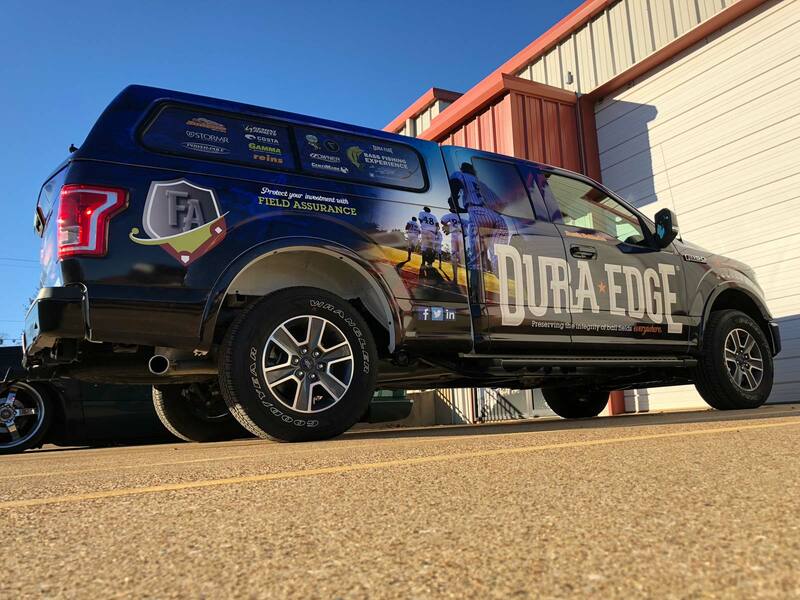 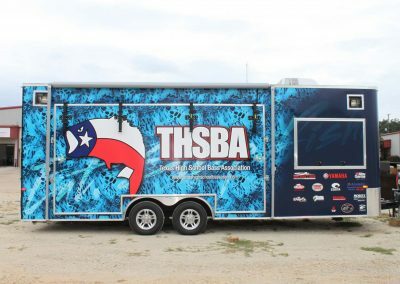 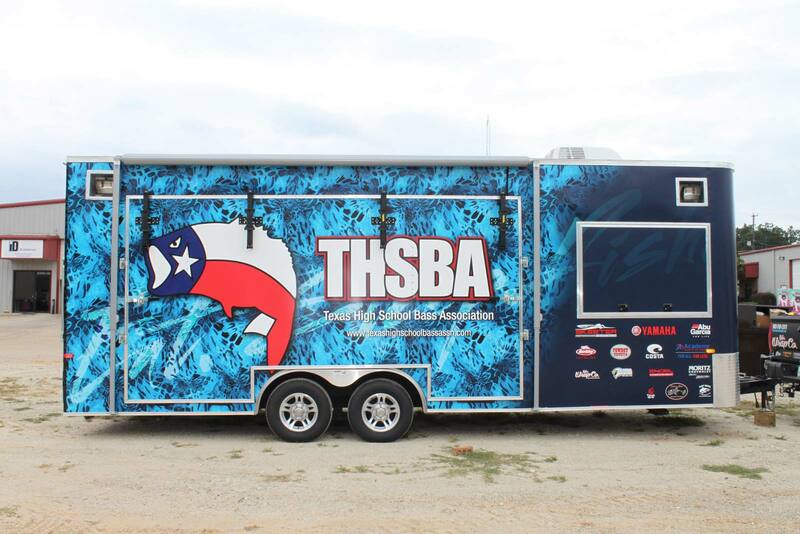 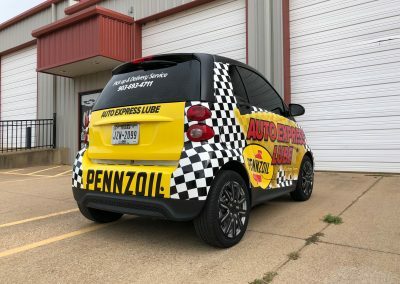 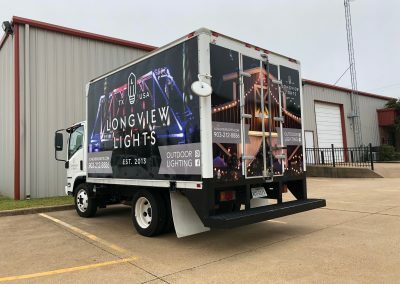 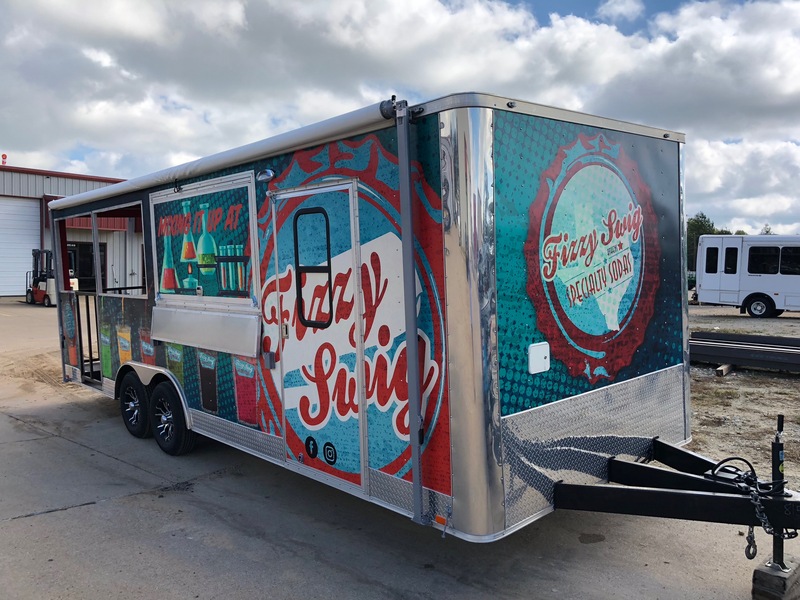 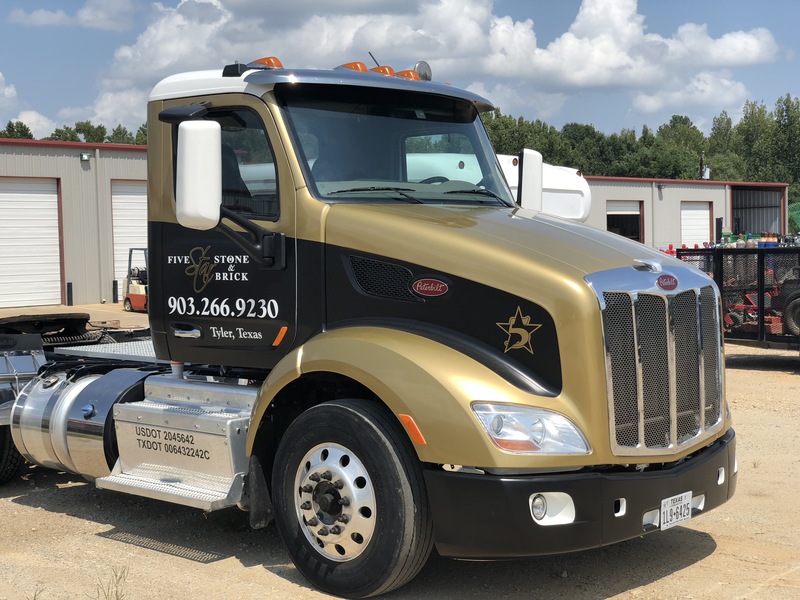 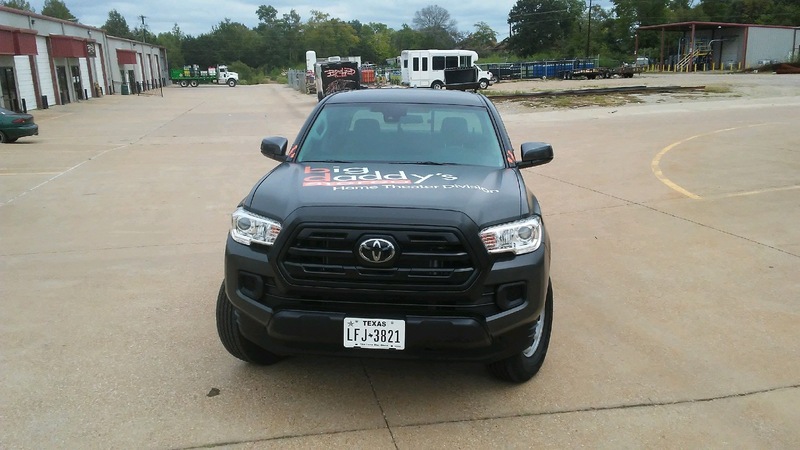 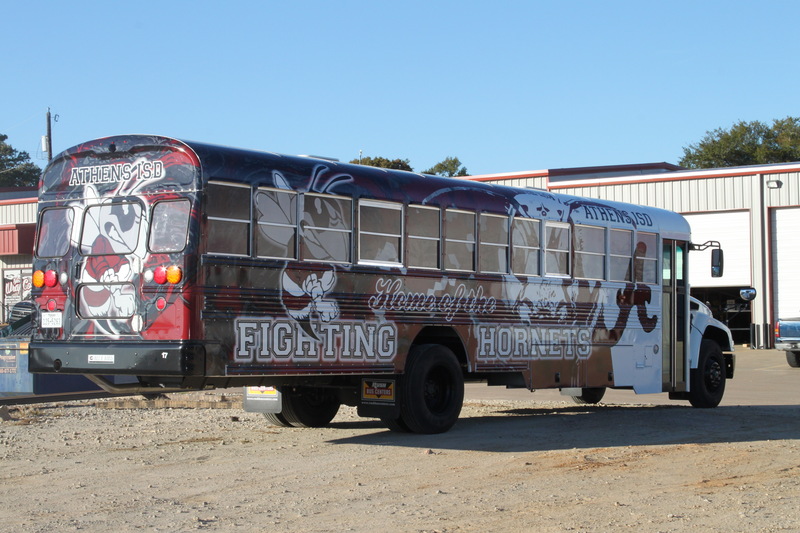 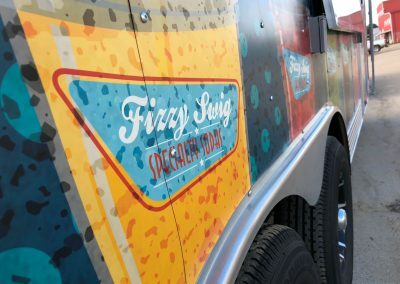 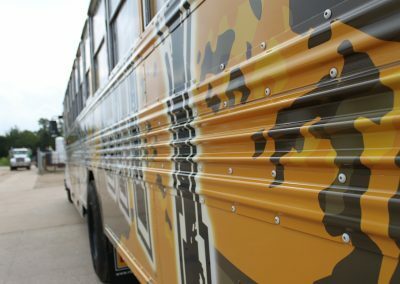 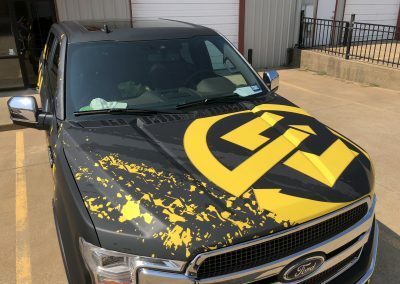 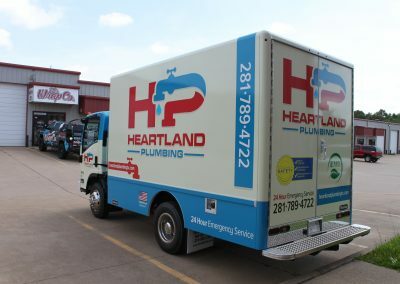 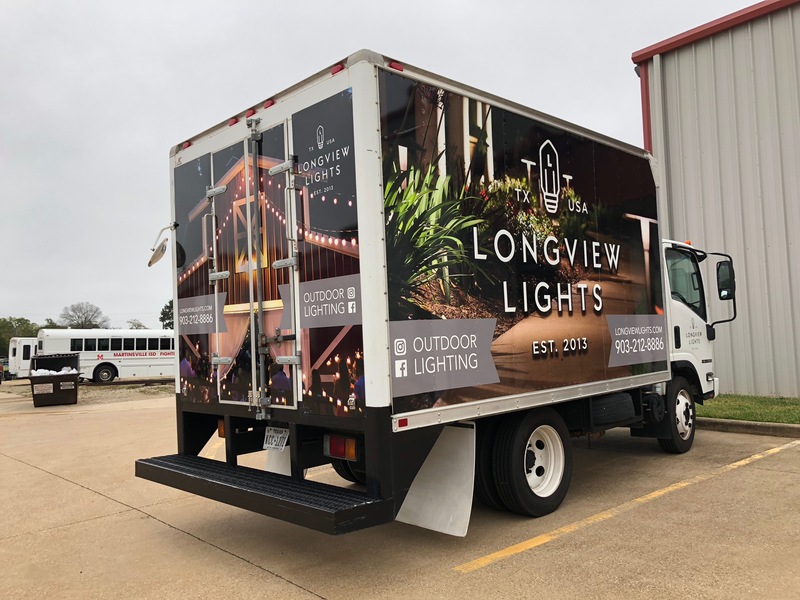 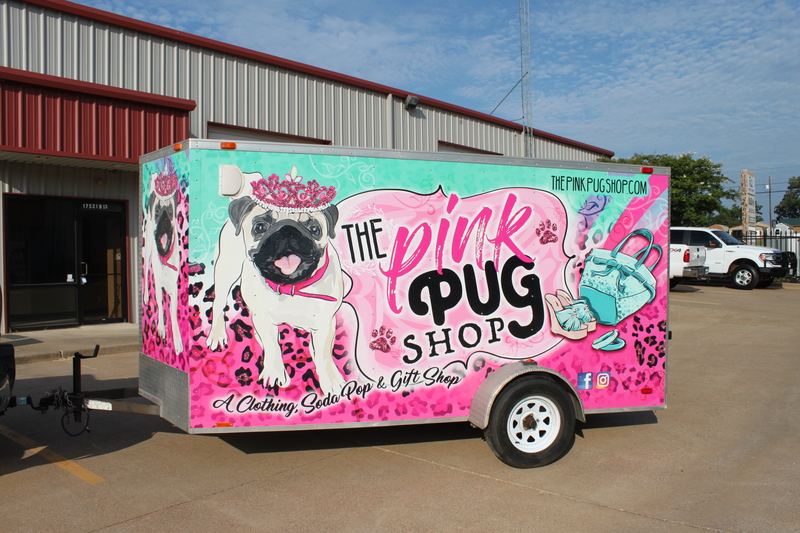 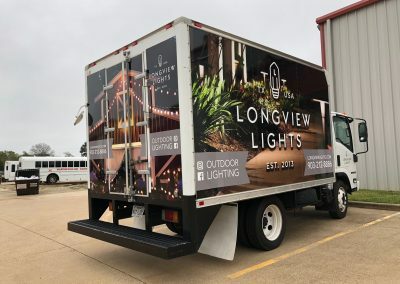 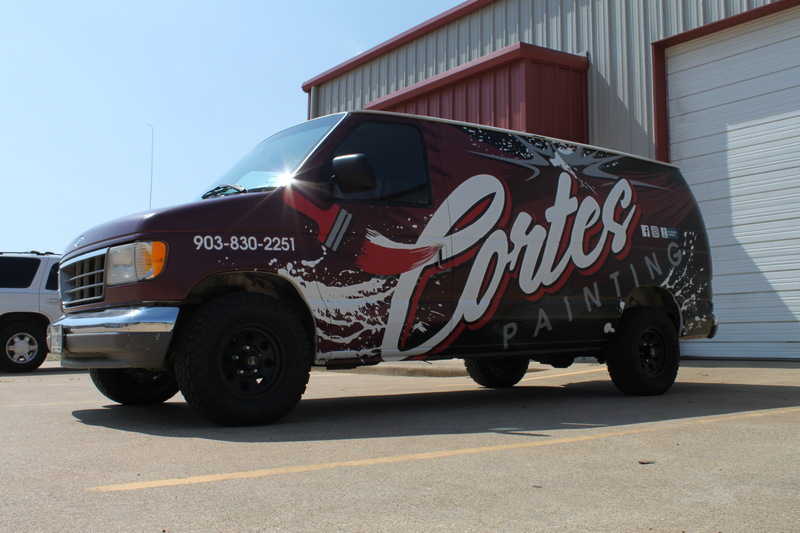 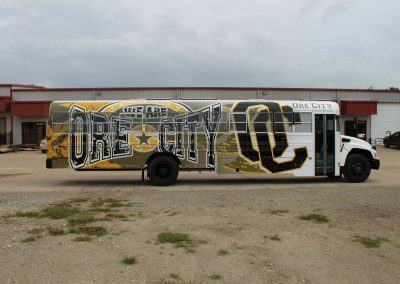 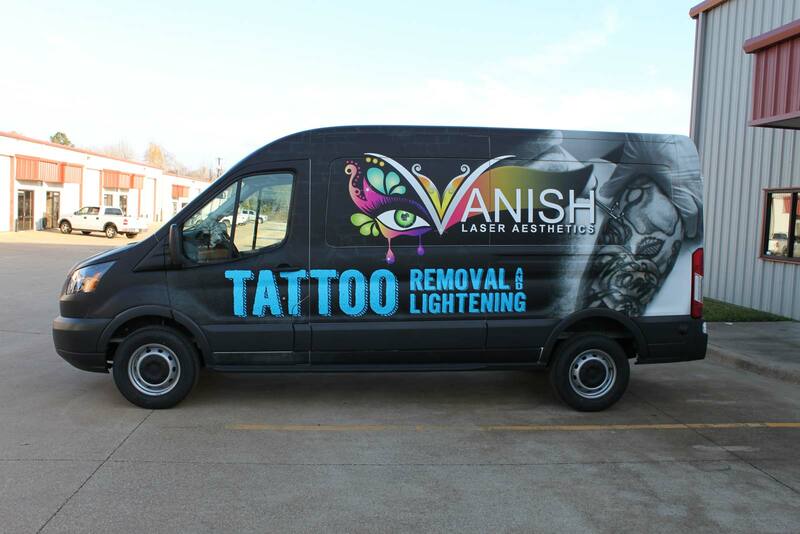 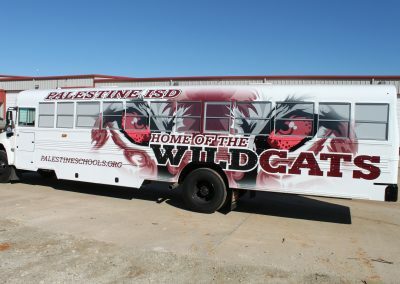 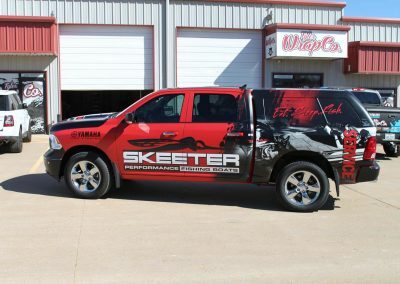 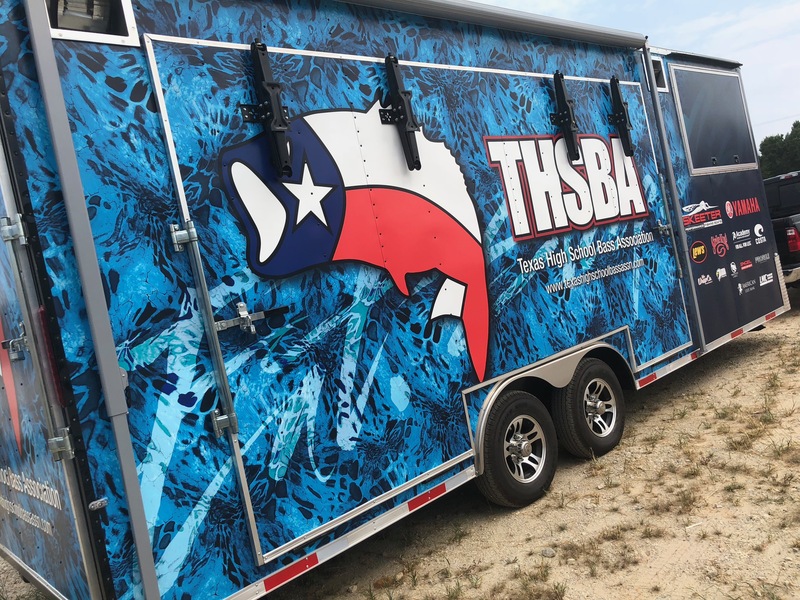 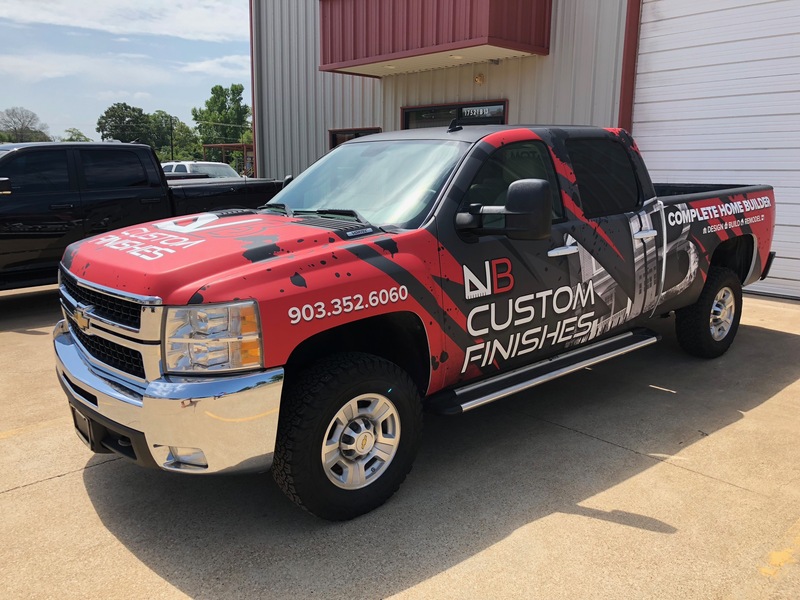 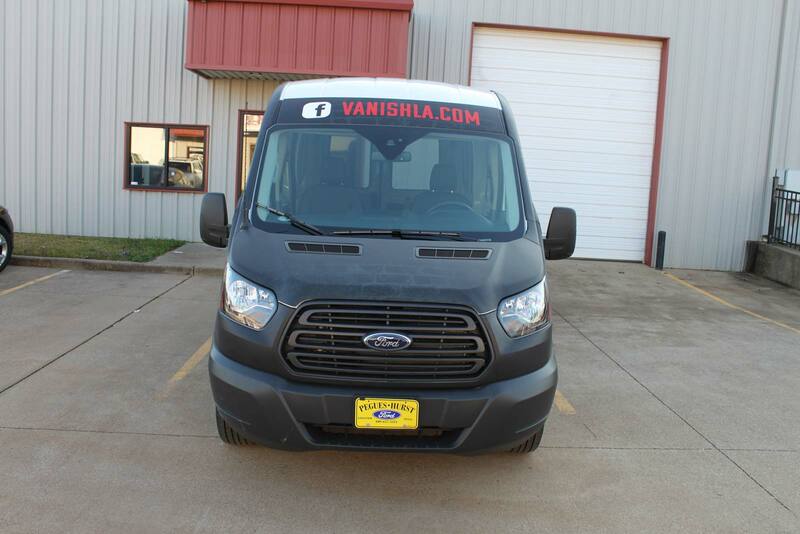 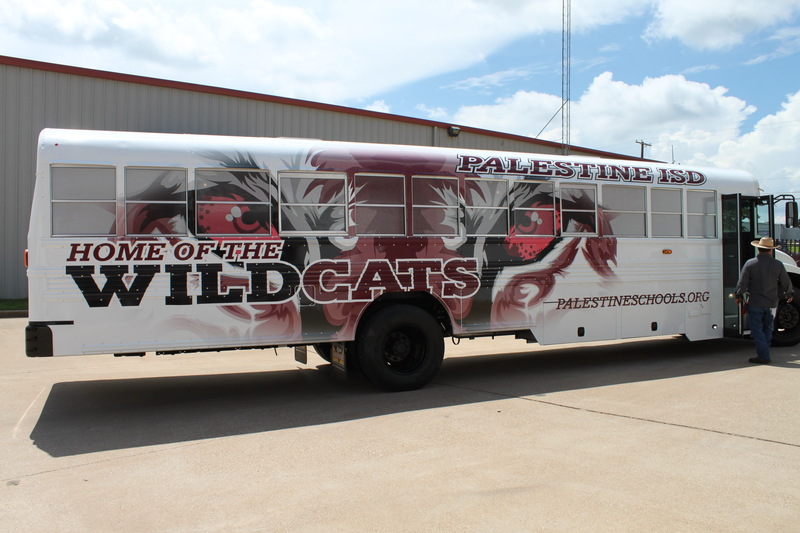 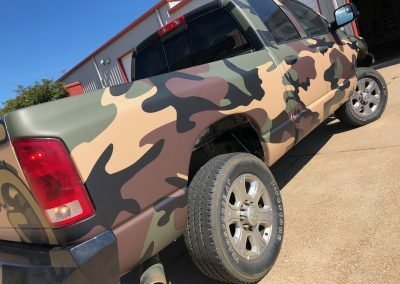 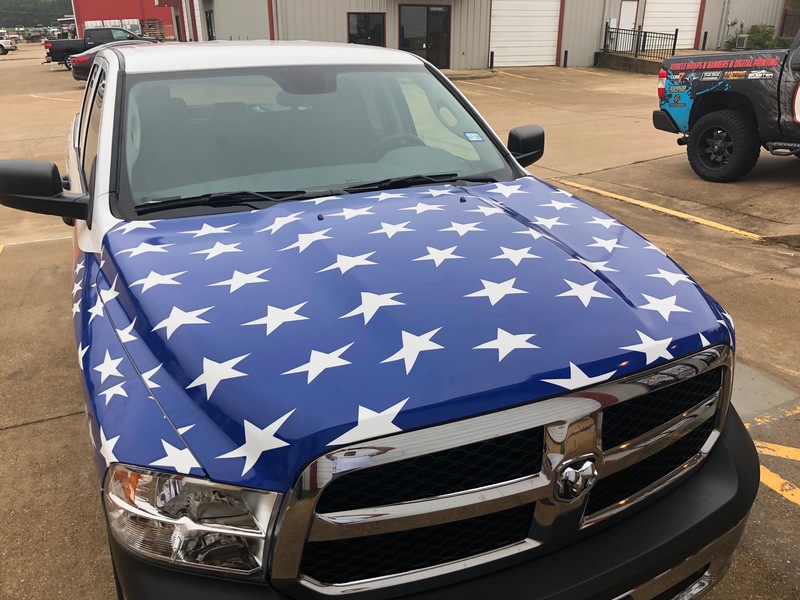 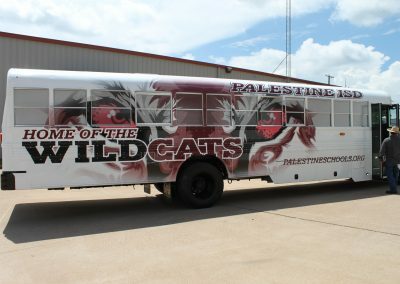 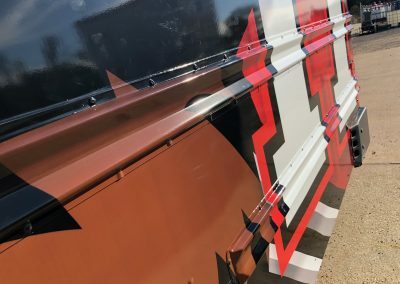 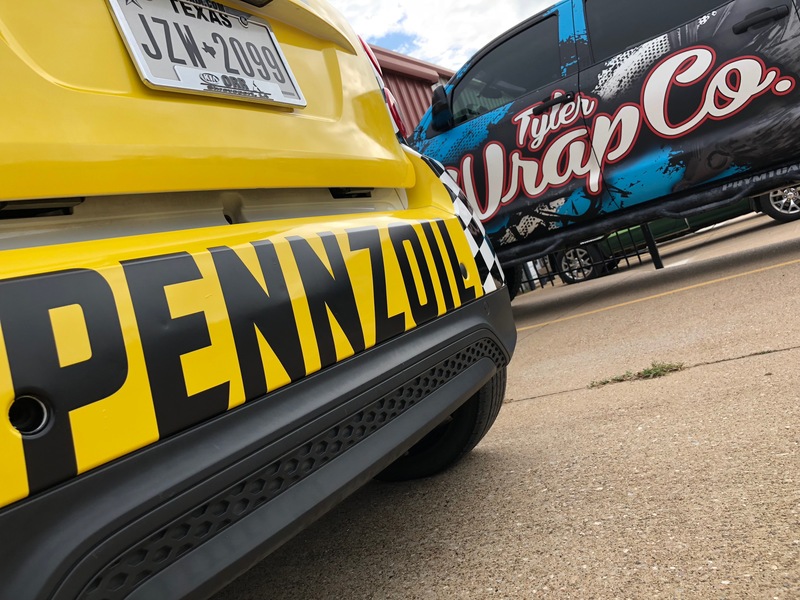 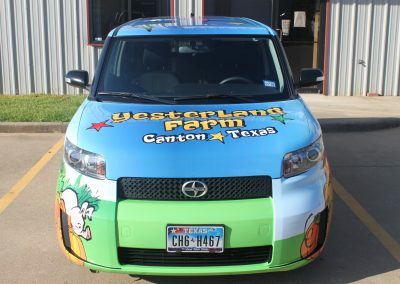 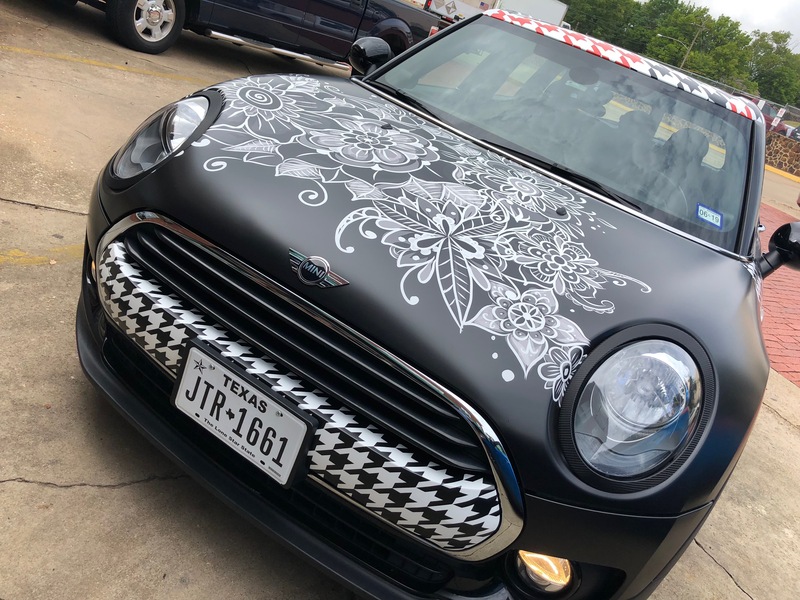 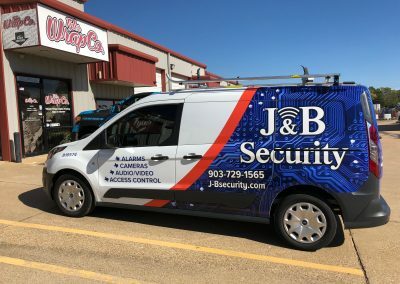 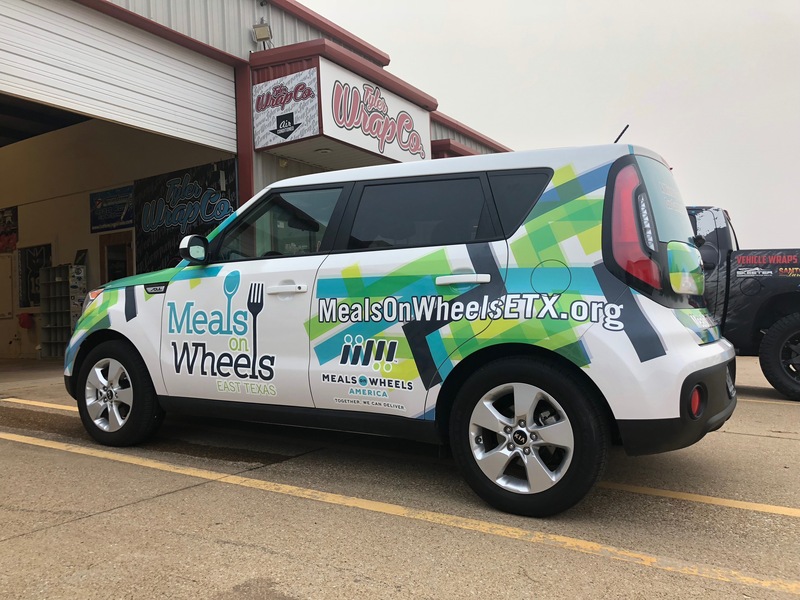 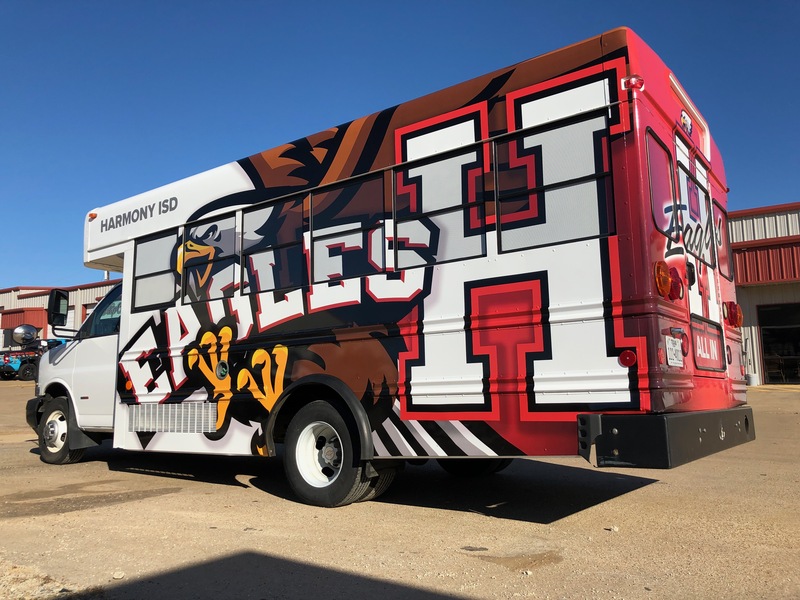 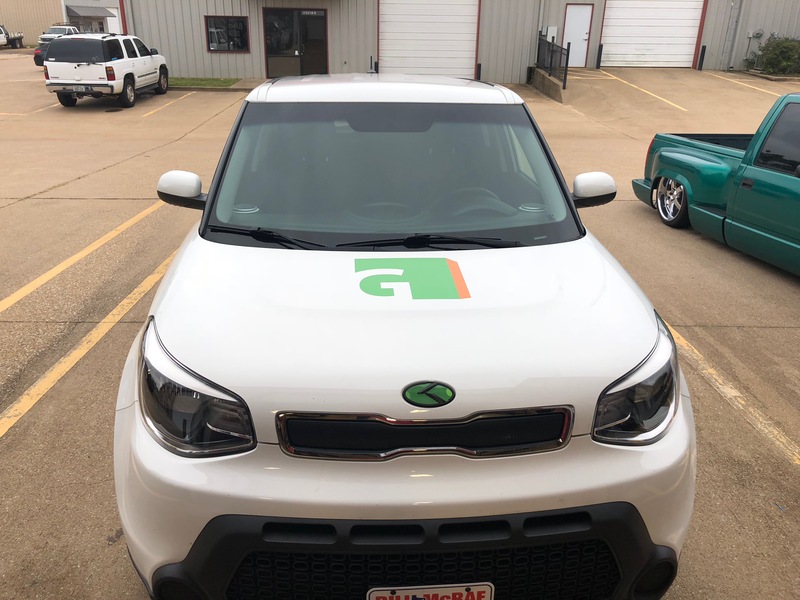 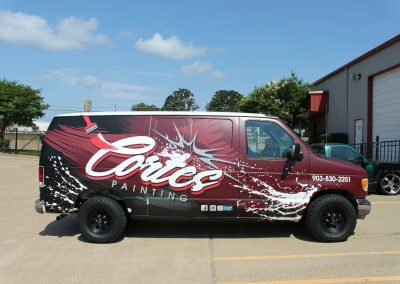 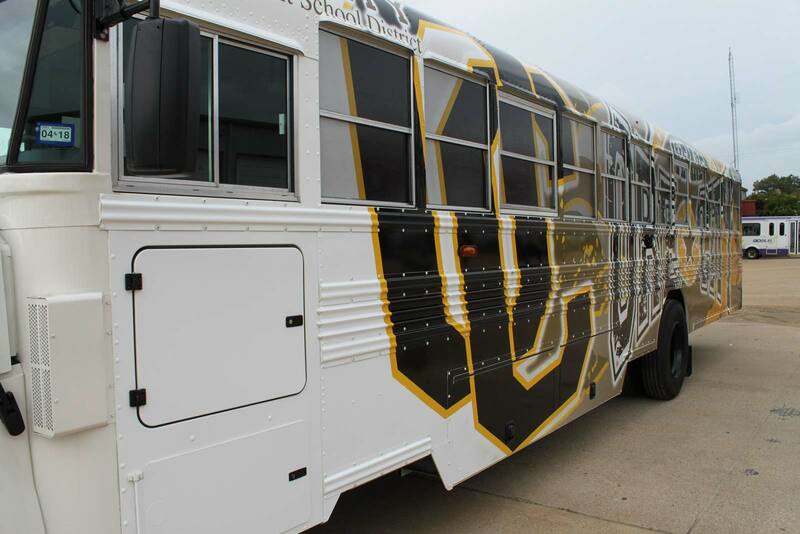 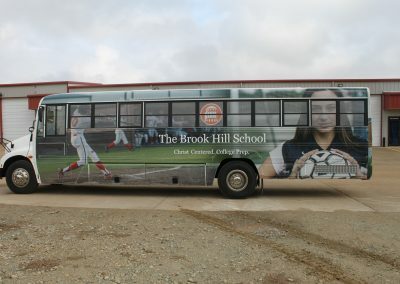 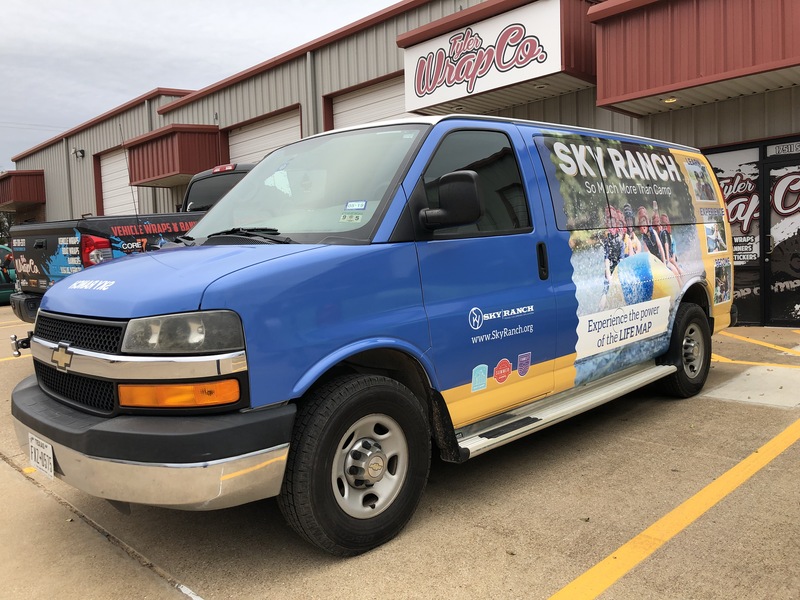 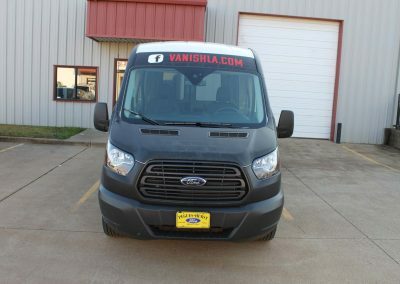 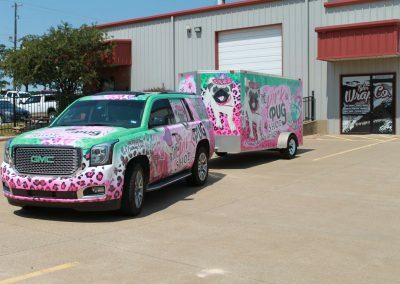 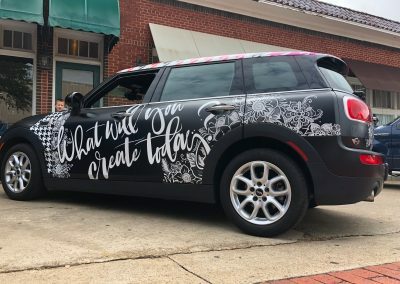 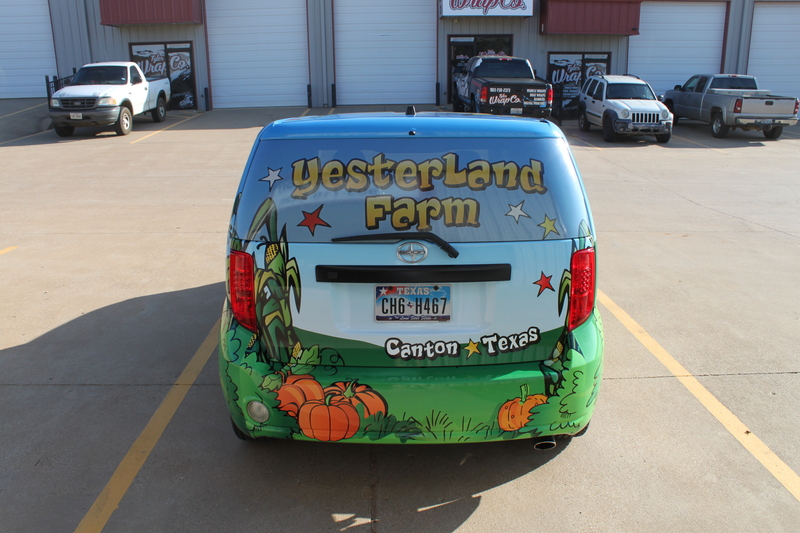 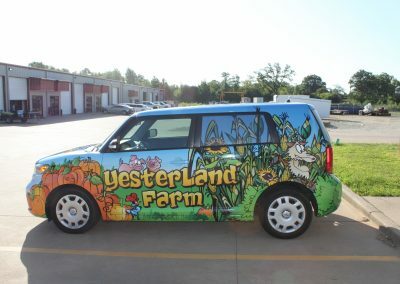 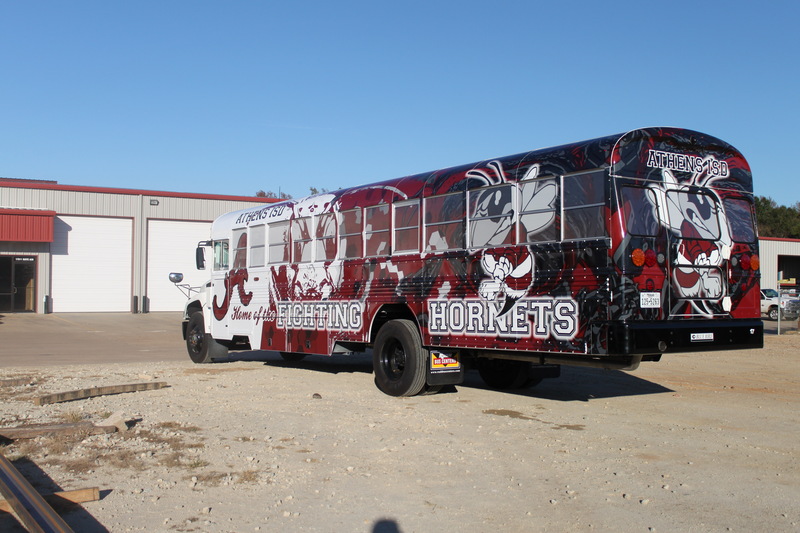 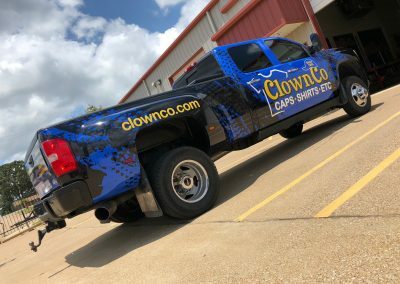 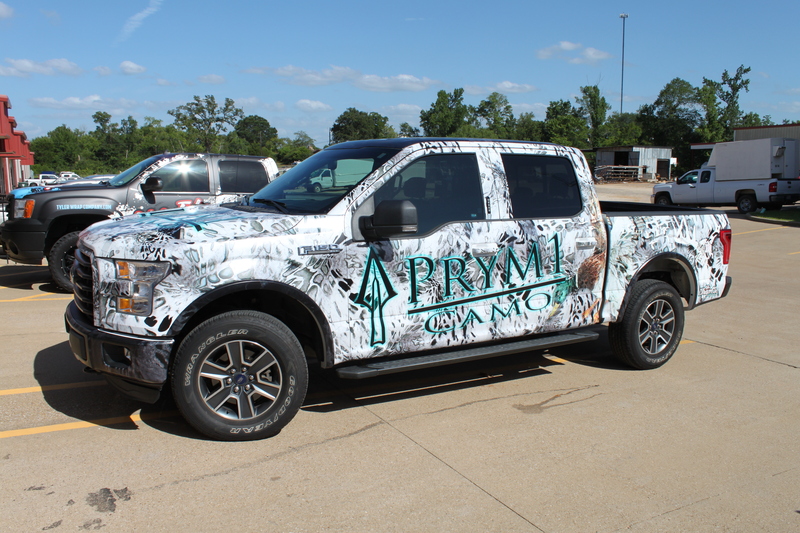 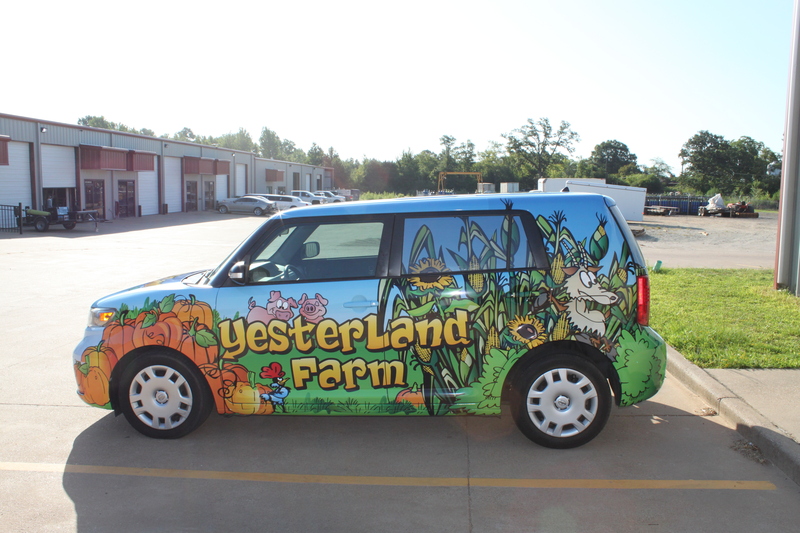 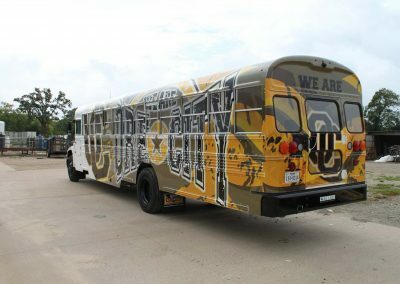 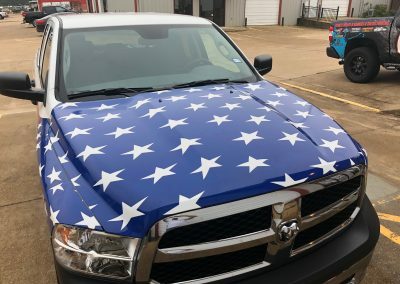 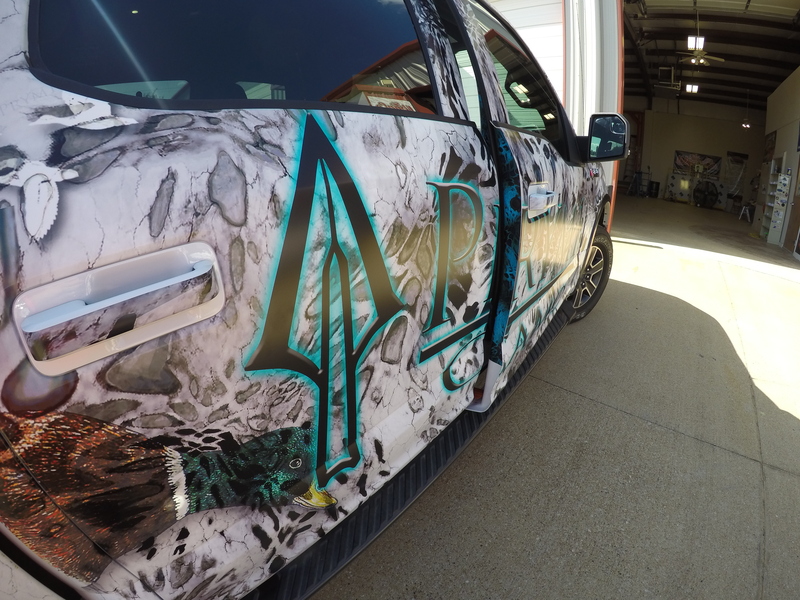 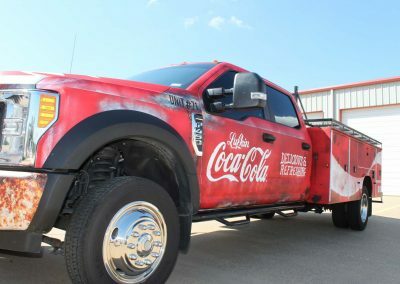 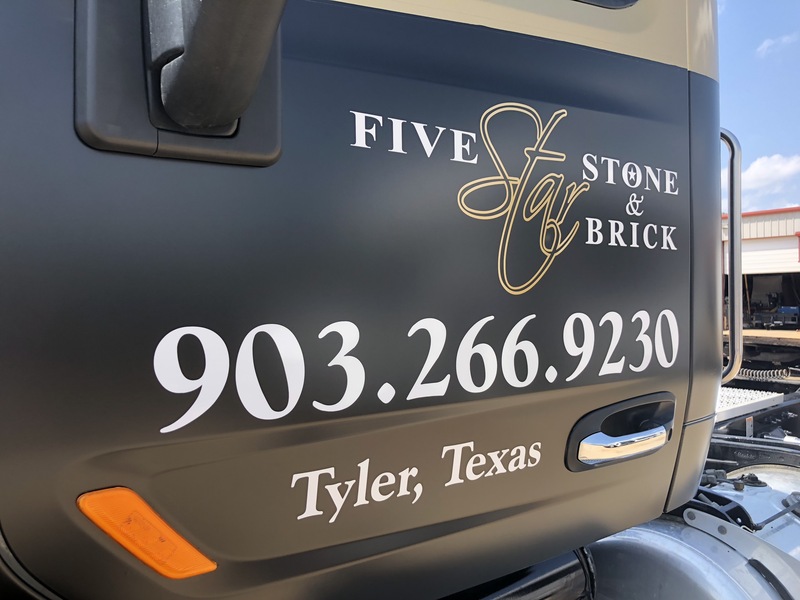 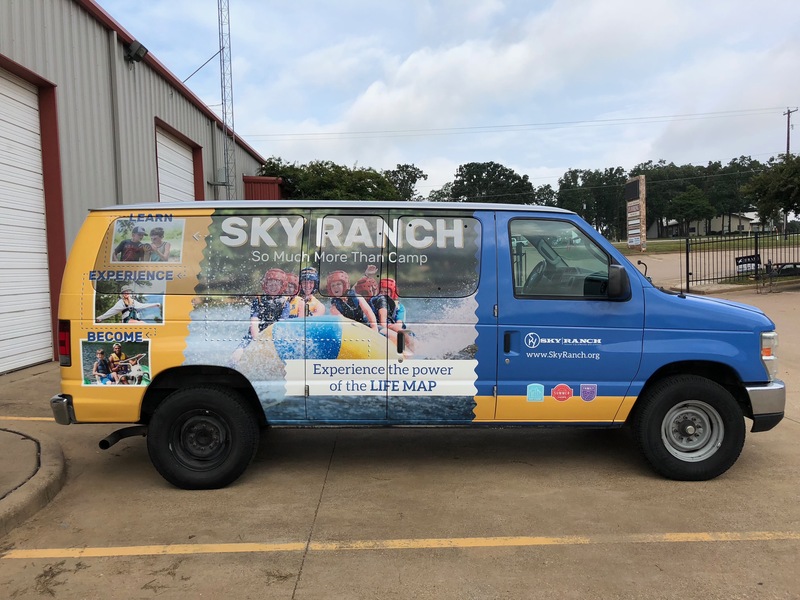 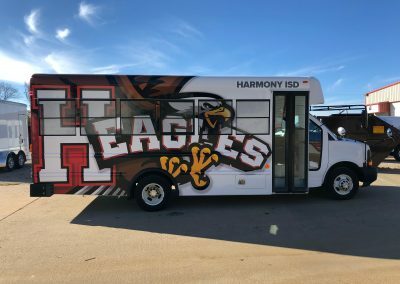 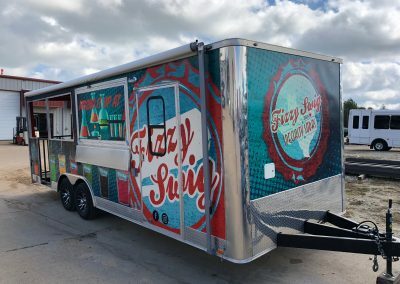 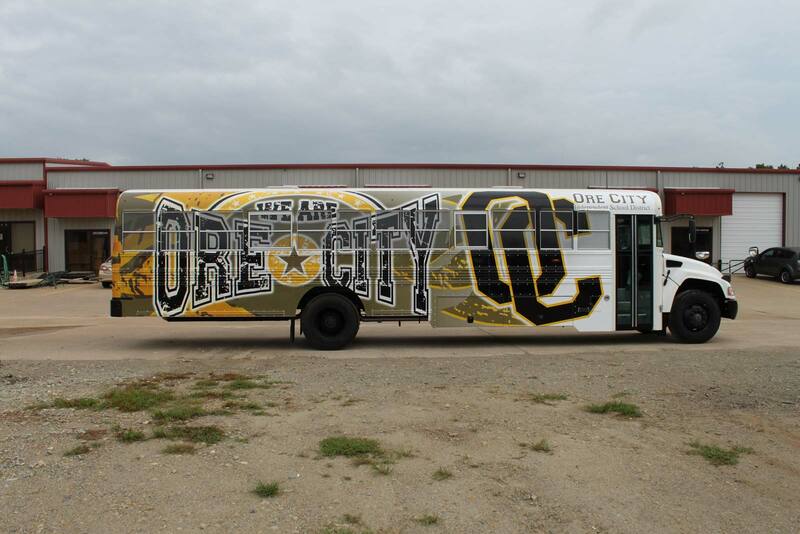 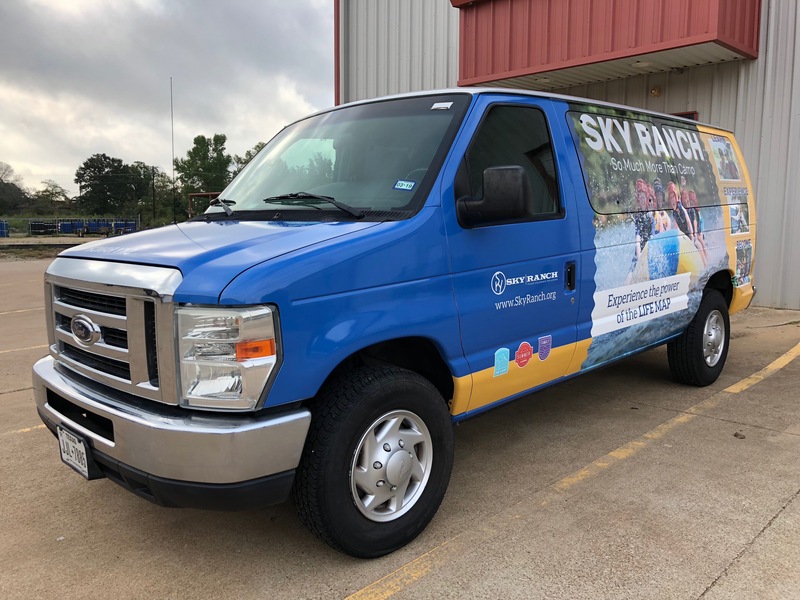 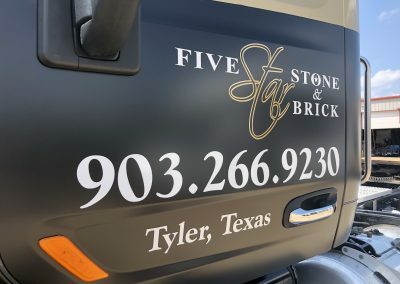 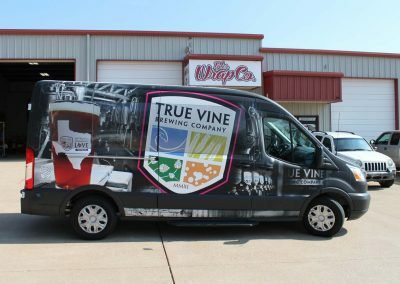 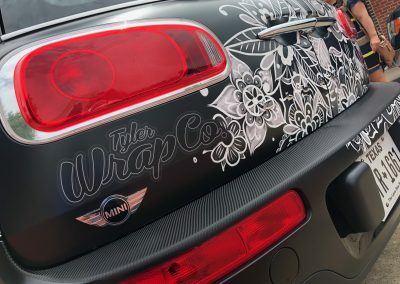 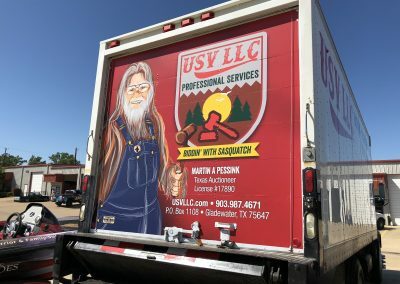 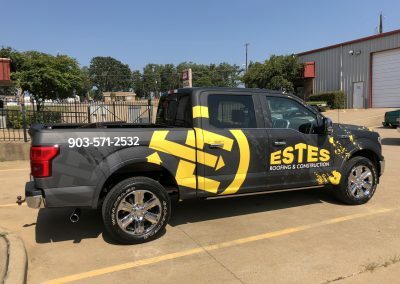 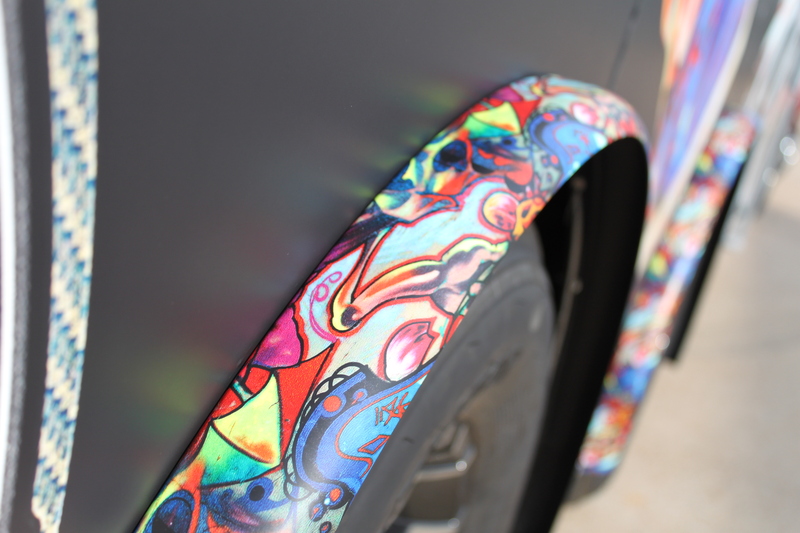 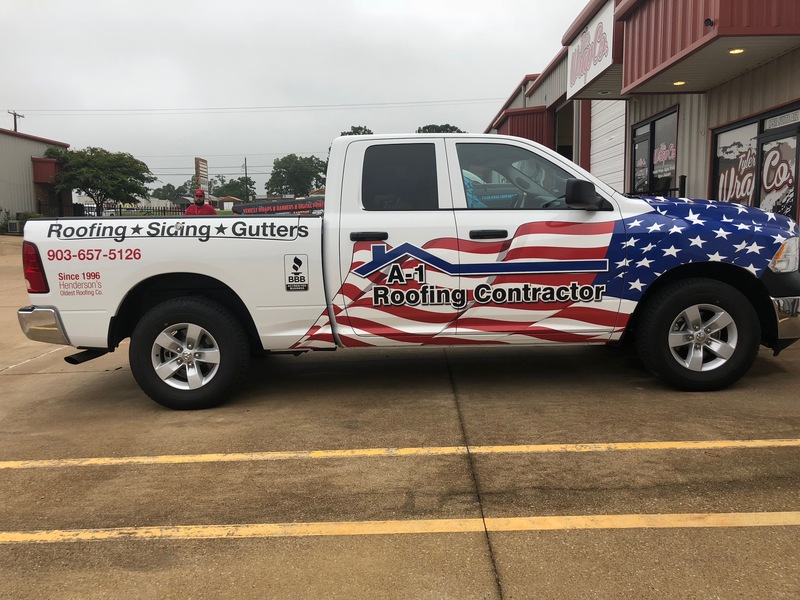 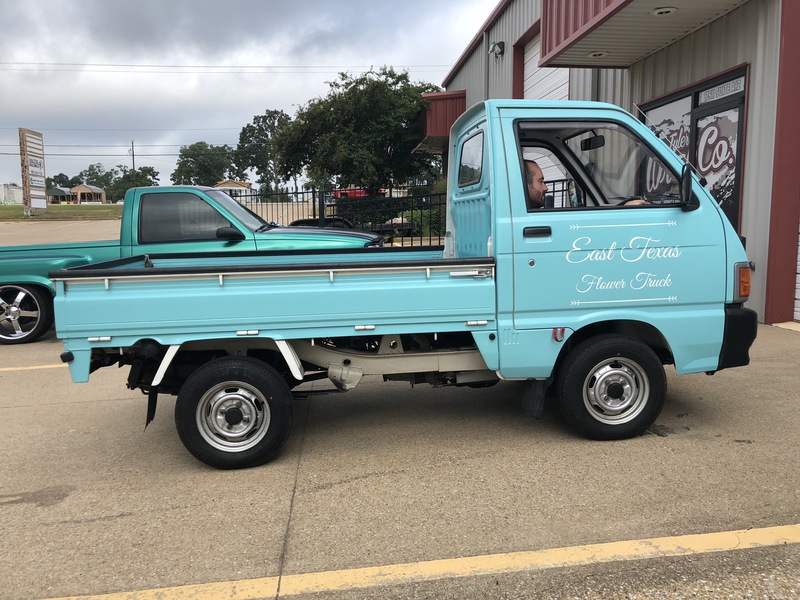 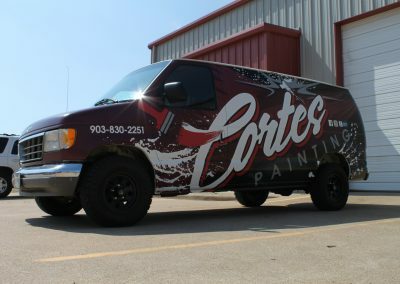 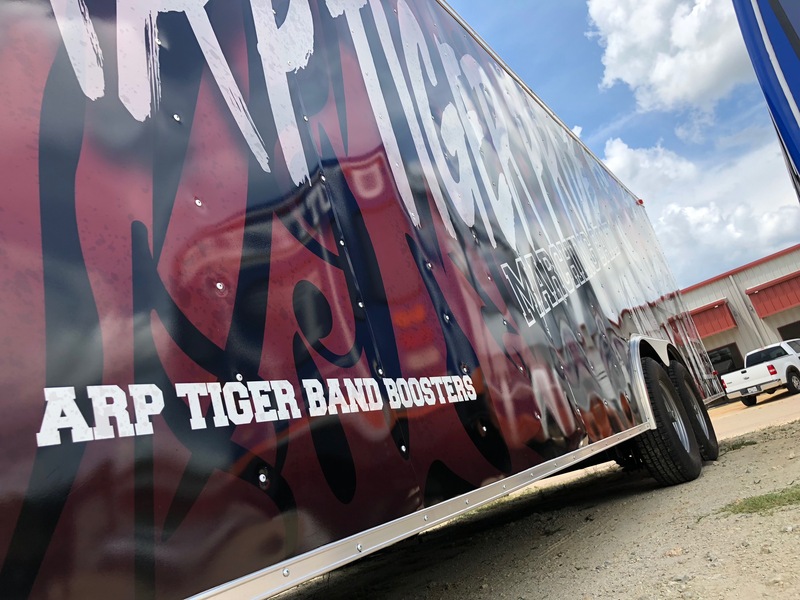 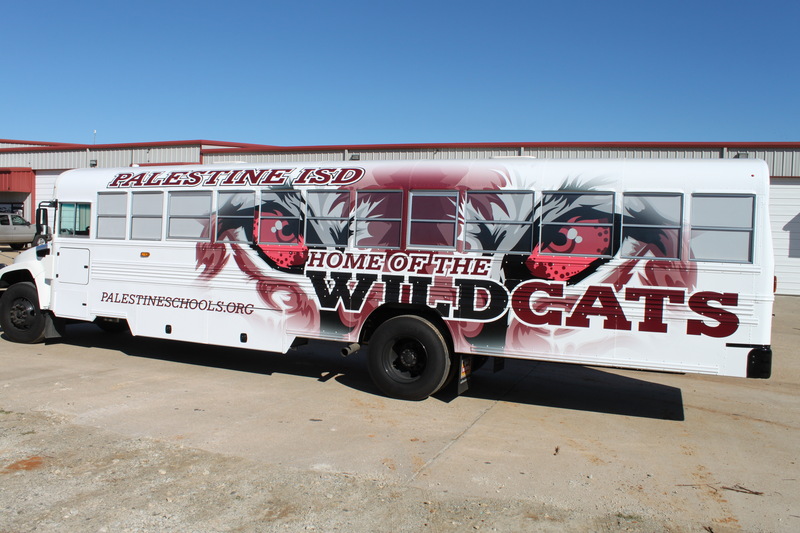 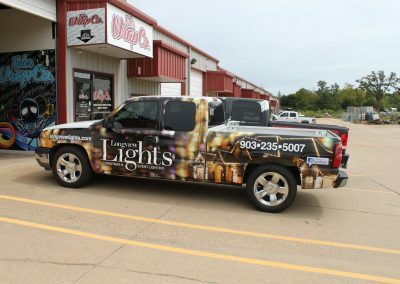 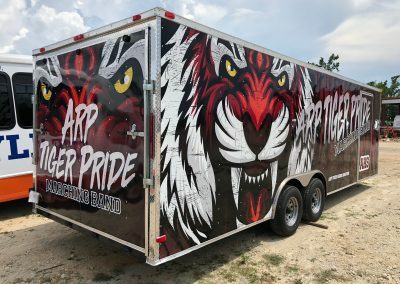 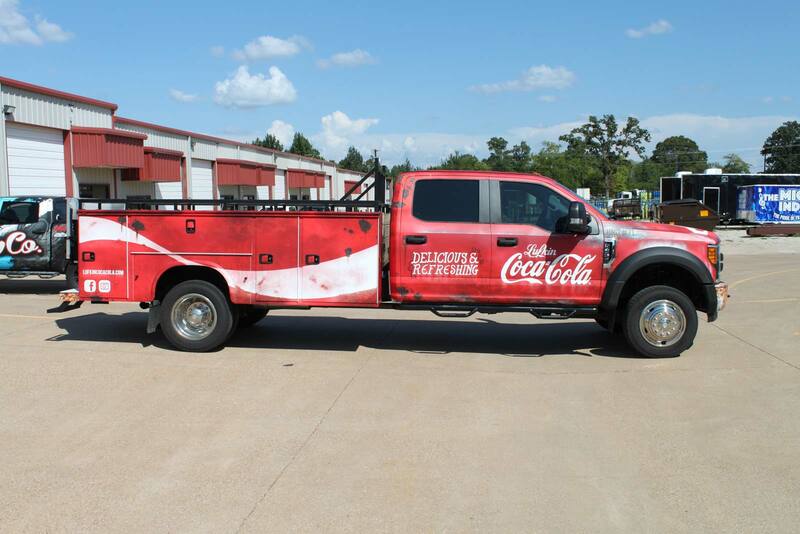 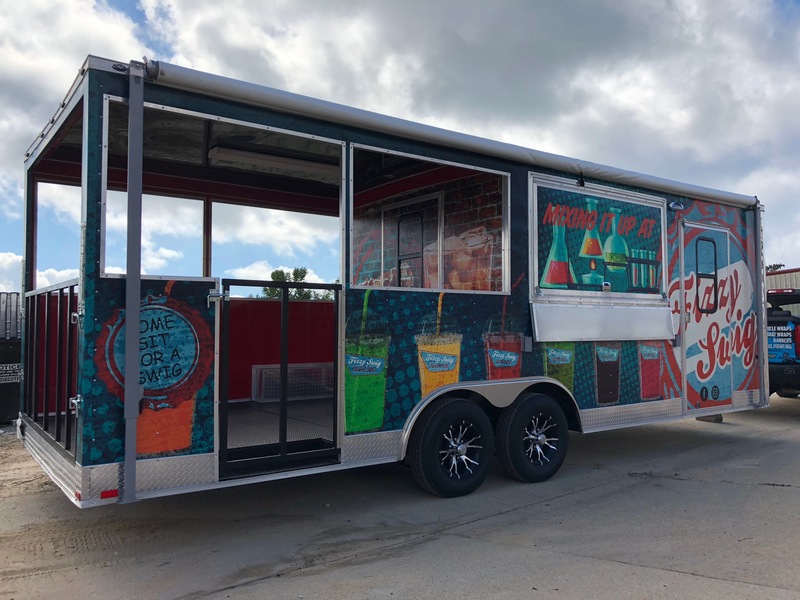 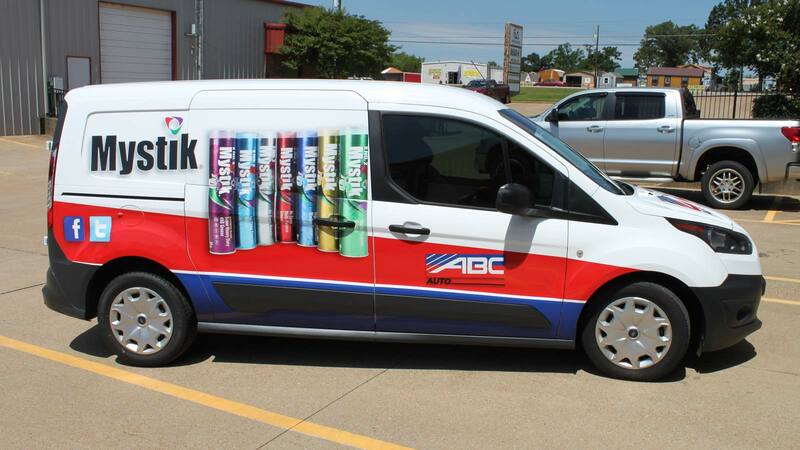 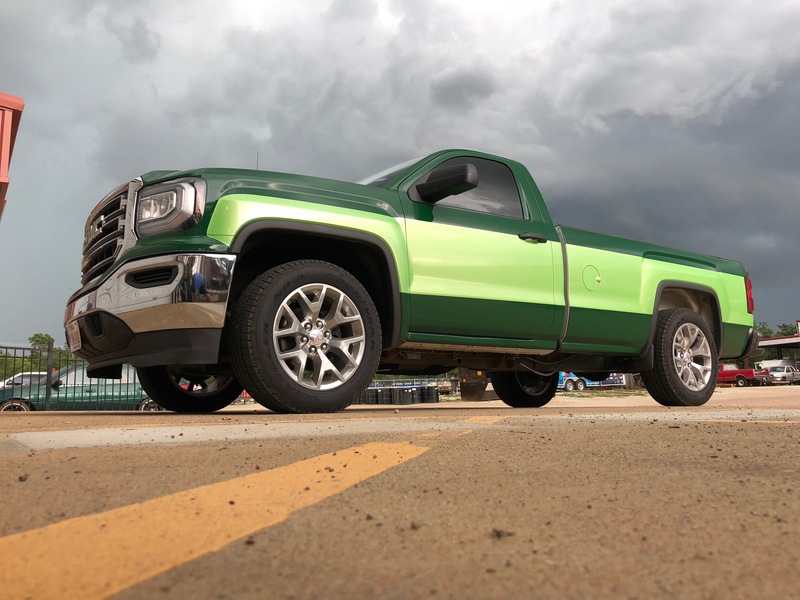 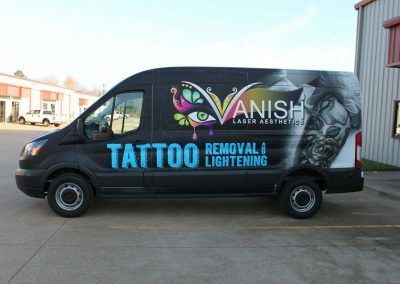 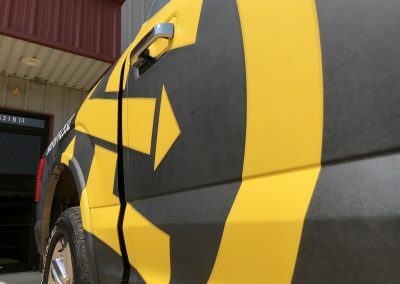 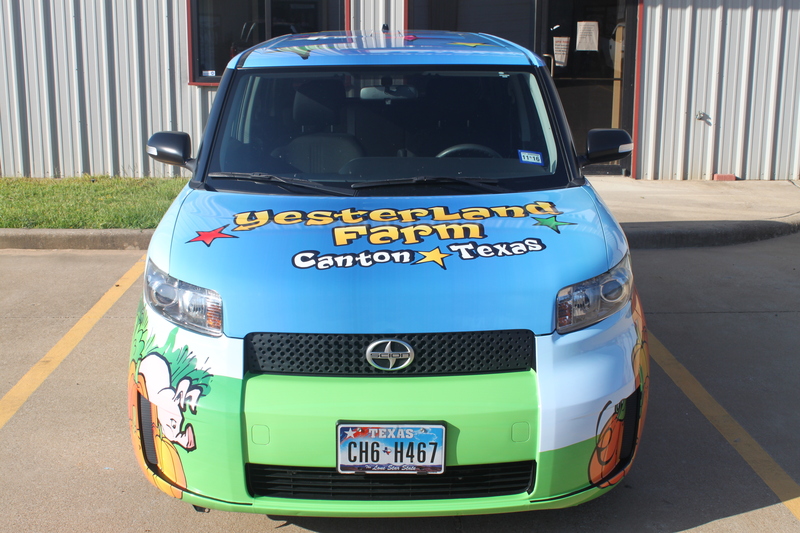 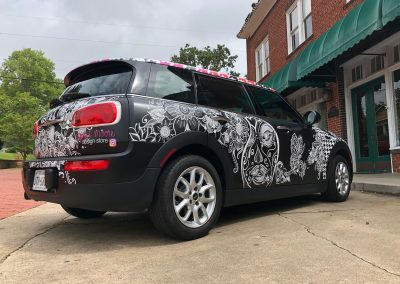 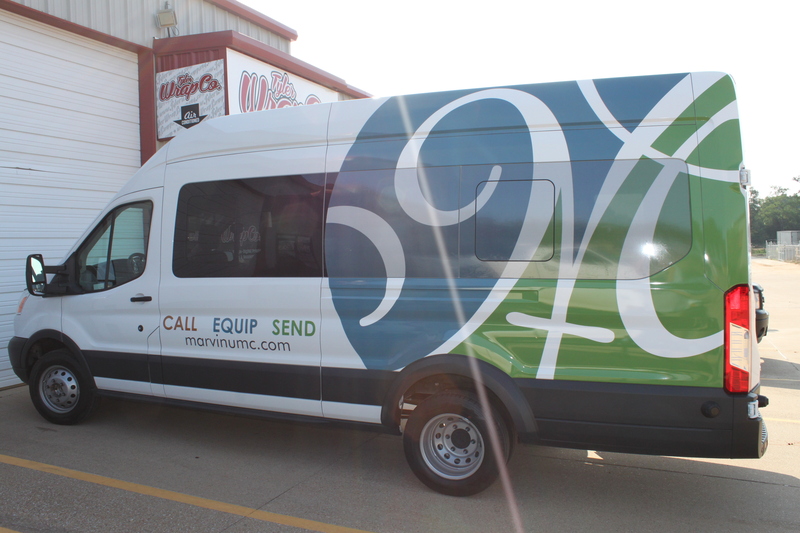 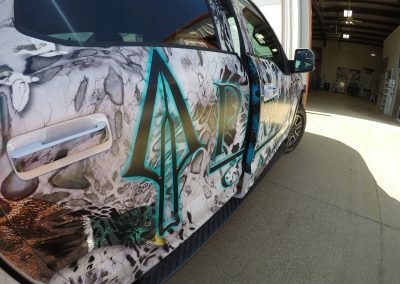 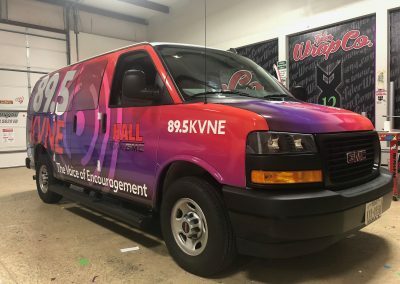 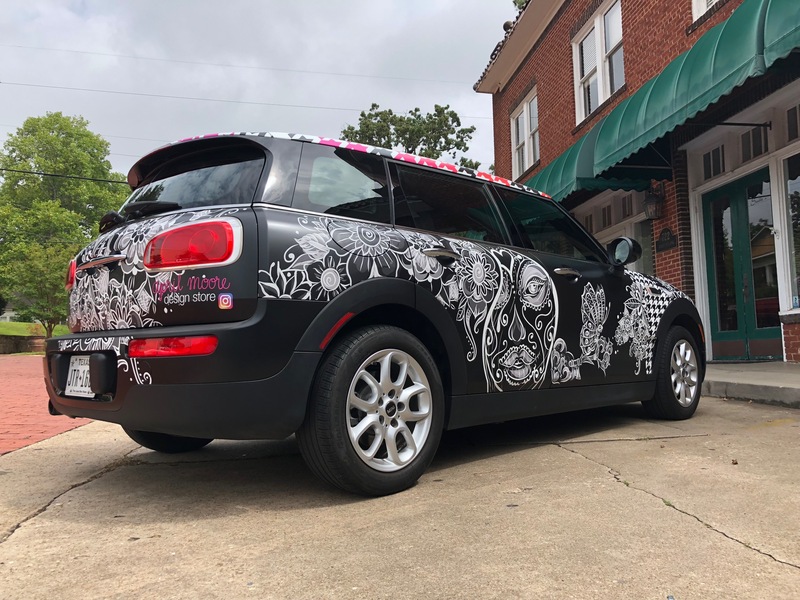 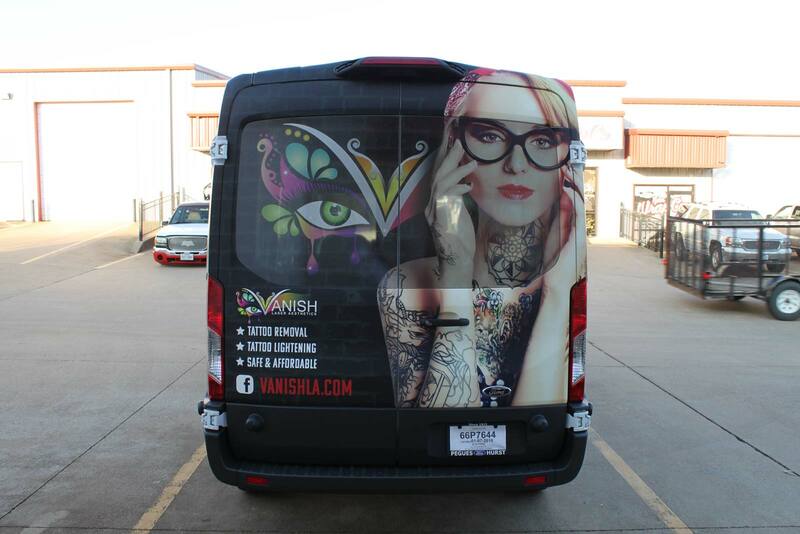 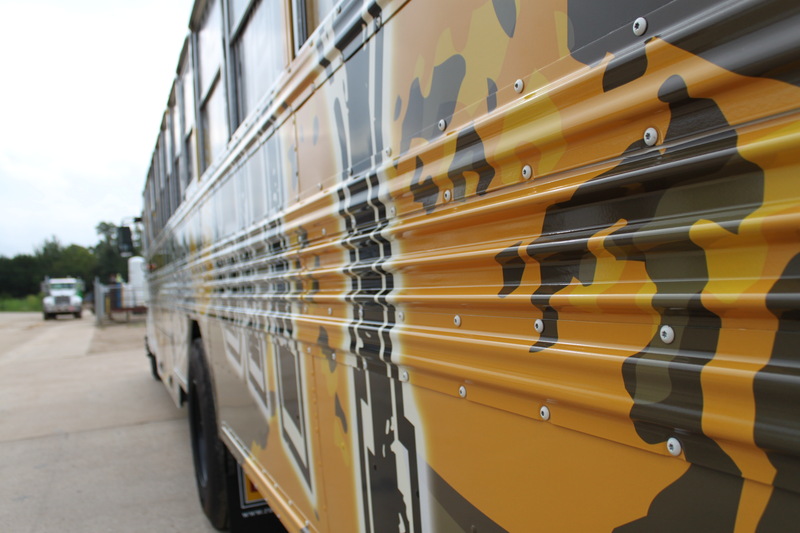 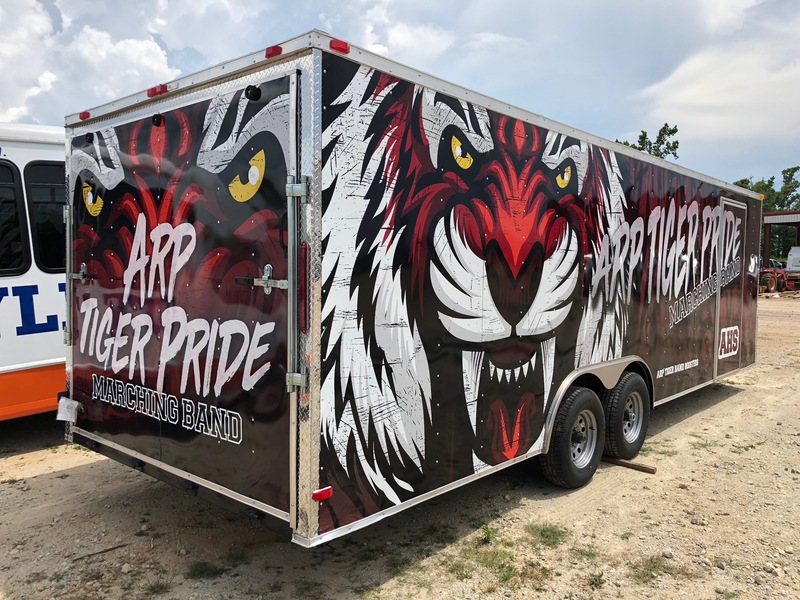 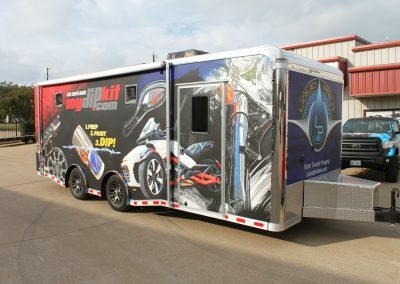 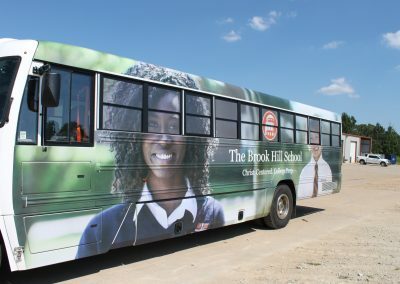 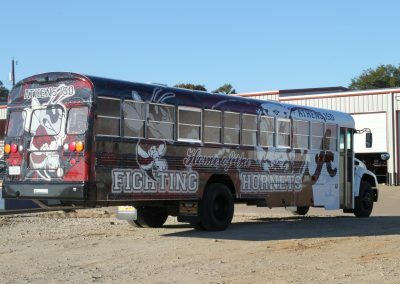 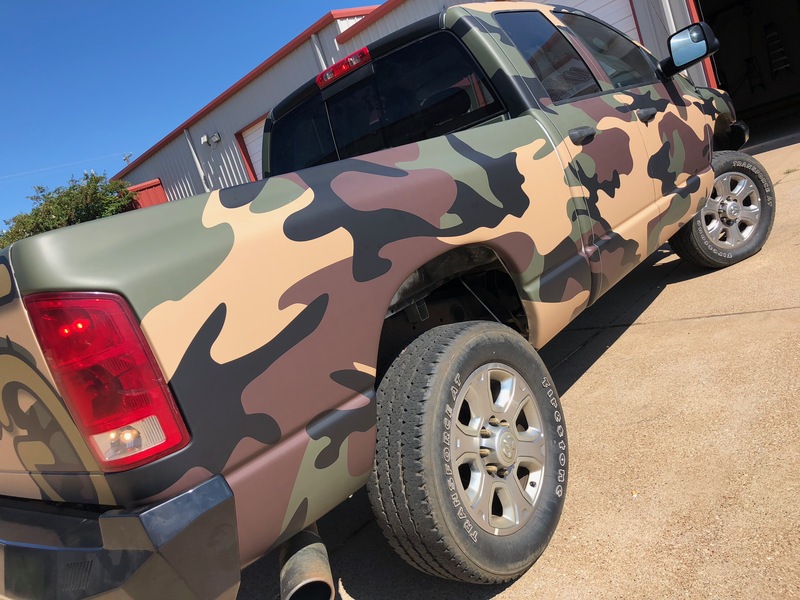 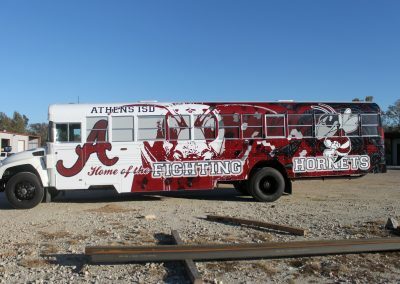 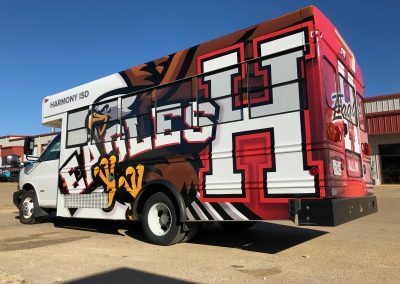 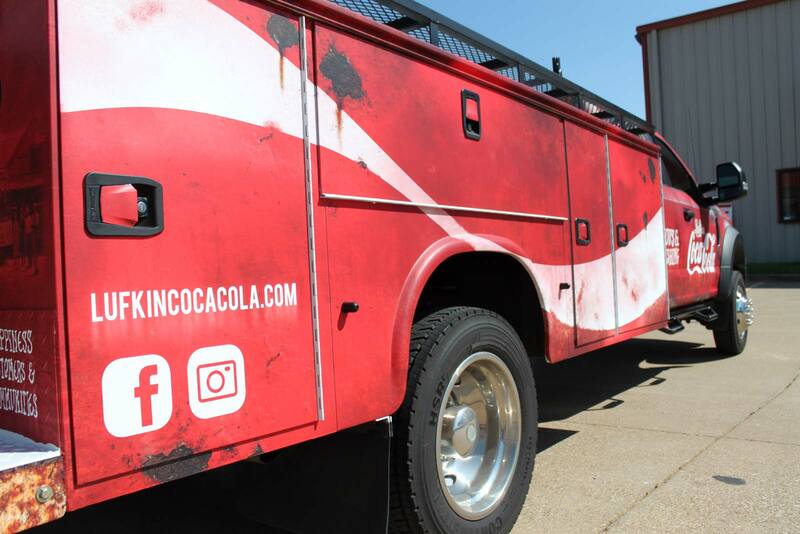 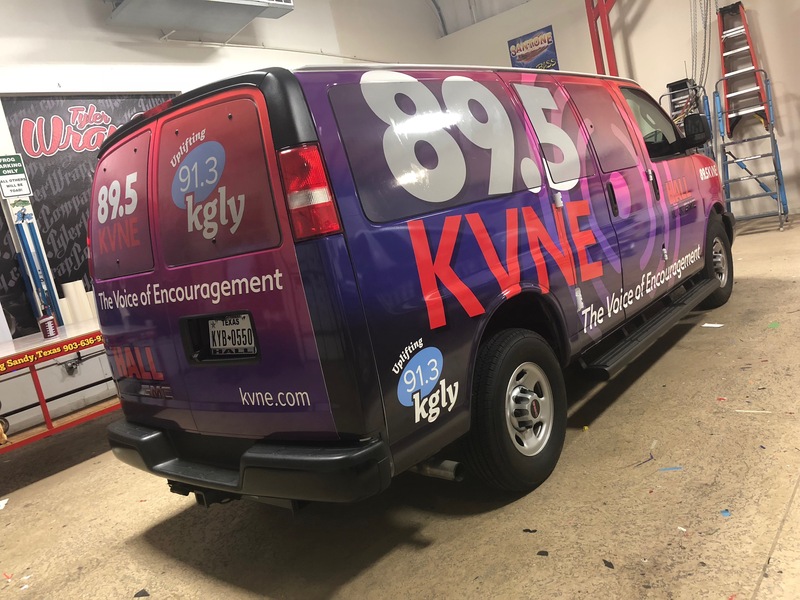 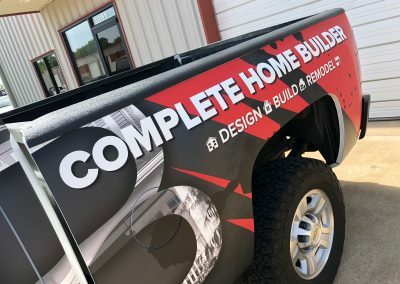 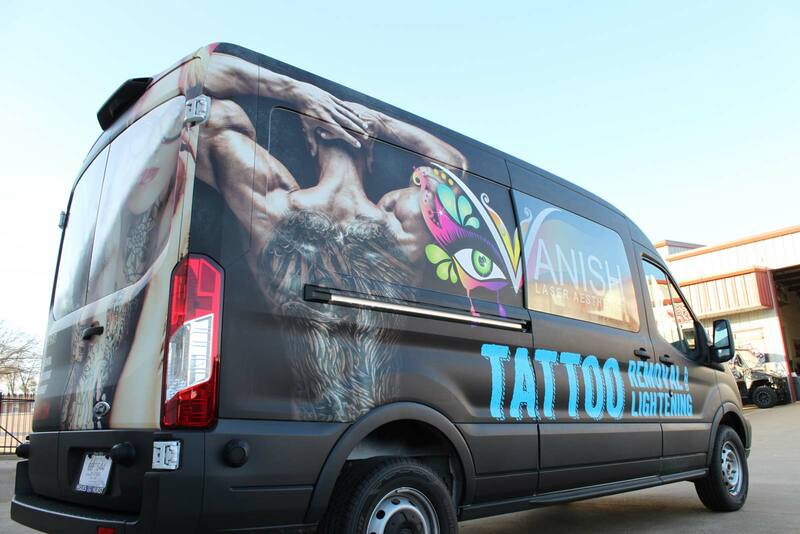 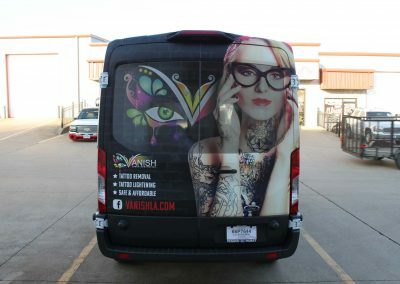 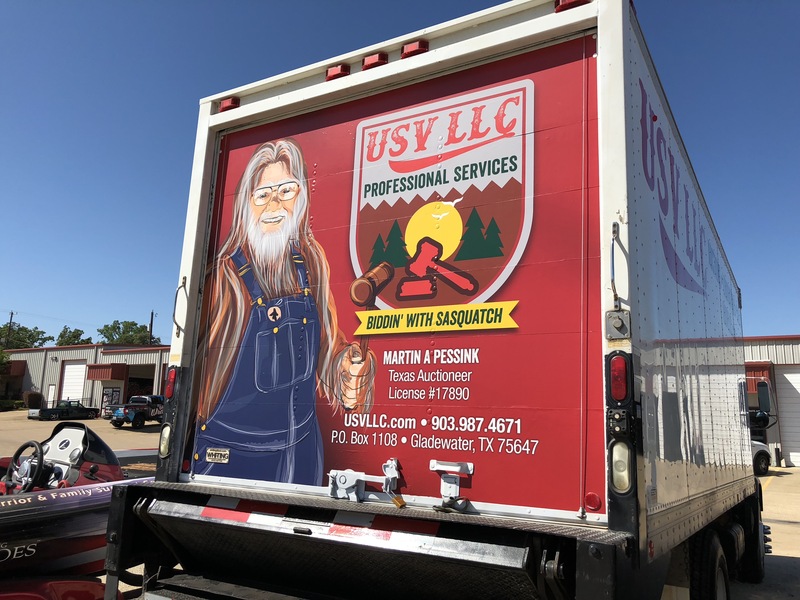 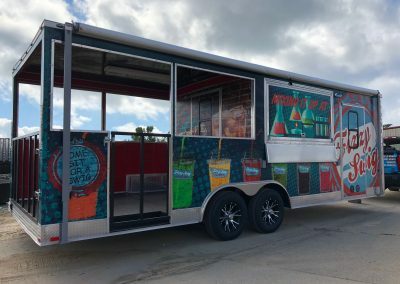 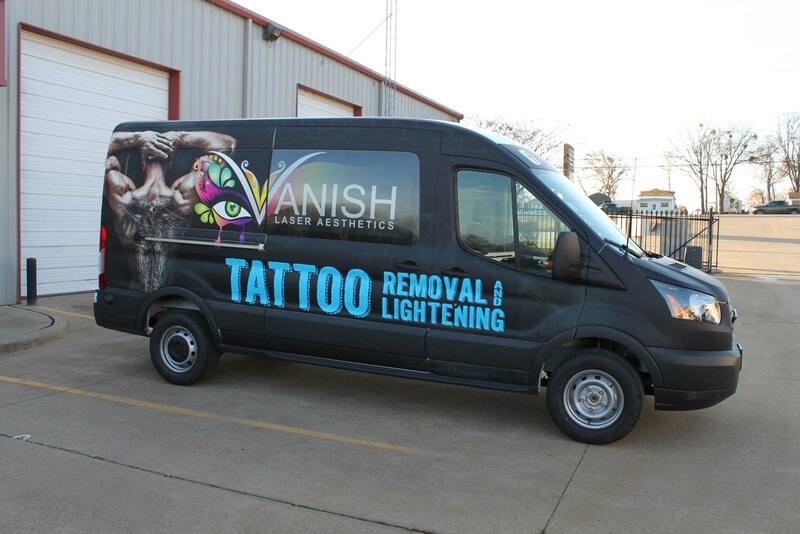 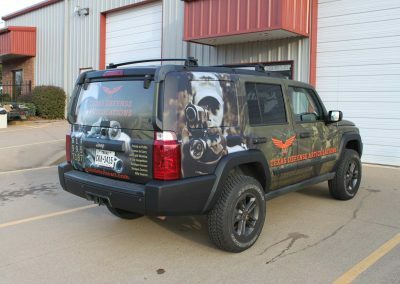 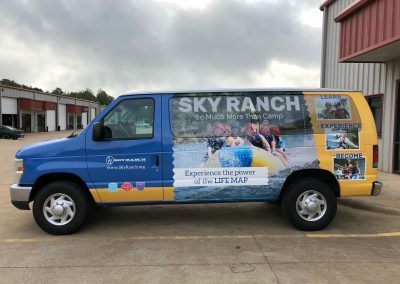 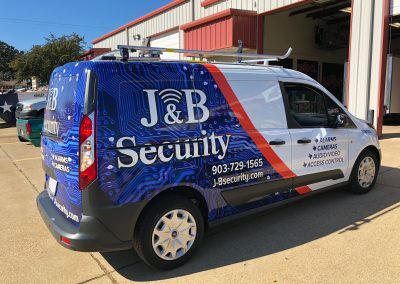 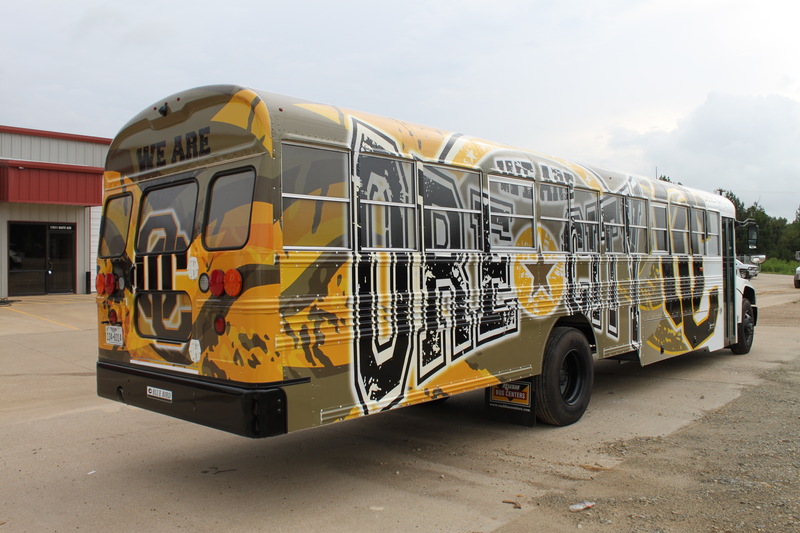 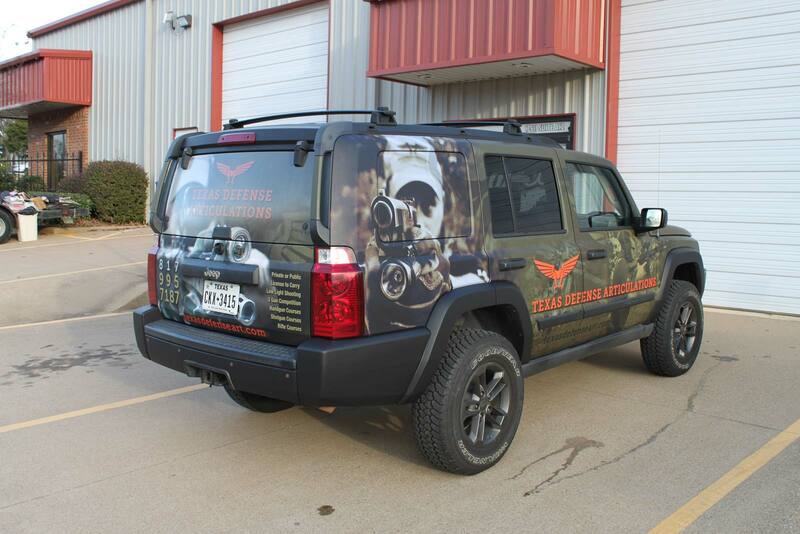 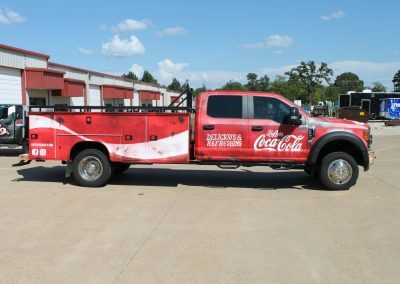 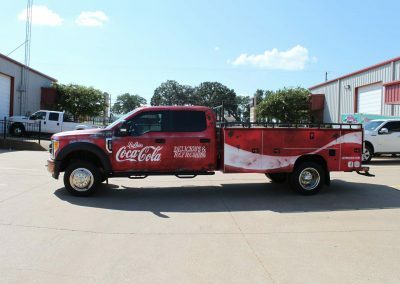 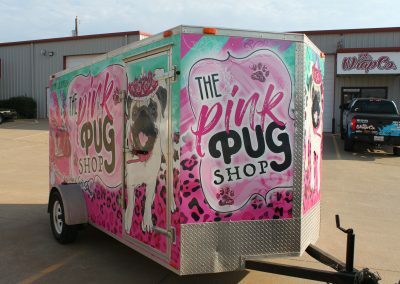 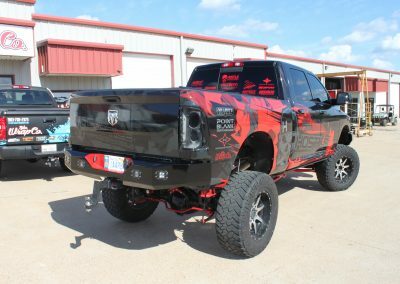 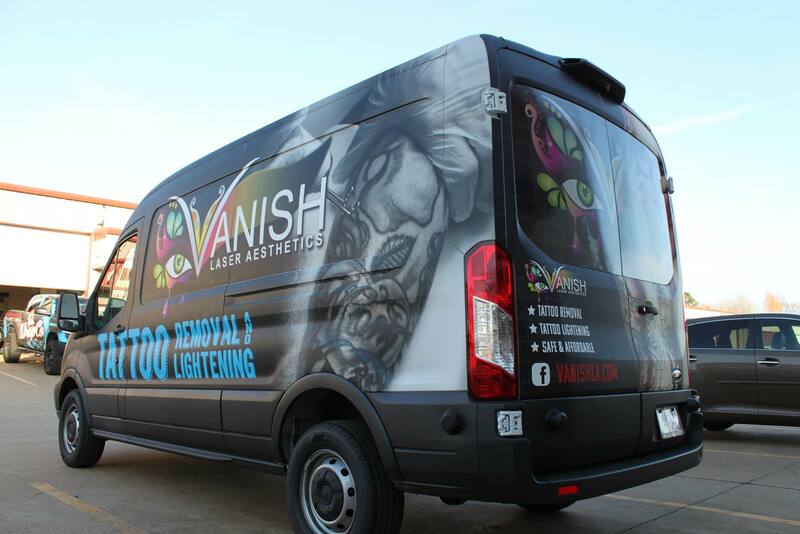 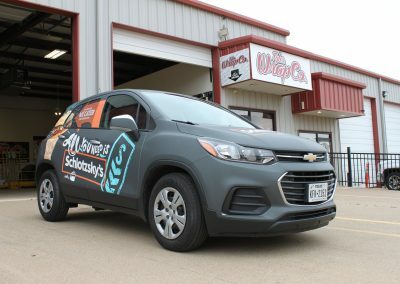 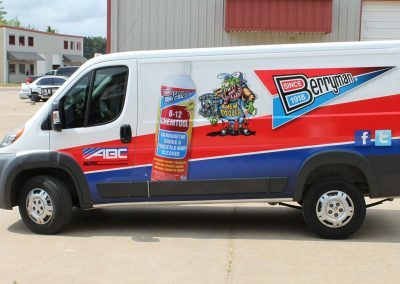 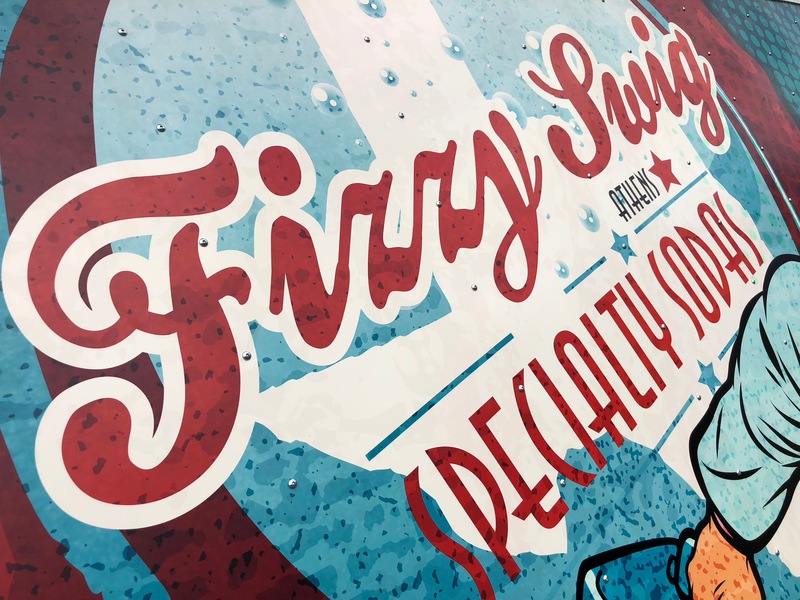 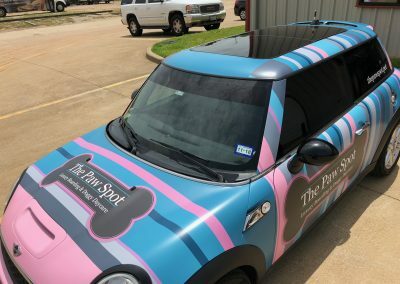 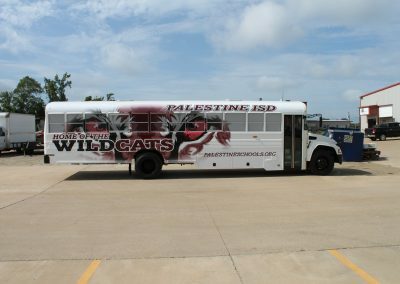 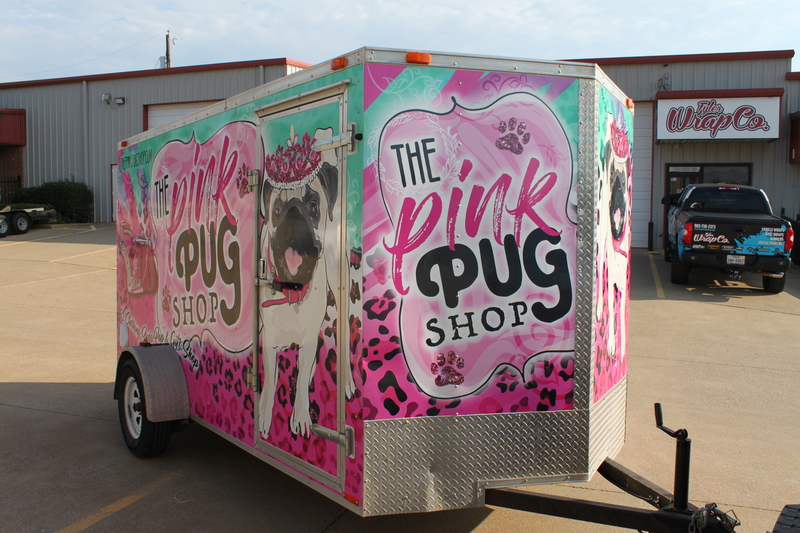 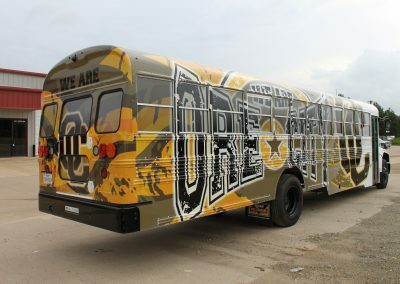 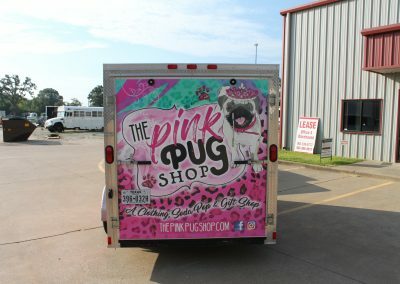 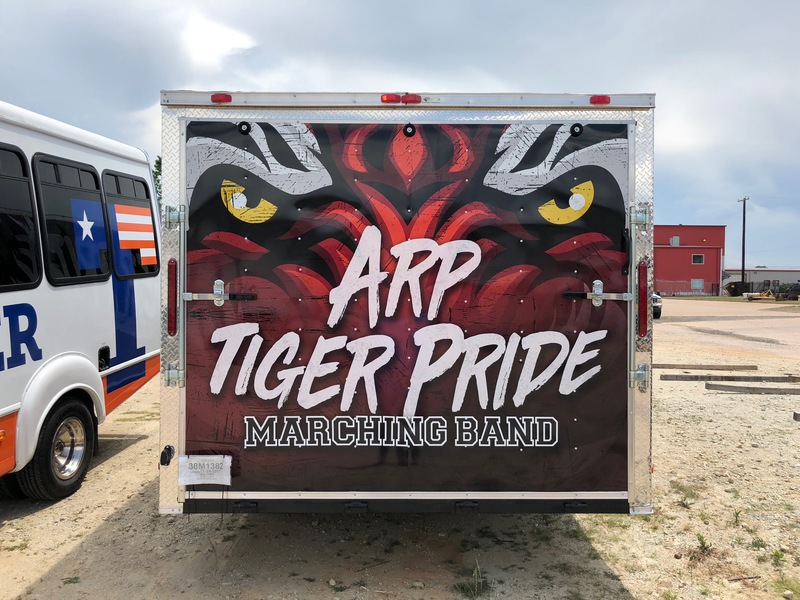 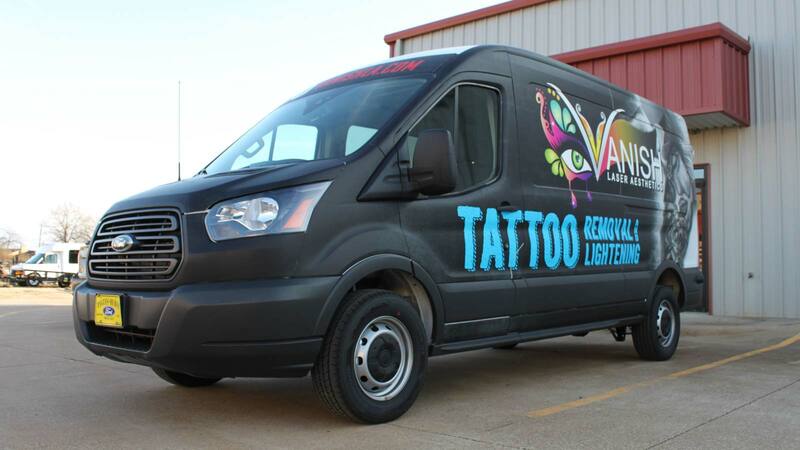 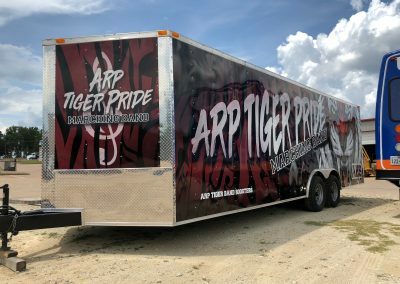 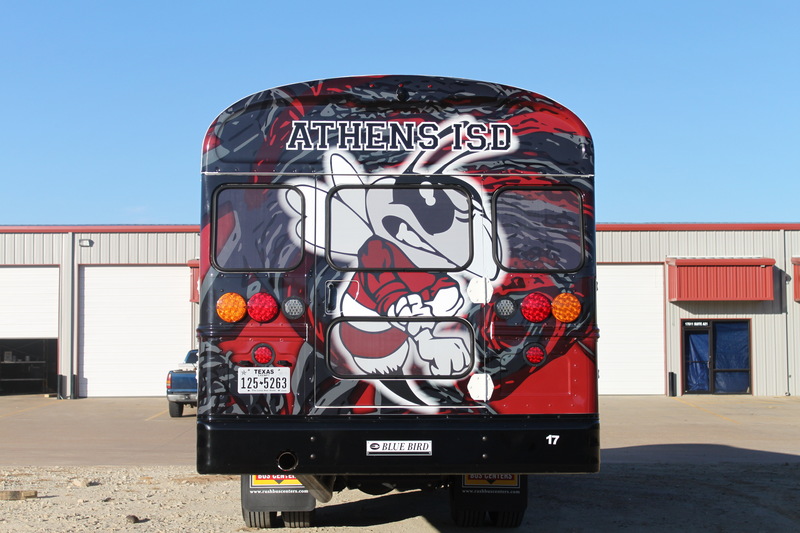 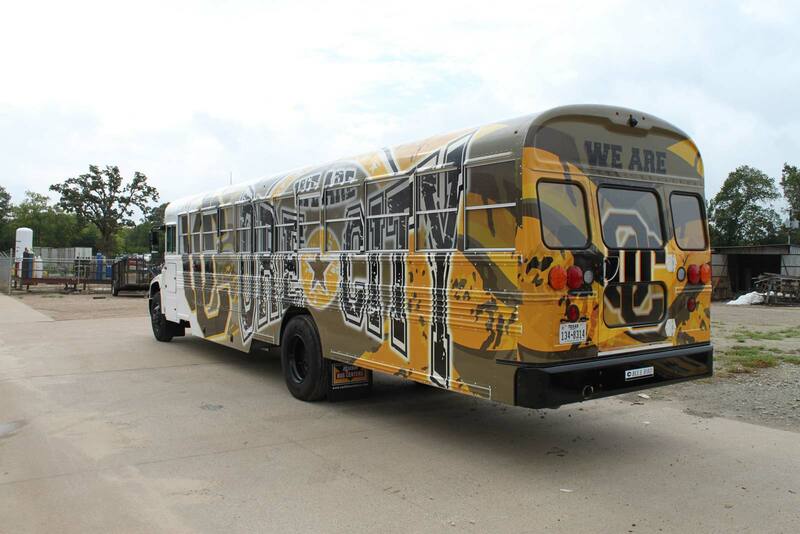 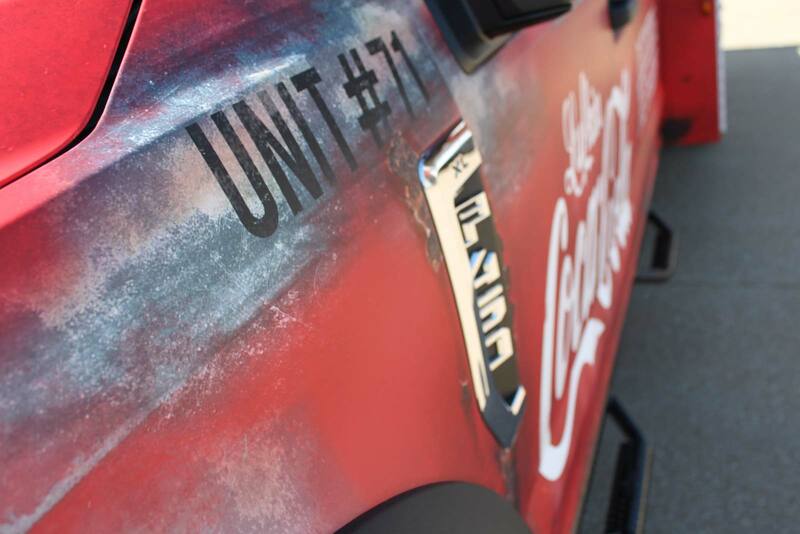 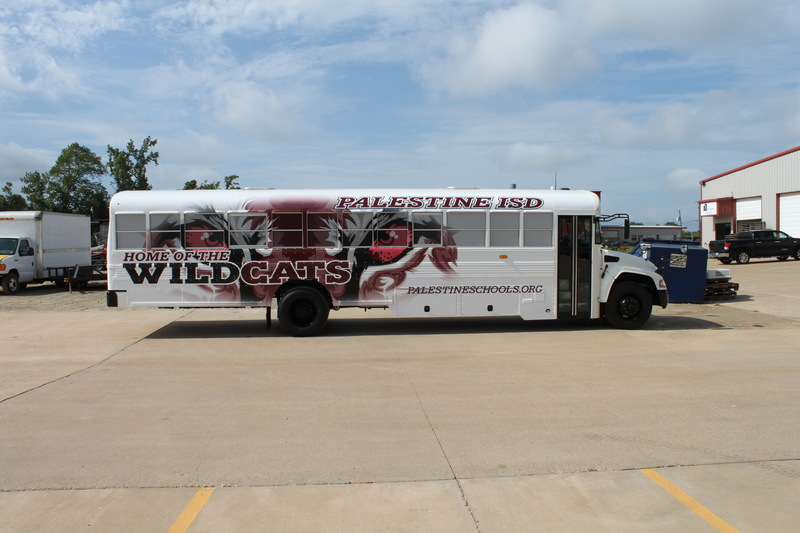 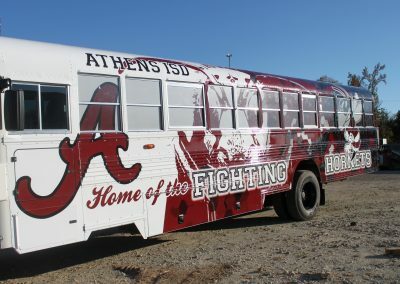 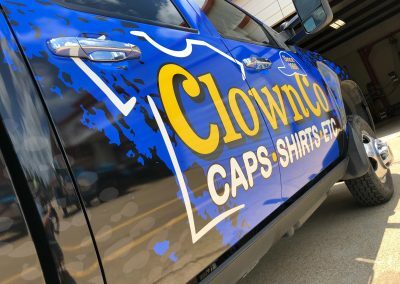 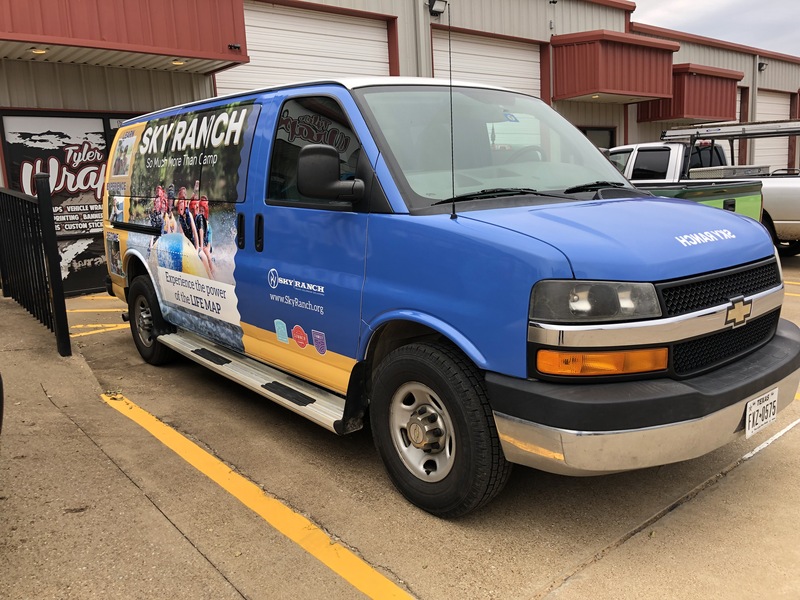 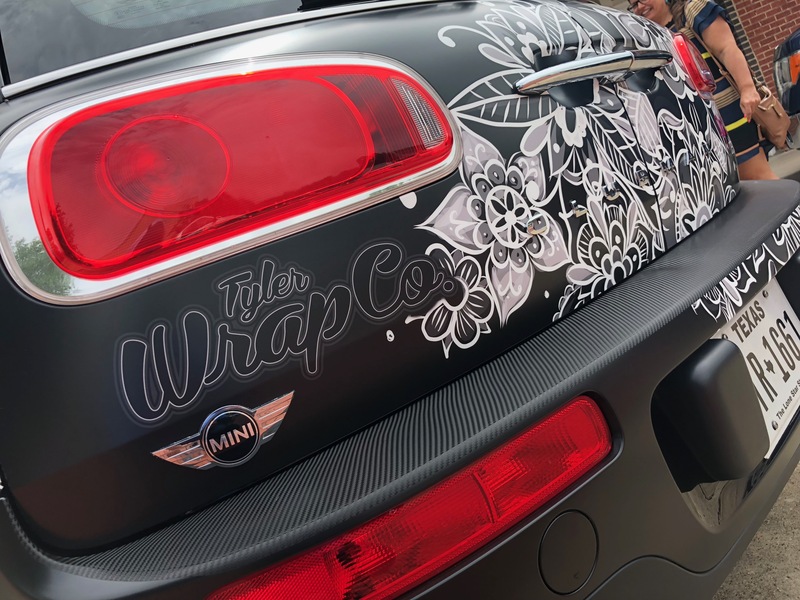 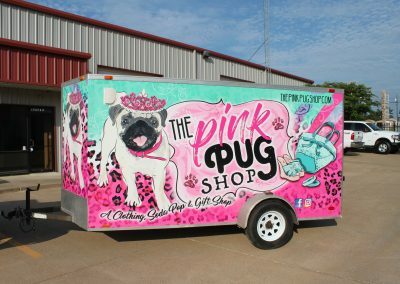 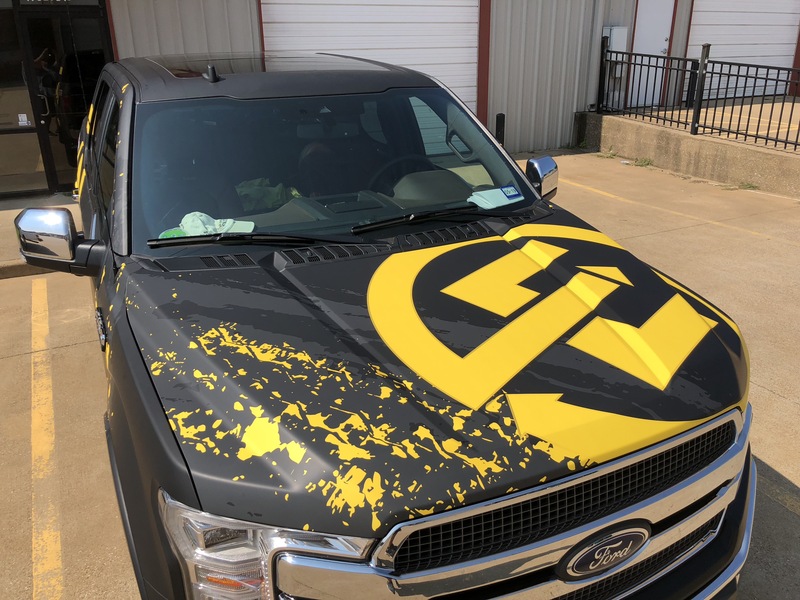 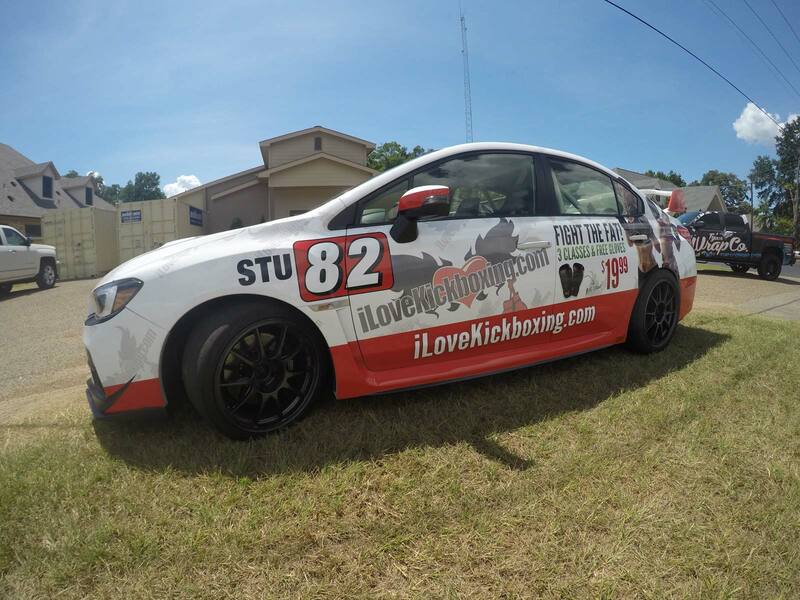 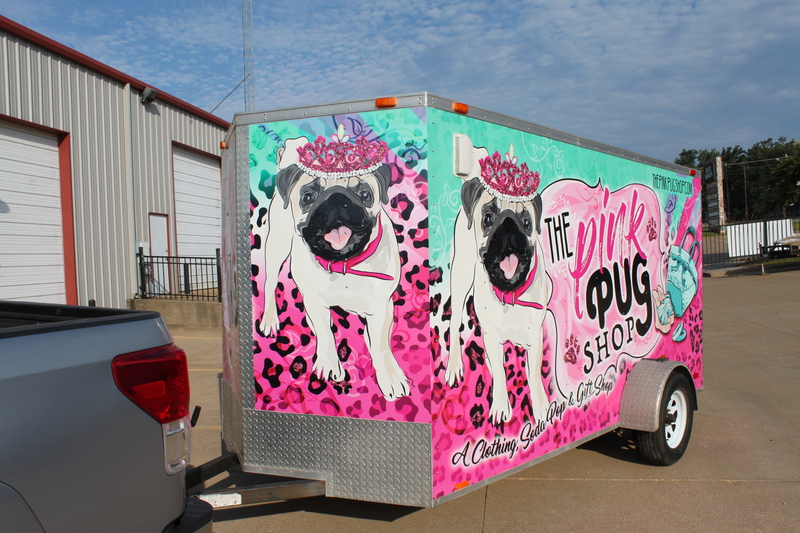 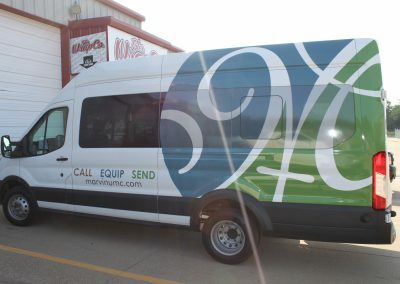 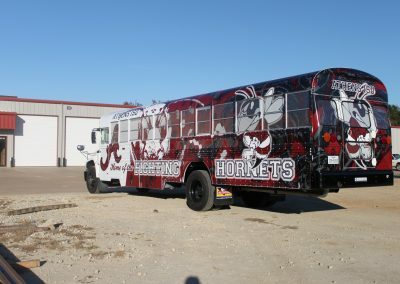 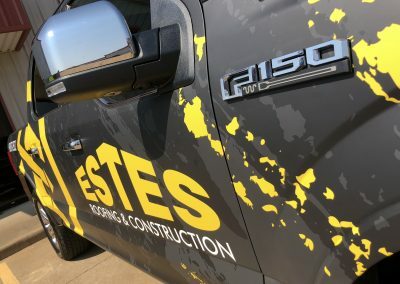 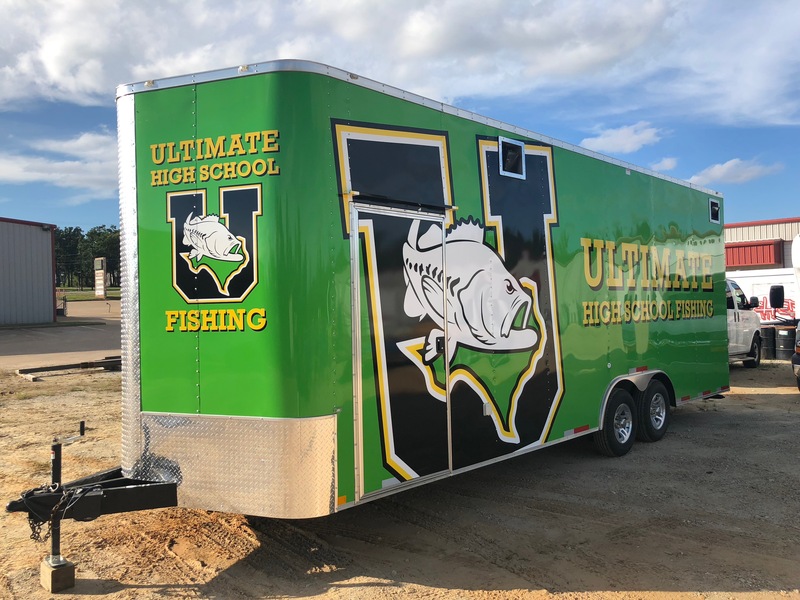 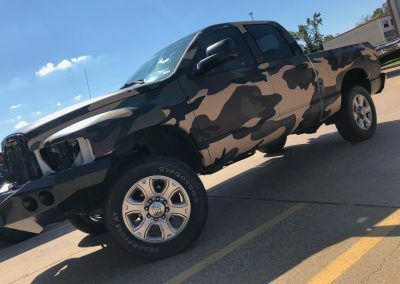 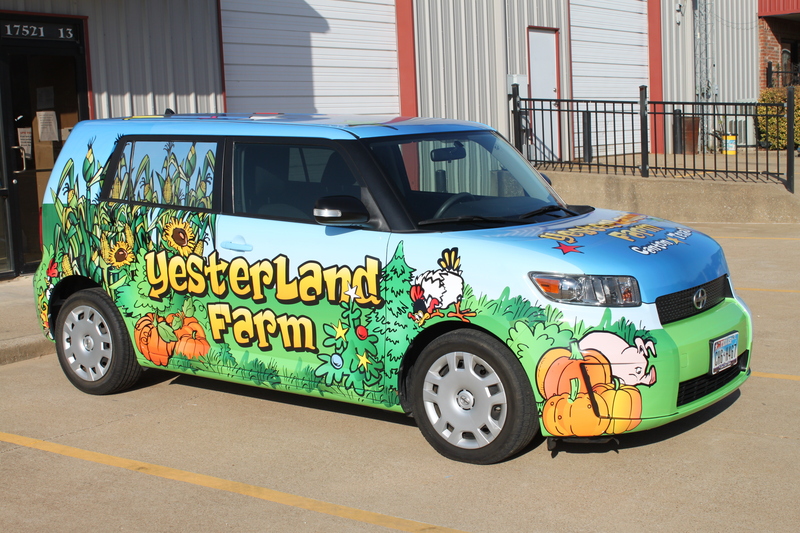 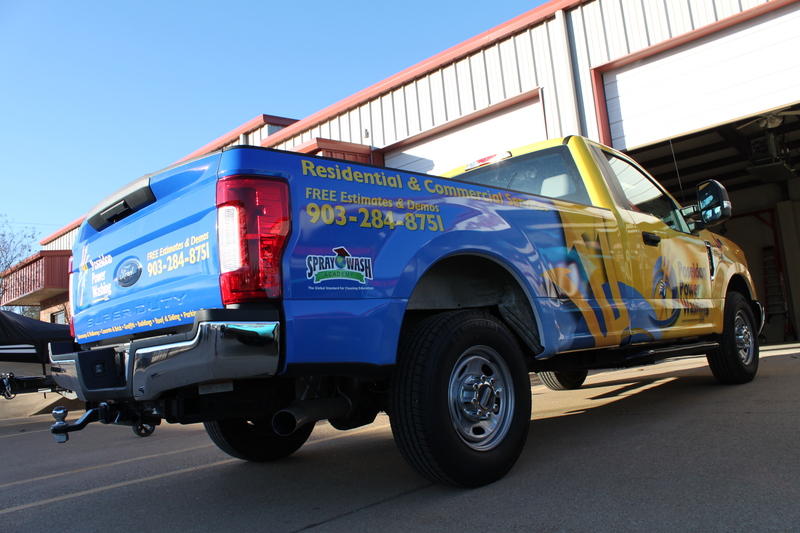 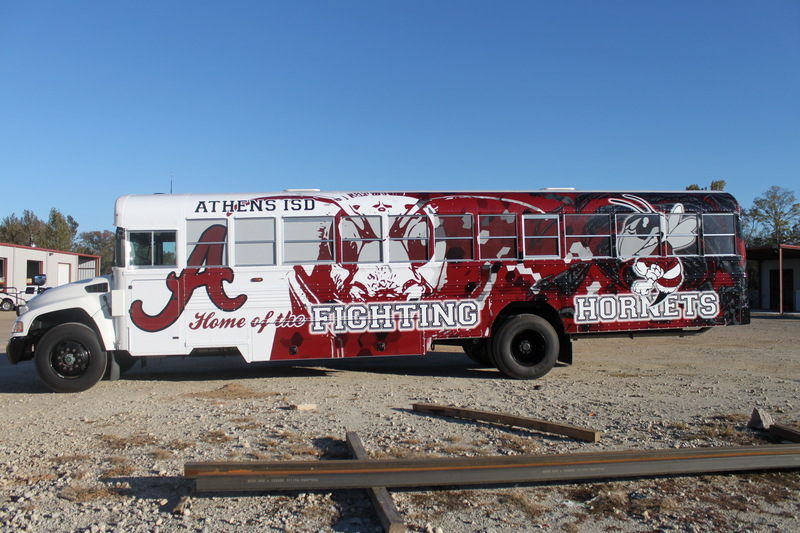 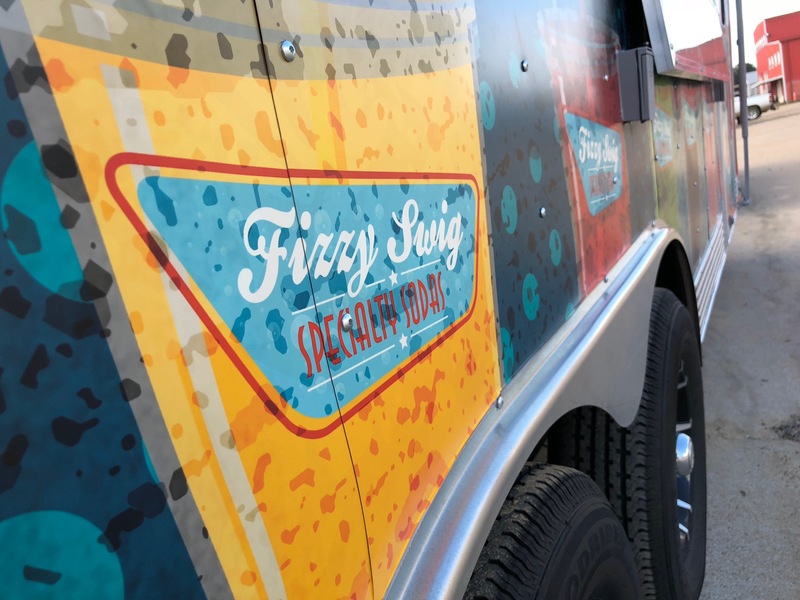 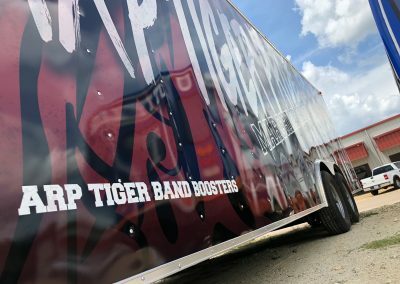 Tyler Wrap Company has the expertise to design creative vehicle wraps that will put your passion, your pride, your brand—or all the above—on display wherever you go. 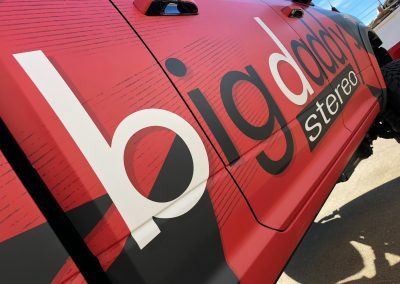 Our proprietary process makes every project unique. 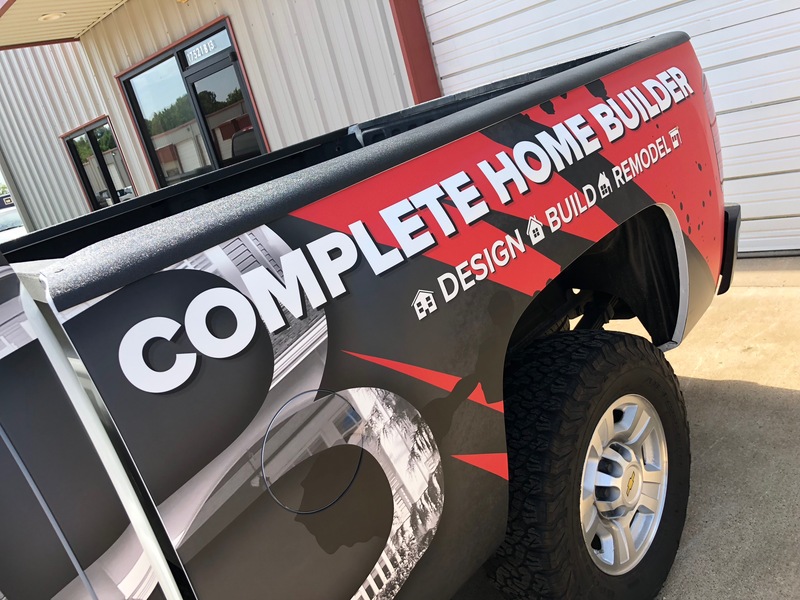 We put your ideas, marketing objectives, and insight for the target audience into creating your exclusive design—and that’s just the beginning. 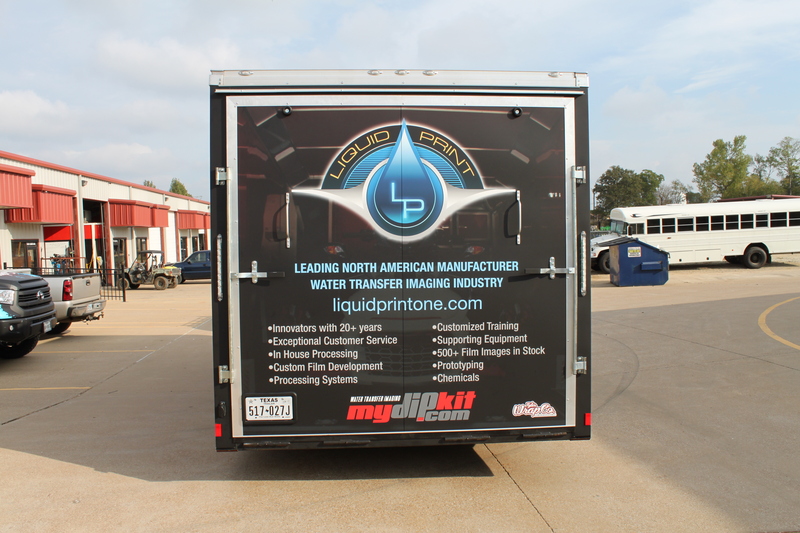 We’ve invested in the industry’s highest-quality machines, inks, and laminates to bring you the best-looking, longest-lasting results. 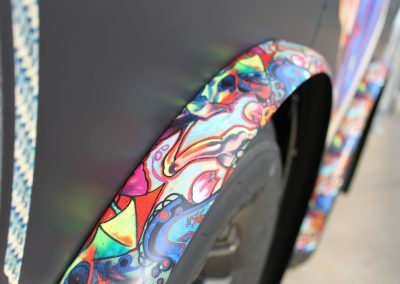 That means you get pristine colors and sharper images. 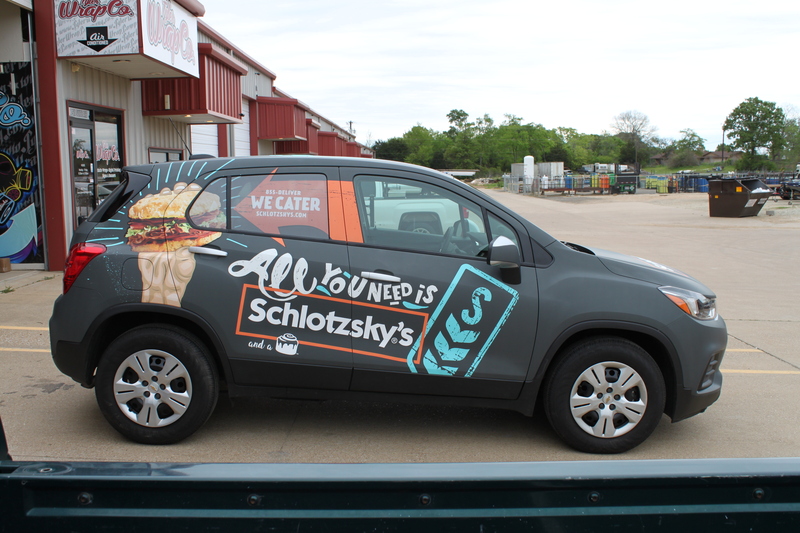 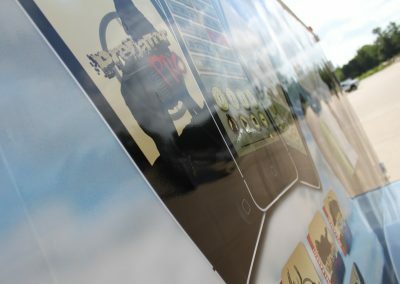 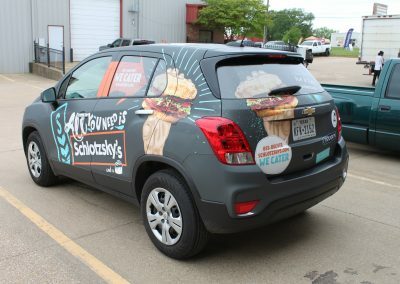 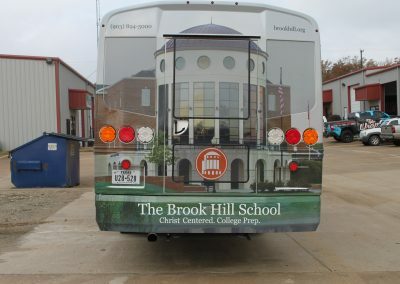 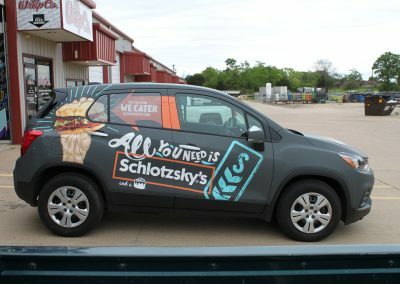 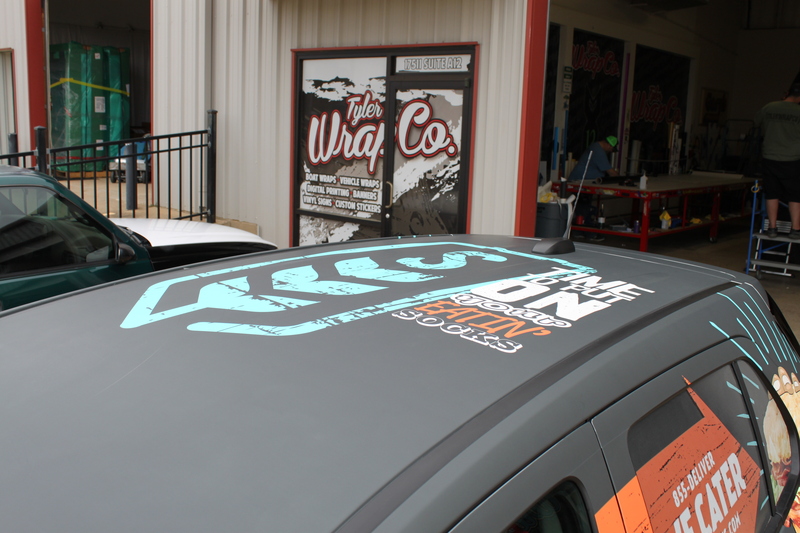 It also means we can print in larger dimensions than most shops, so you don’t have to settle for a pieced-together wrap. 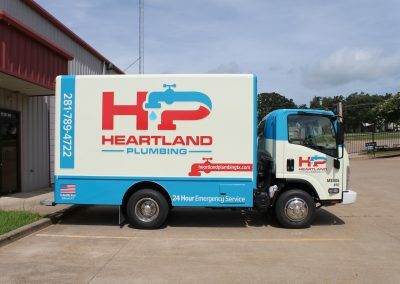 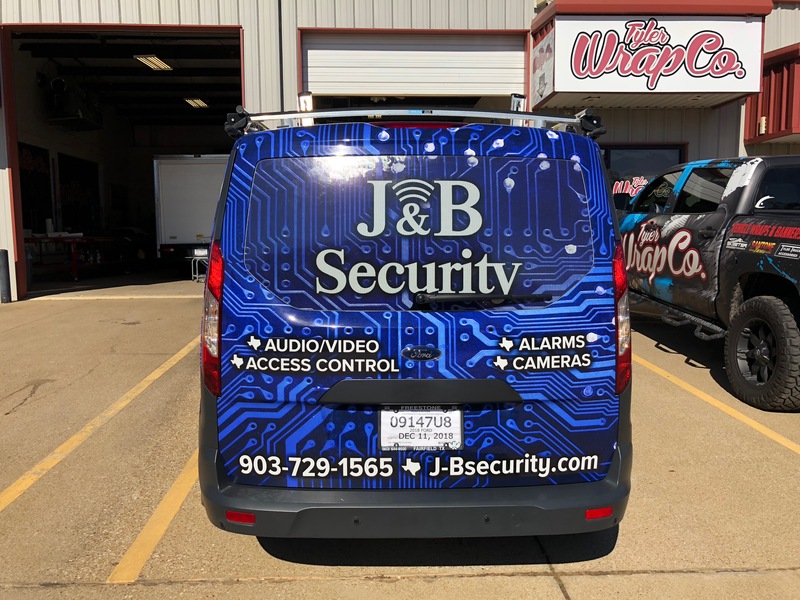 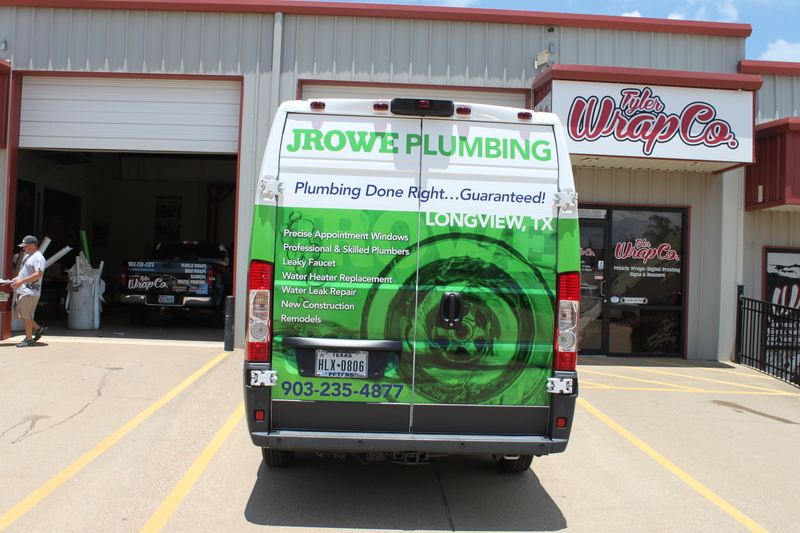 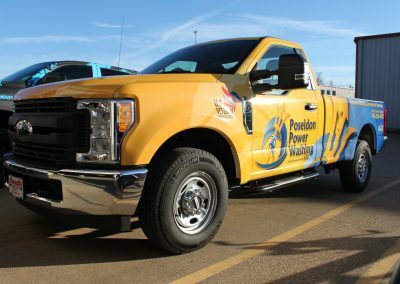 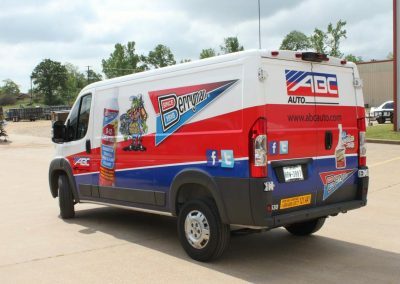 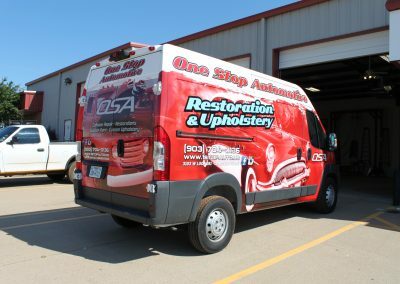 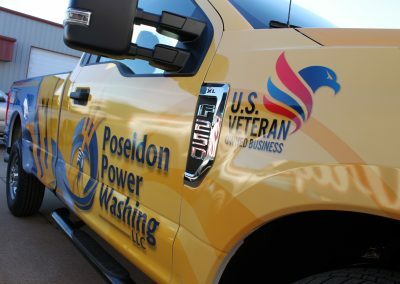 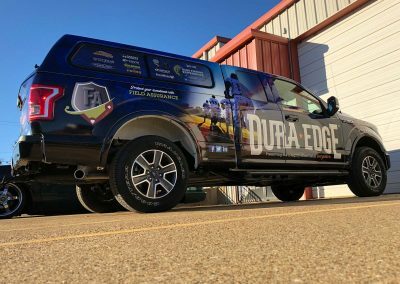 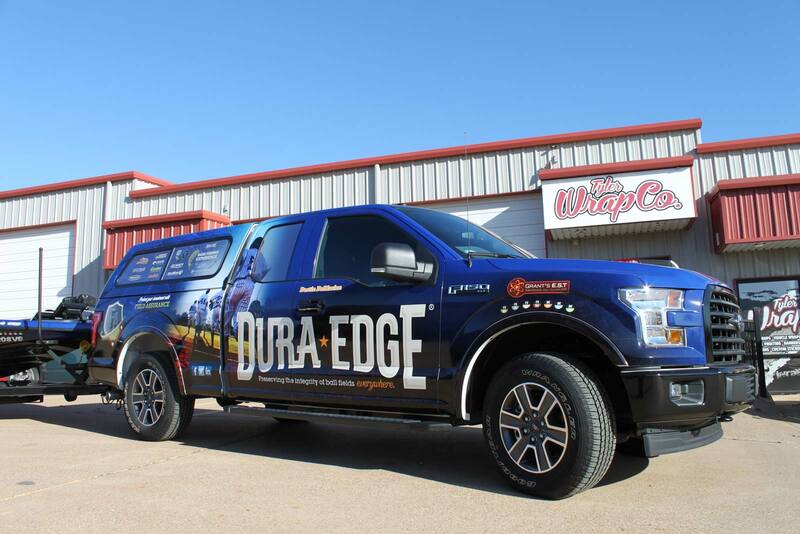 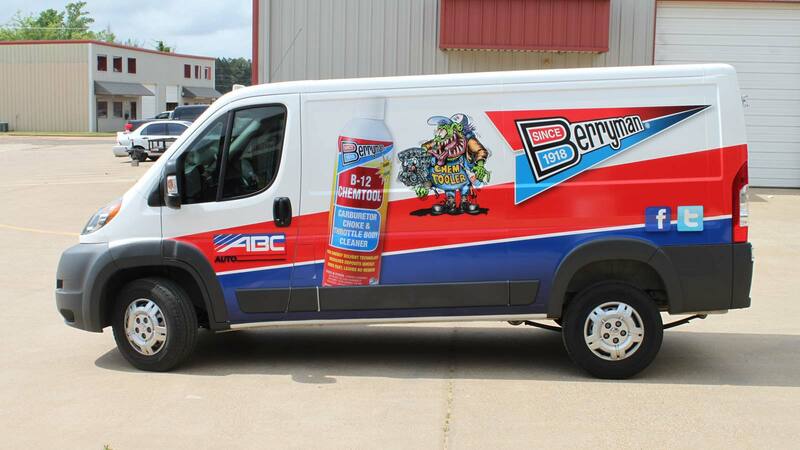 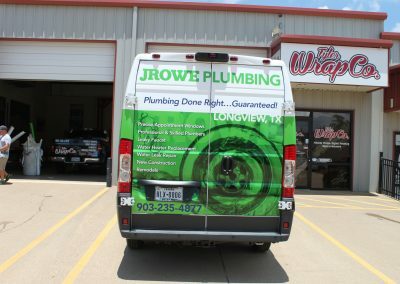 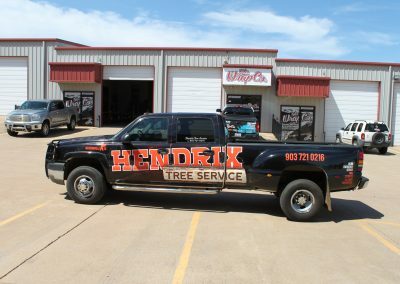 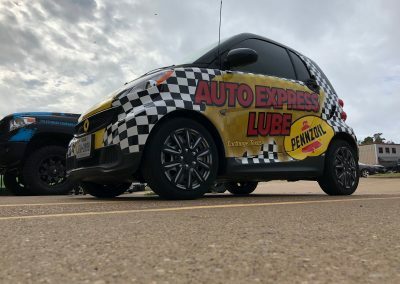 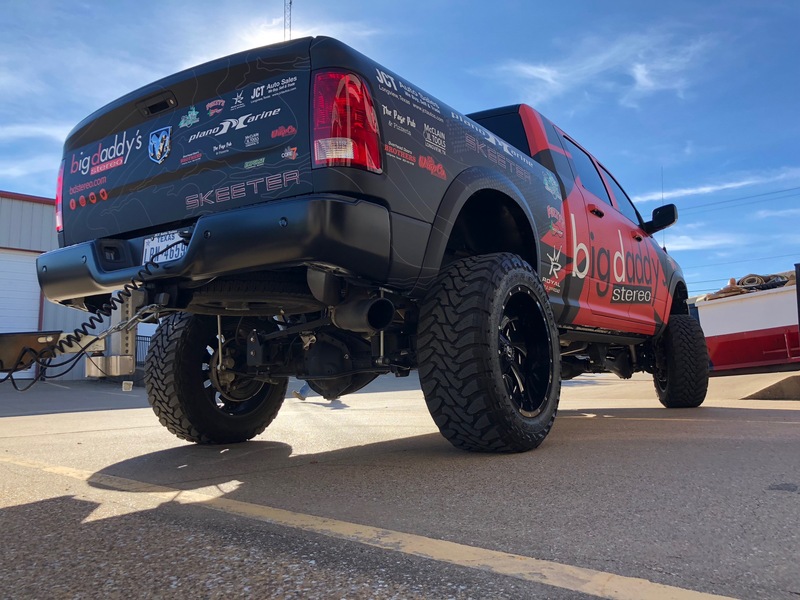 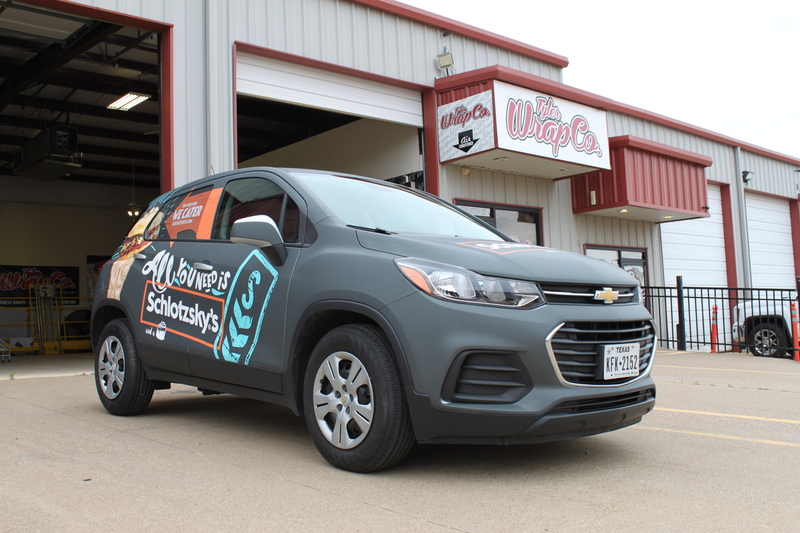 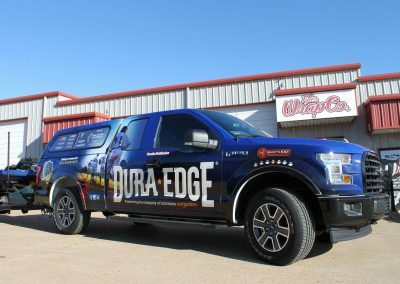 When it’s time to apply the wrap, we fanatically clean and prep the vehicle’s surface—the most crucial detail for proper wrap adherence and longevity. 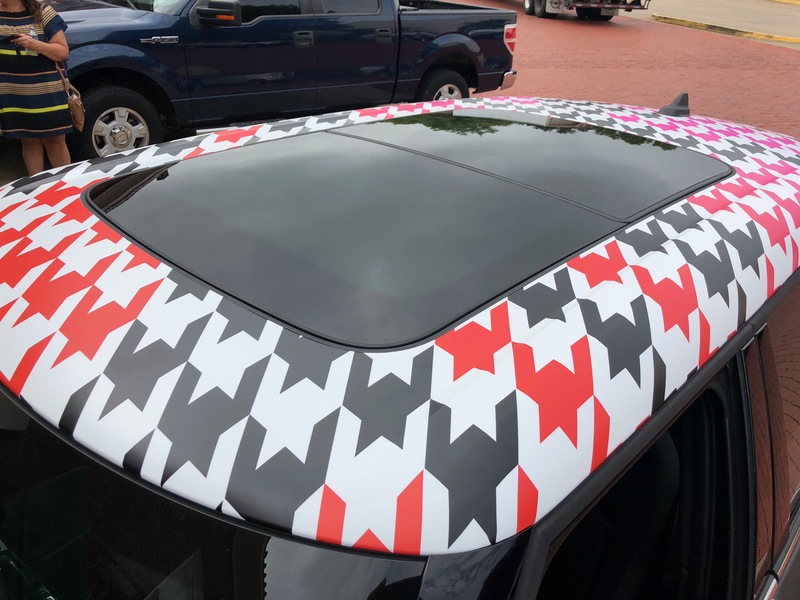 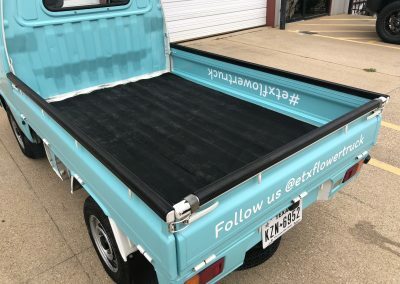 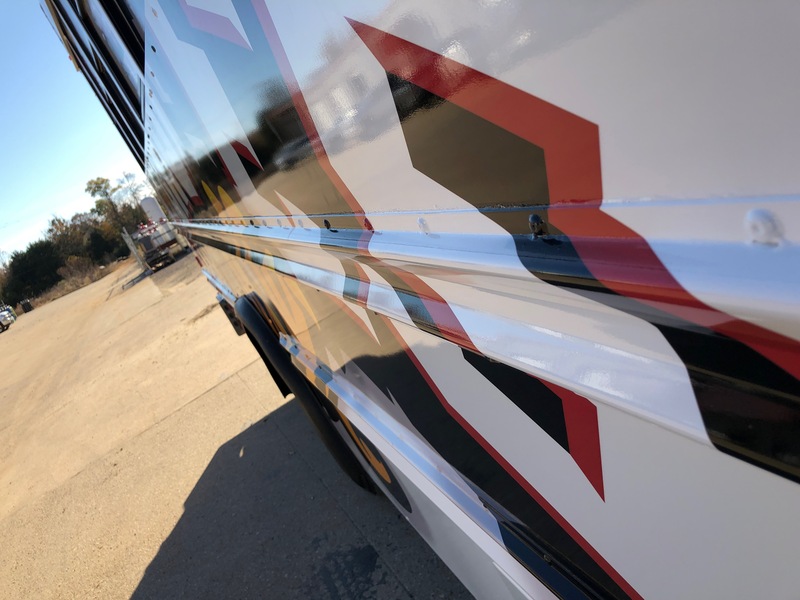 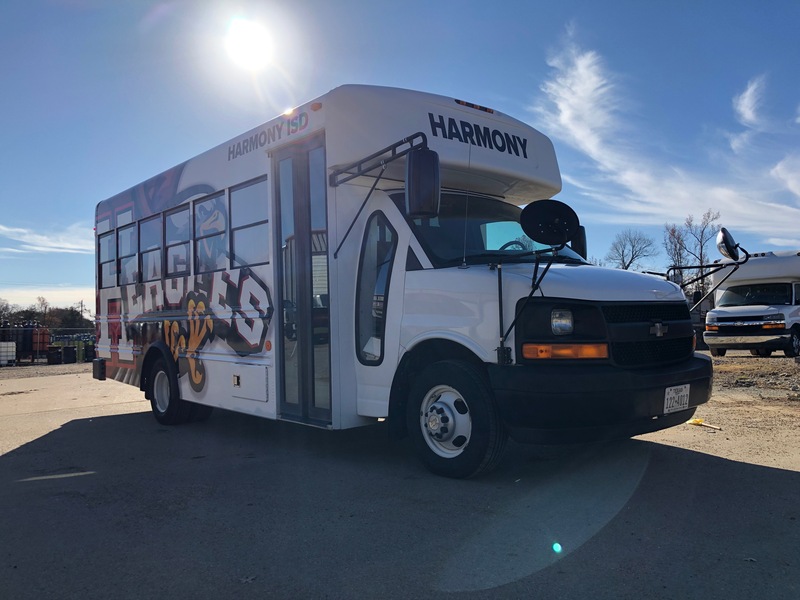 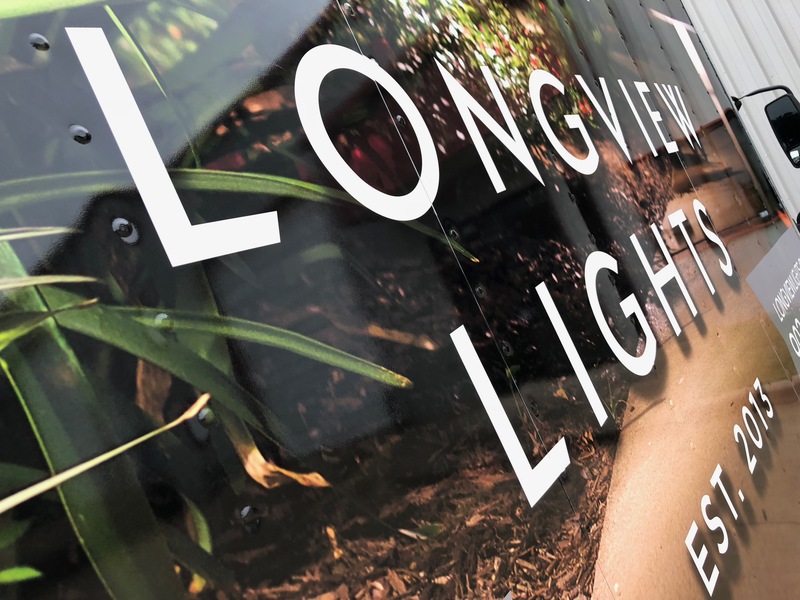 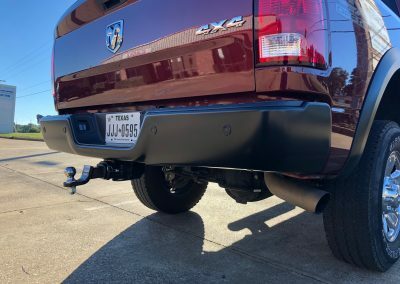 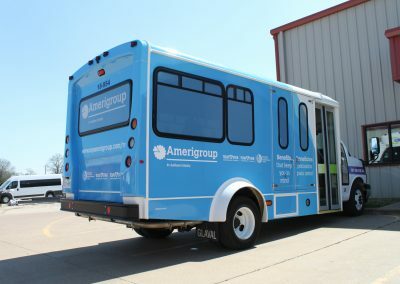 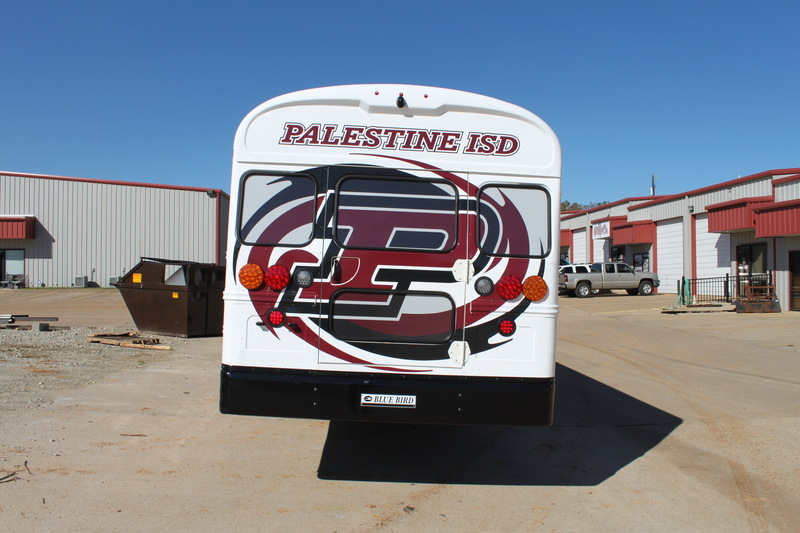 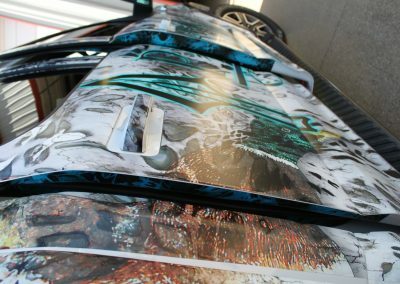 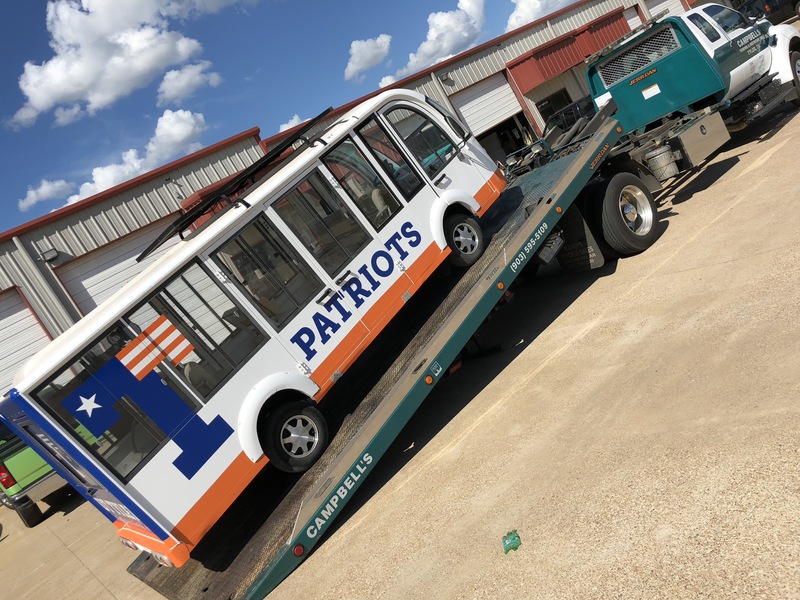 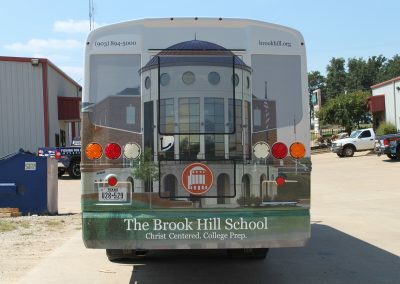 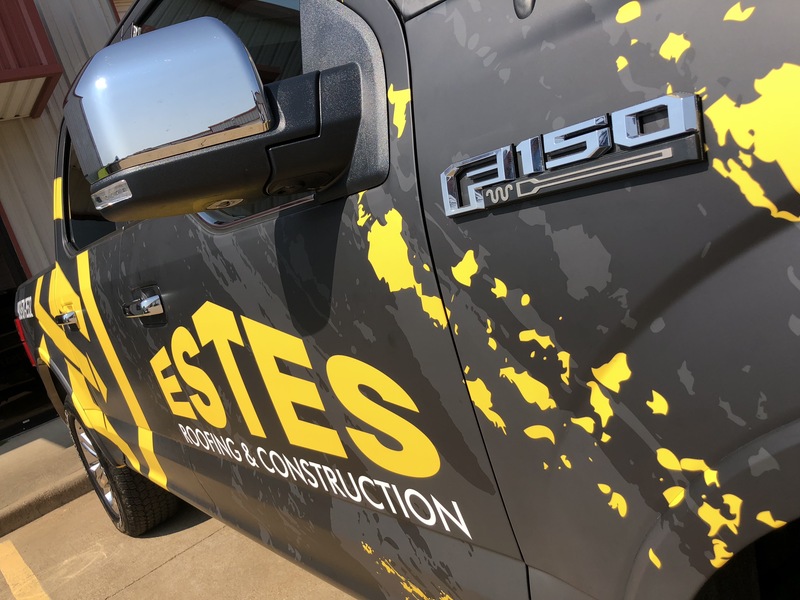 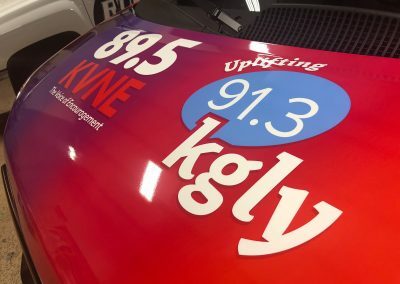 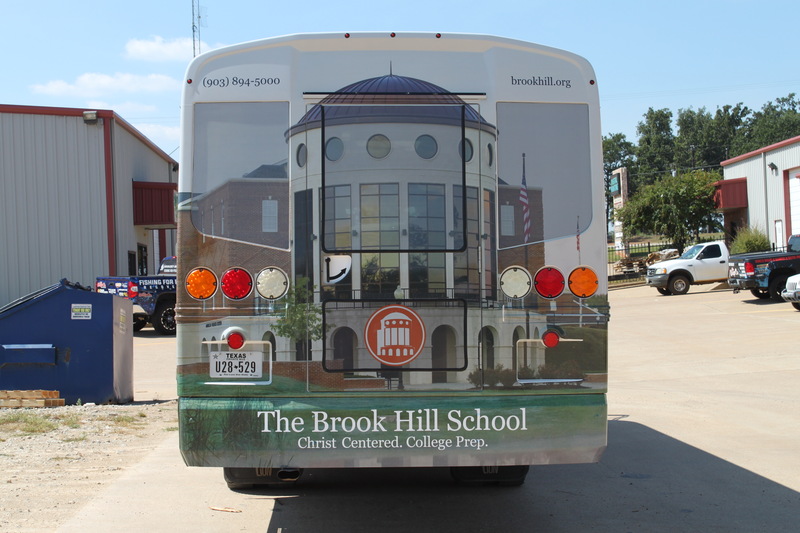 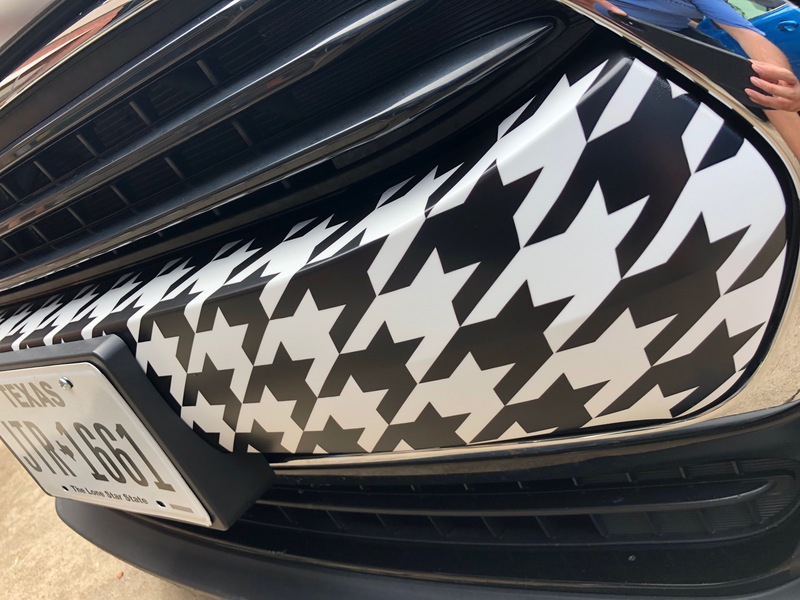 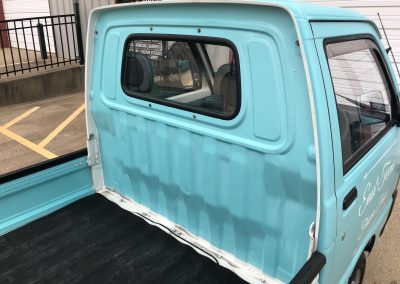 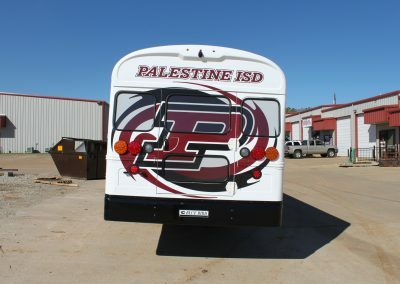 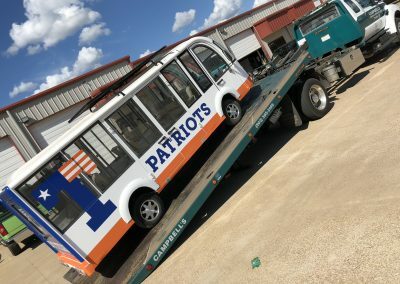 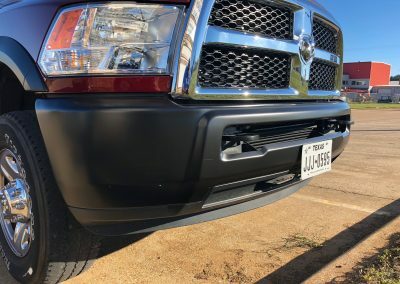 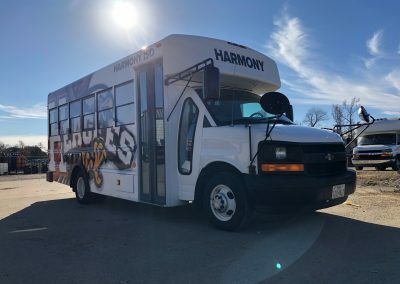 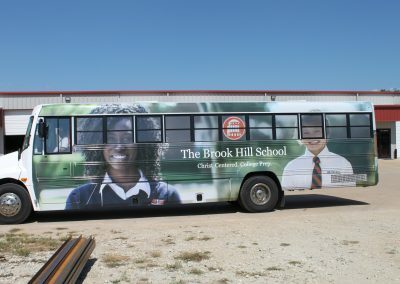 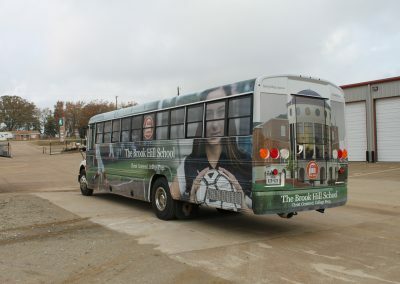 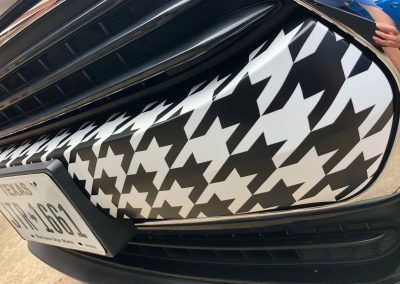 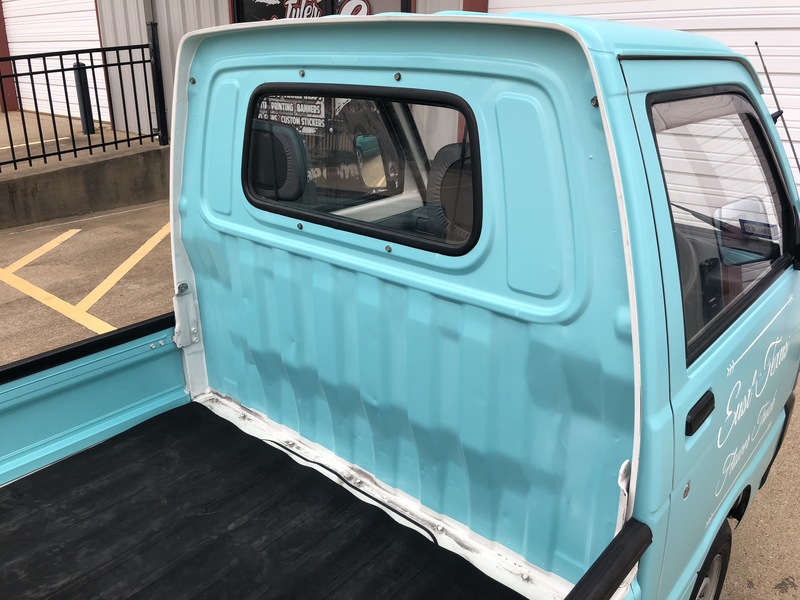 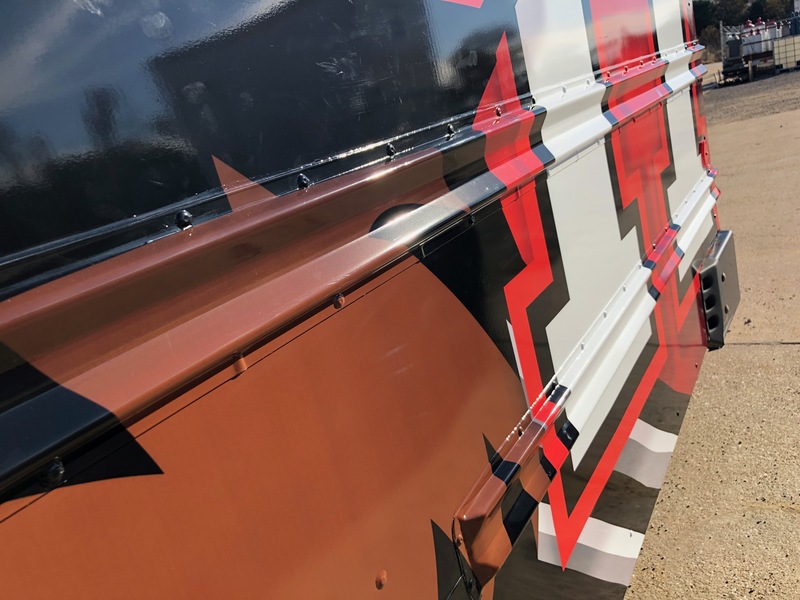 We’ll even disassemble certain sections of the vehicle as necessary to install the material with zero stretch and accurate color that matches the art proof. 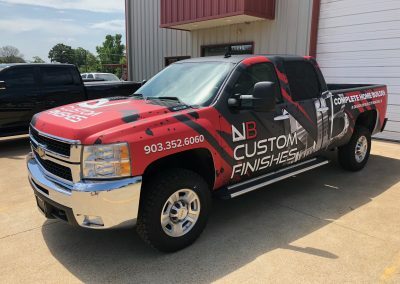 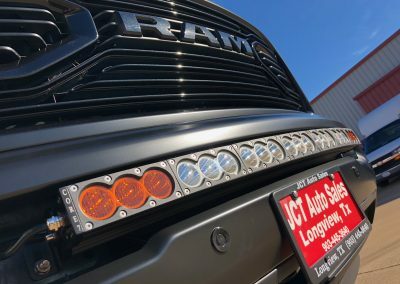 For a personal project, a fun delivery vehicle, or a full fleet of hard-working rigs, we’ll start by understanding your situation and your goals. 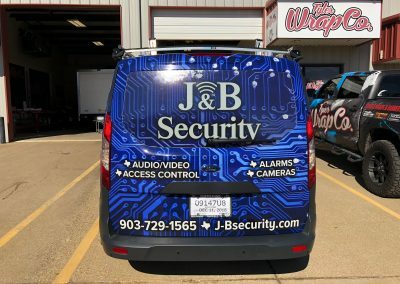 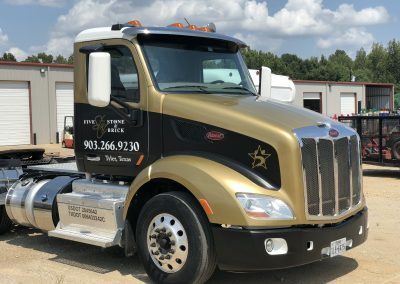 Then, with 20+ years of experience and the latest technology, we’ll work up a wrap that works for you, now and down the road. 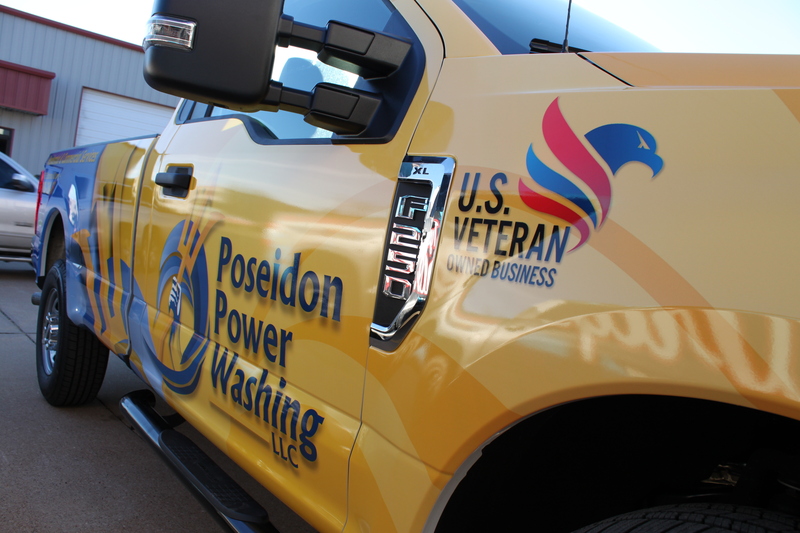 Wherever your pursuits take you, be sure you’re making a great impression. 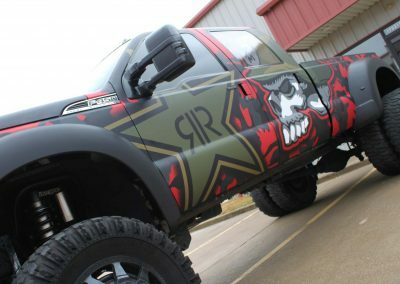 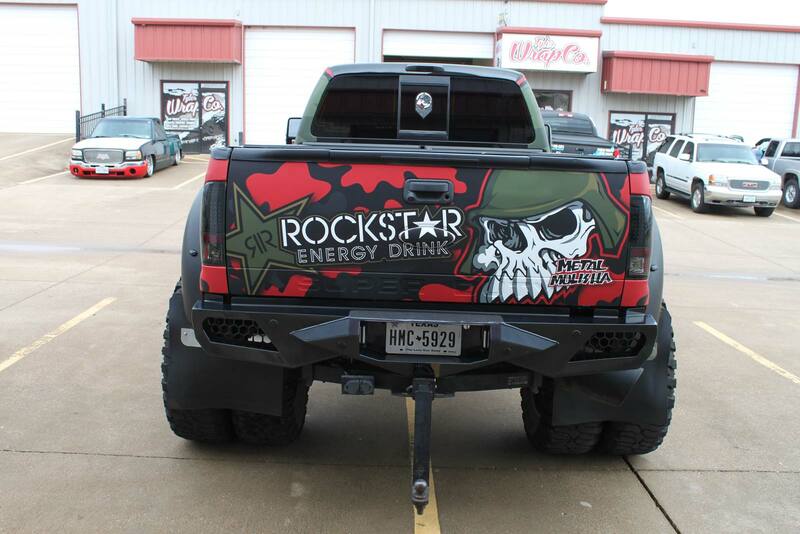 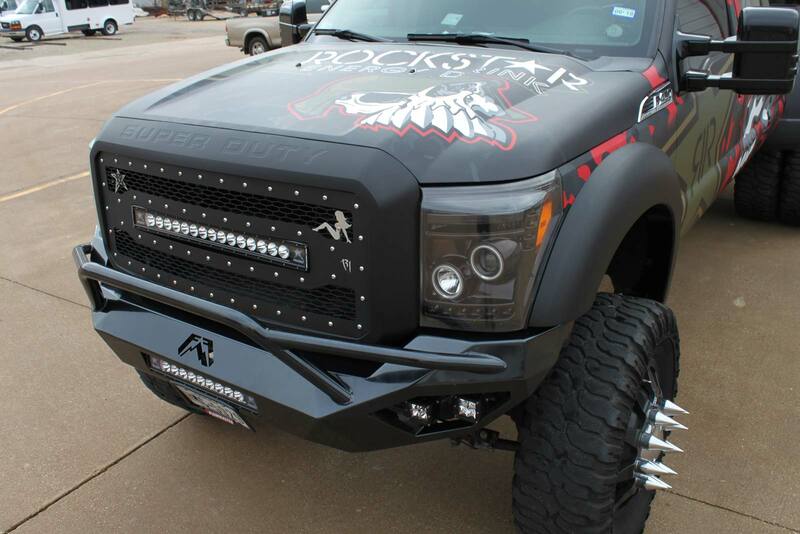 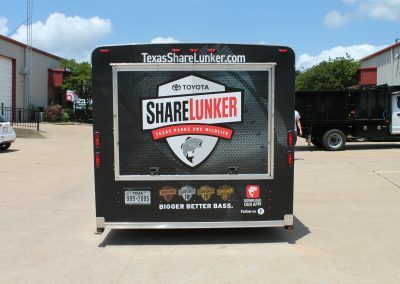 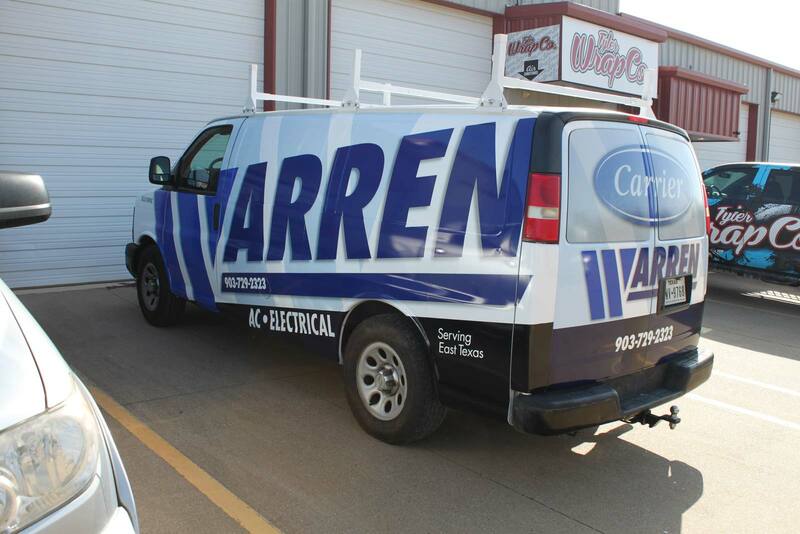 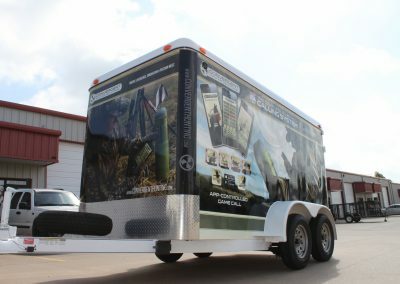 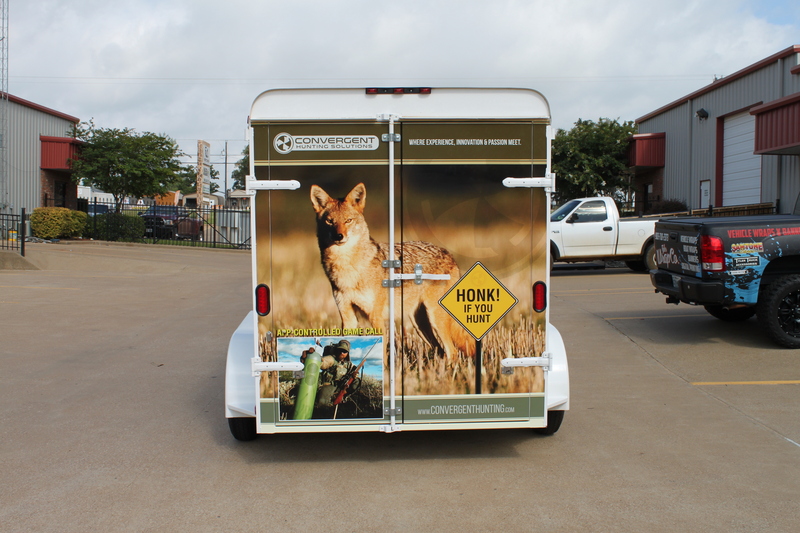 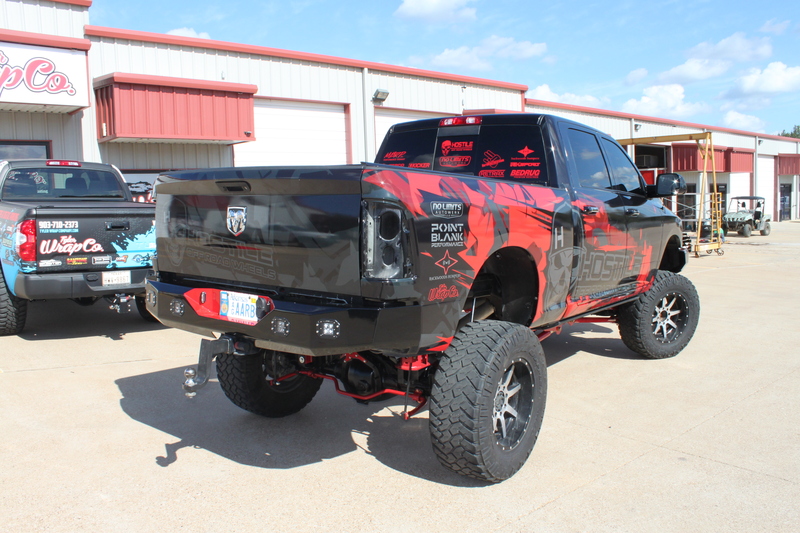 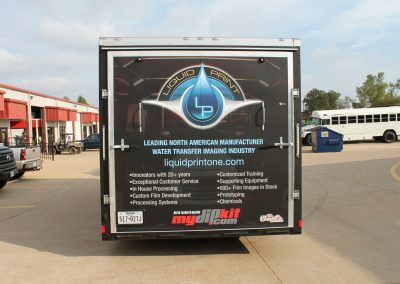 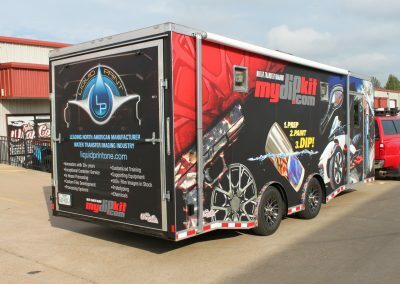 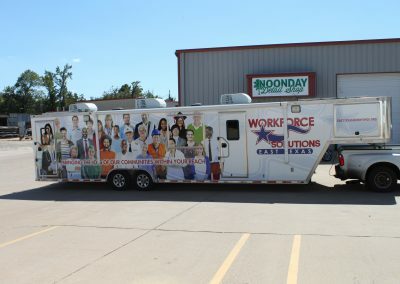 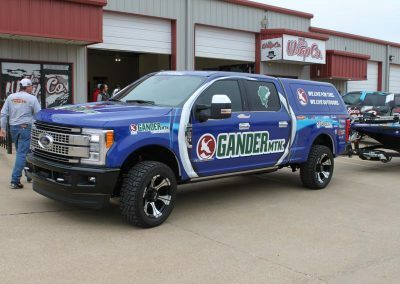 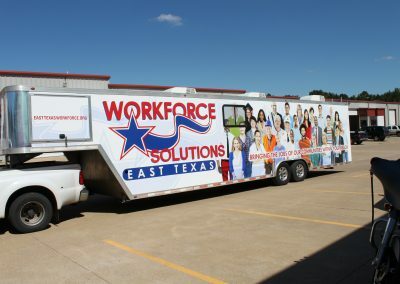 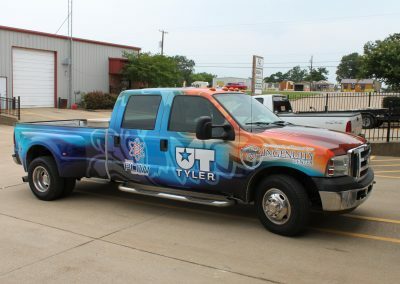 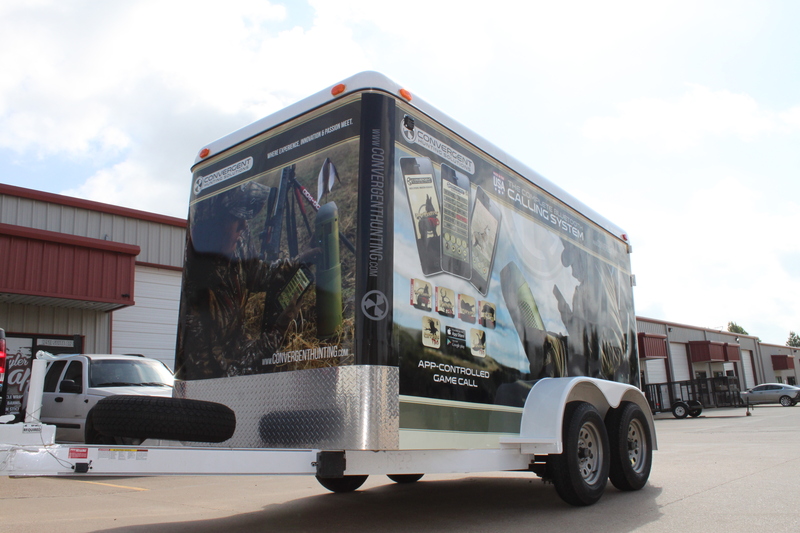 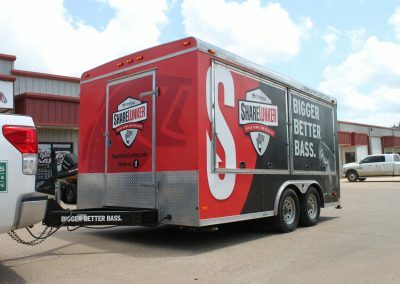 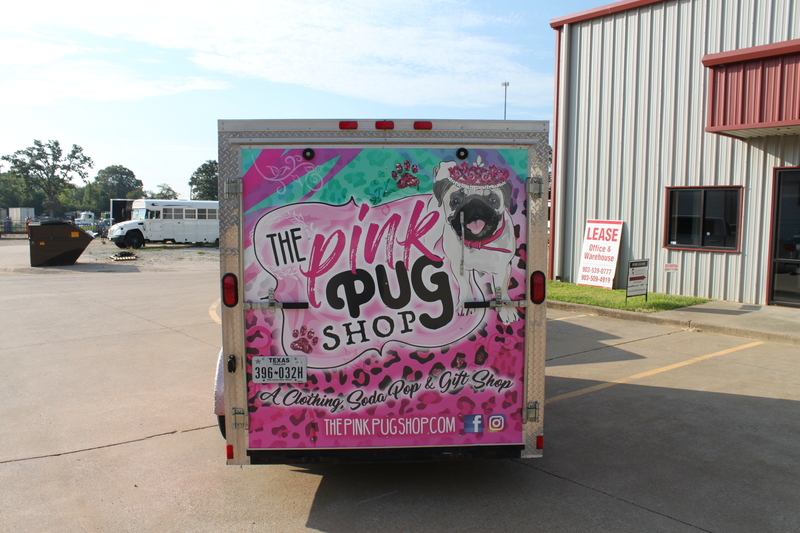 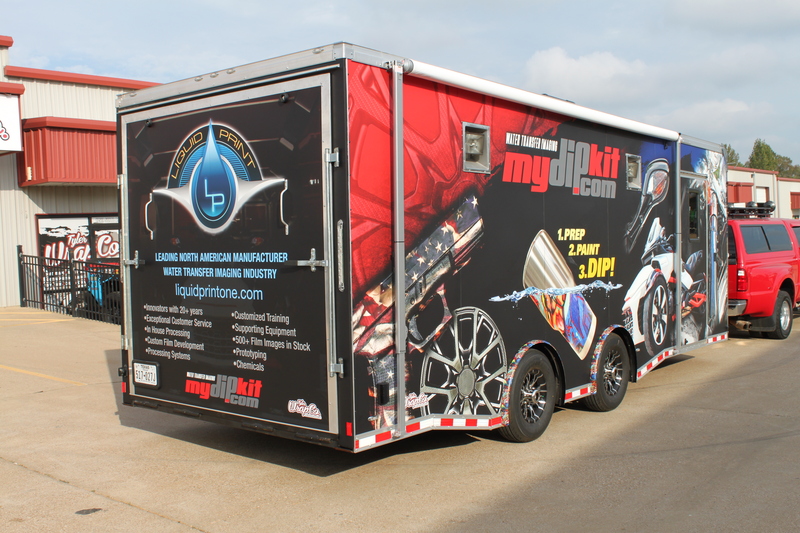 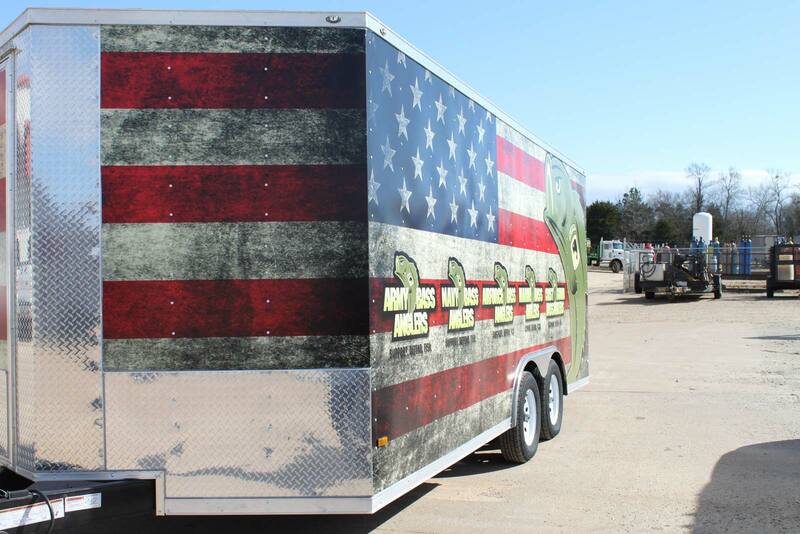 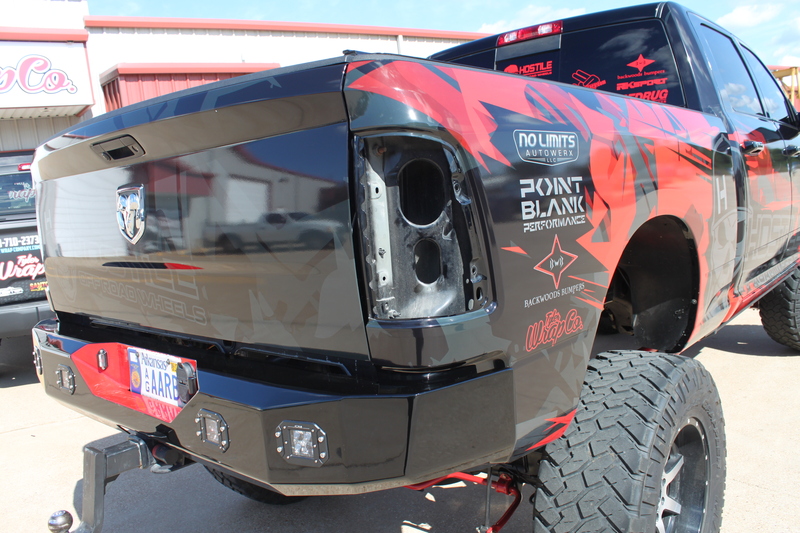 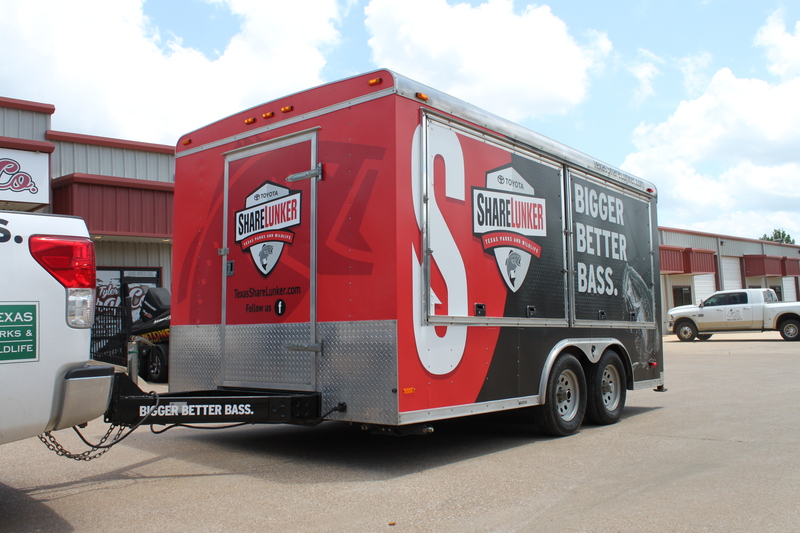 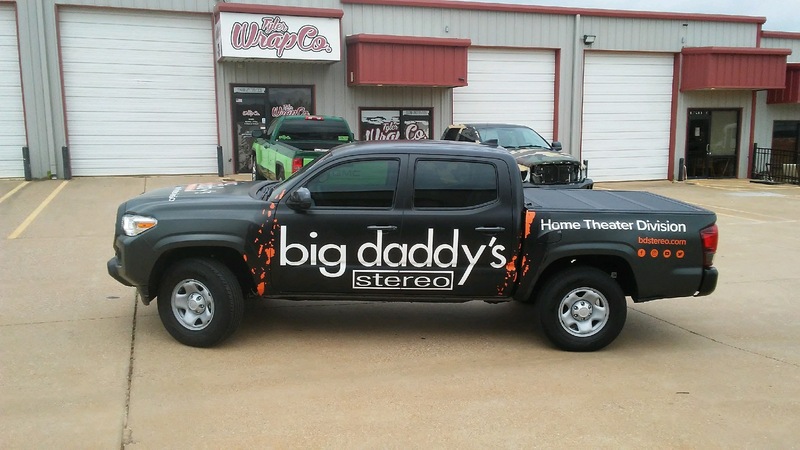 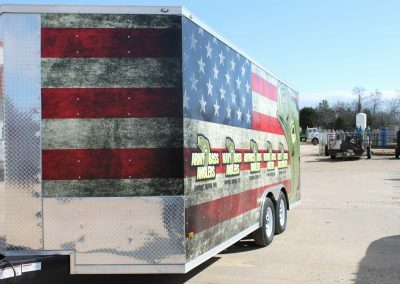 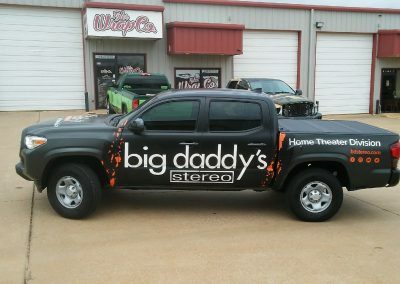 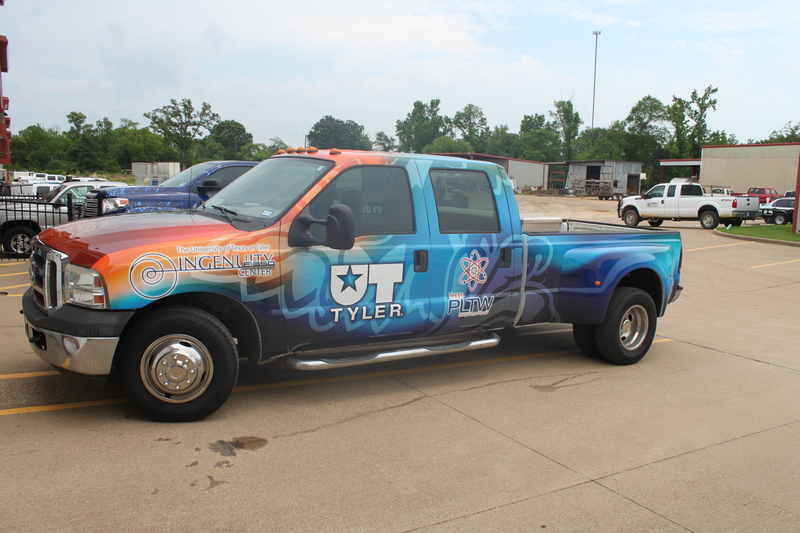 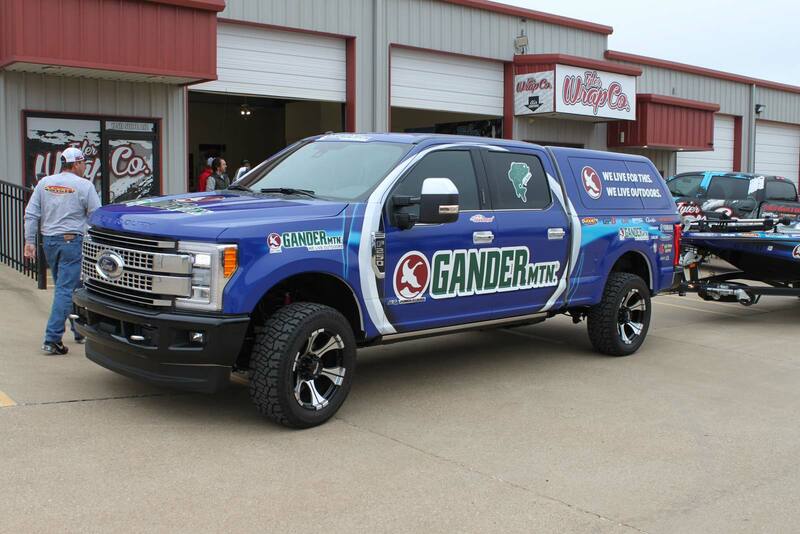 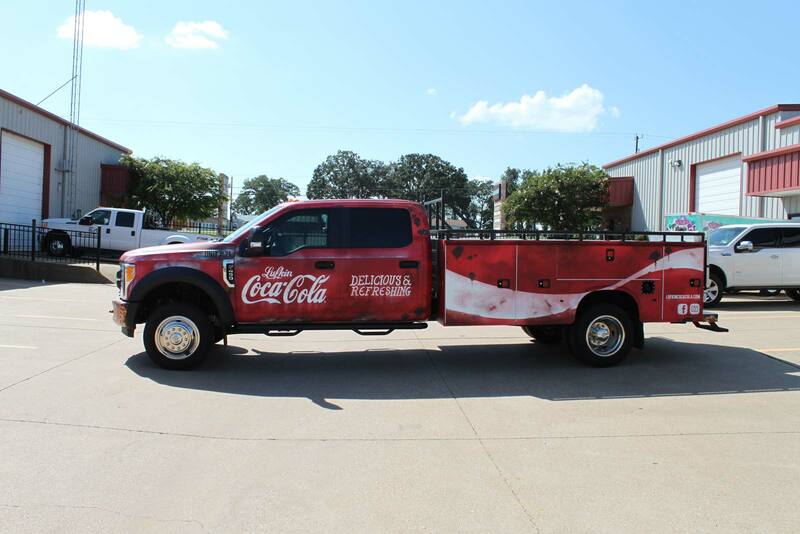 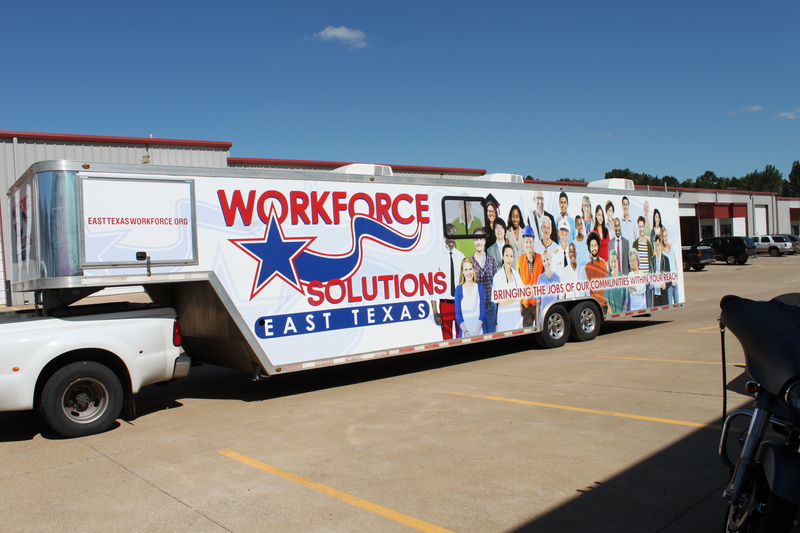 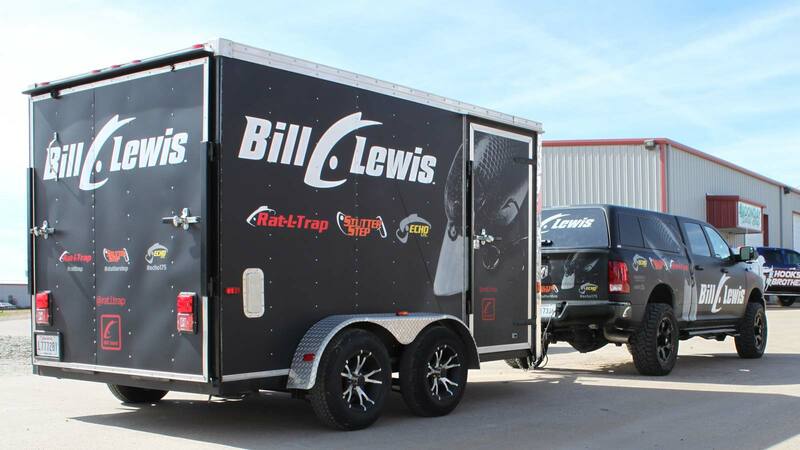 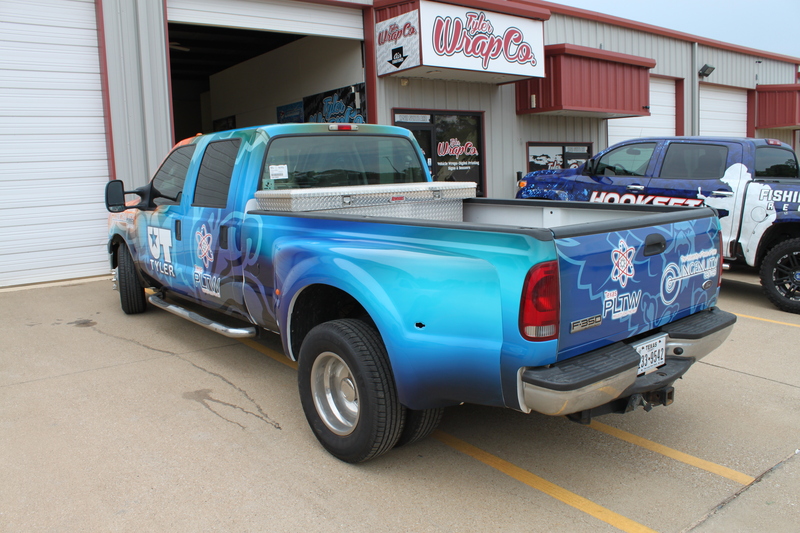 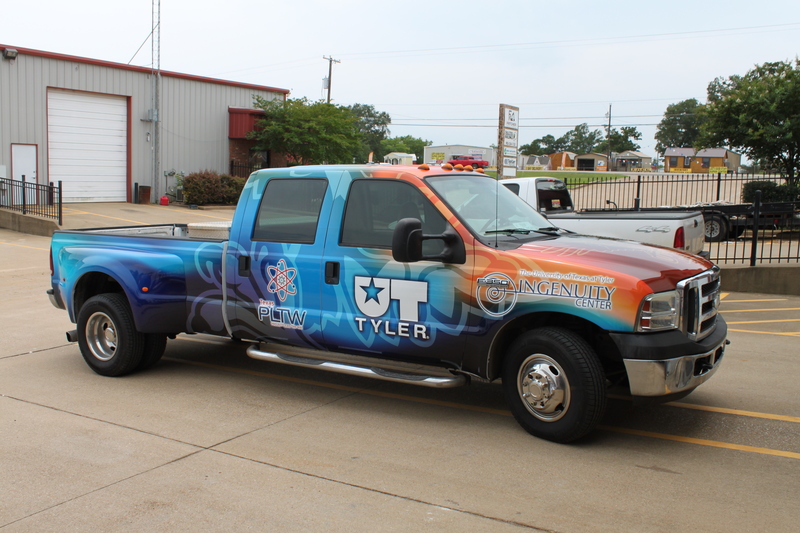 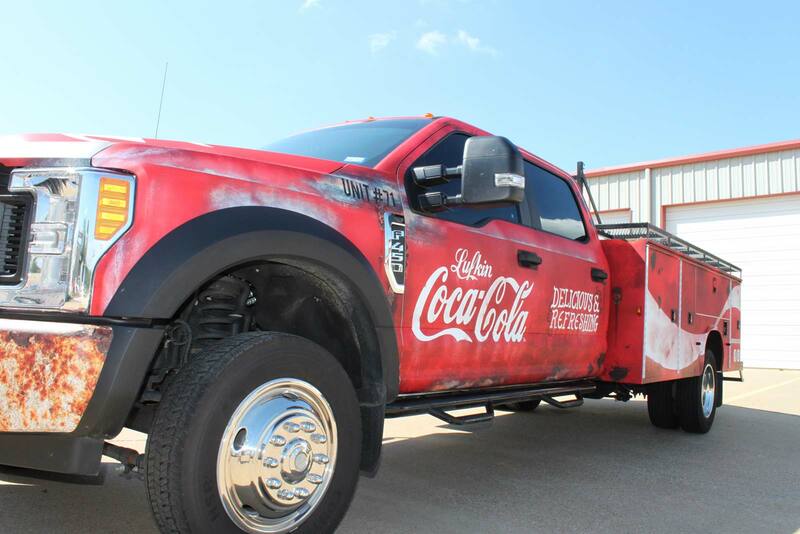 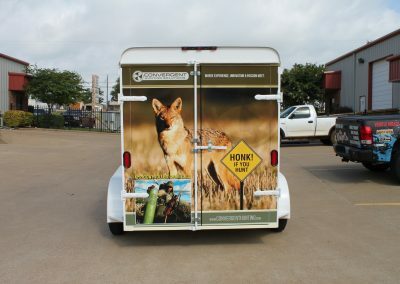 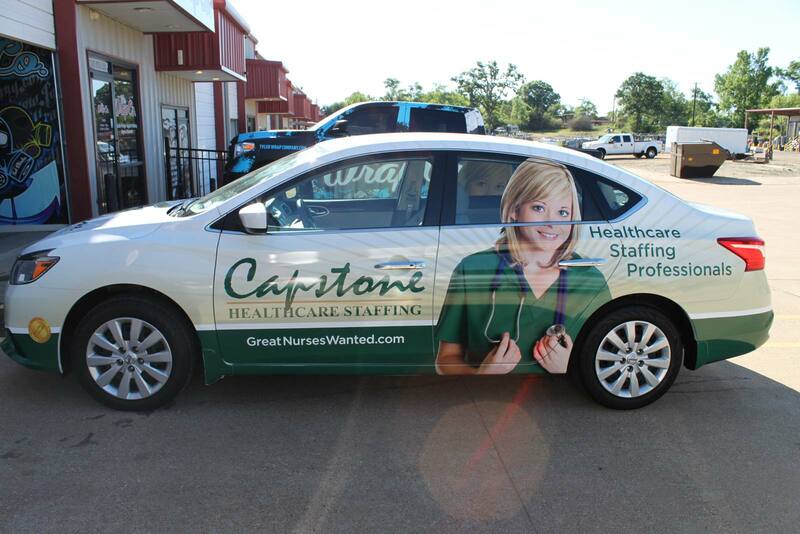 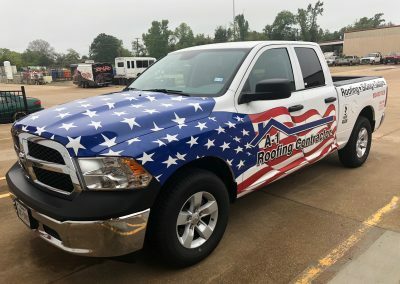 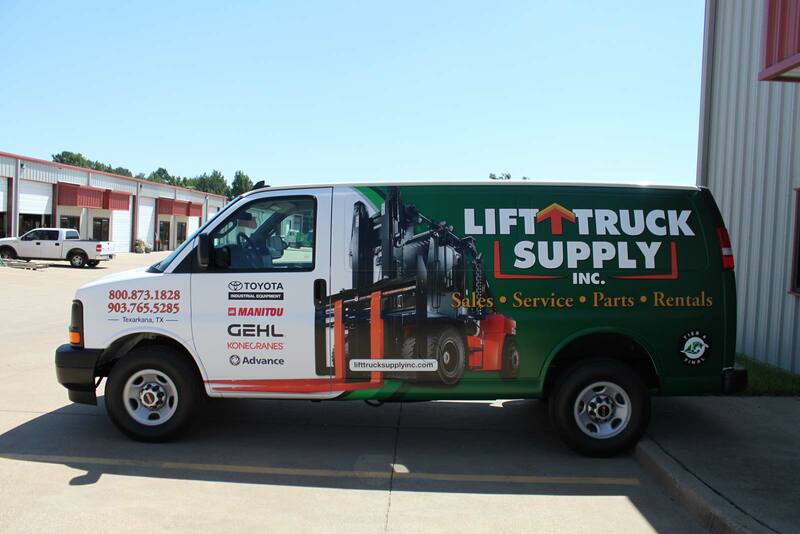 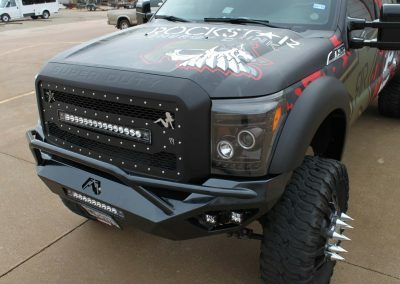 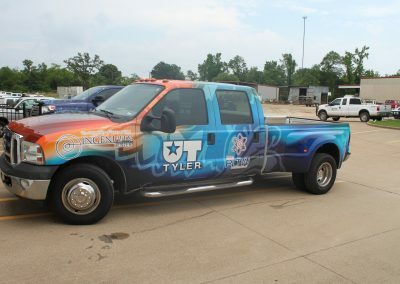 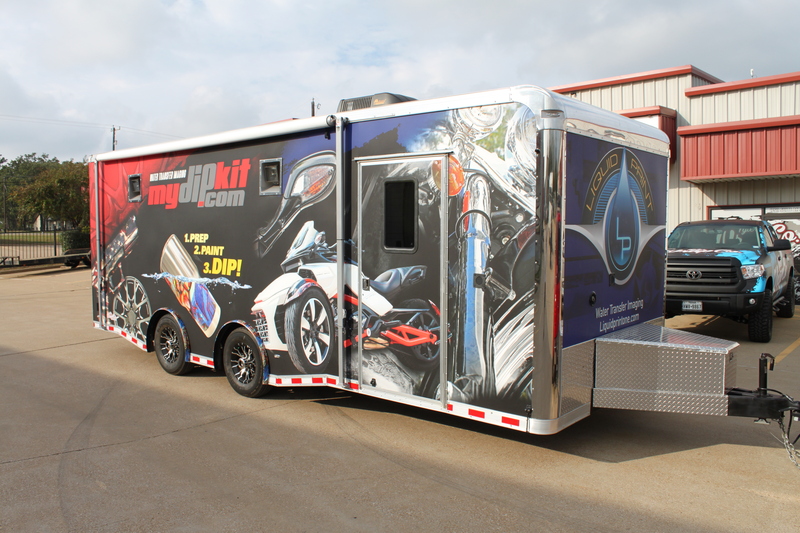 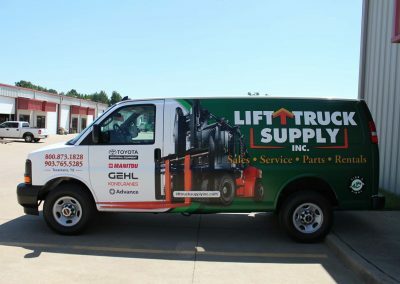 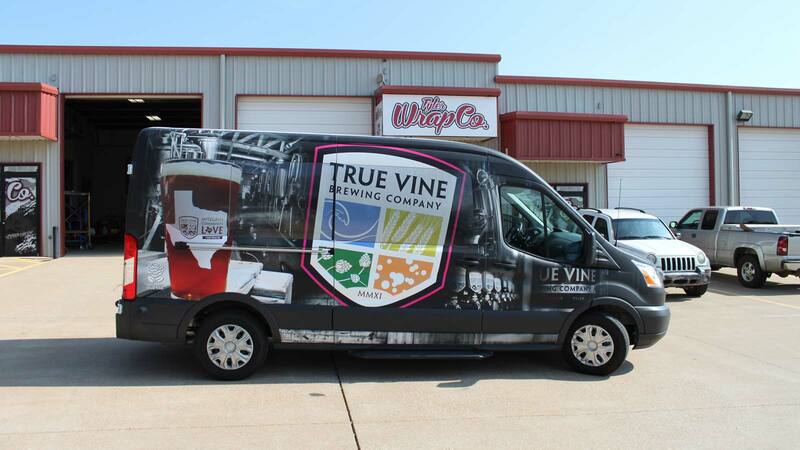 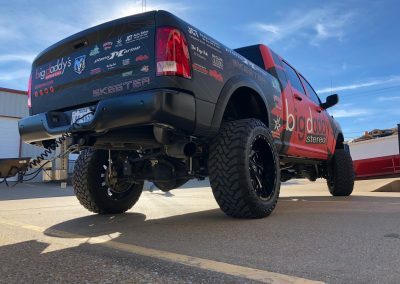 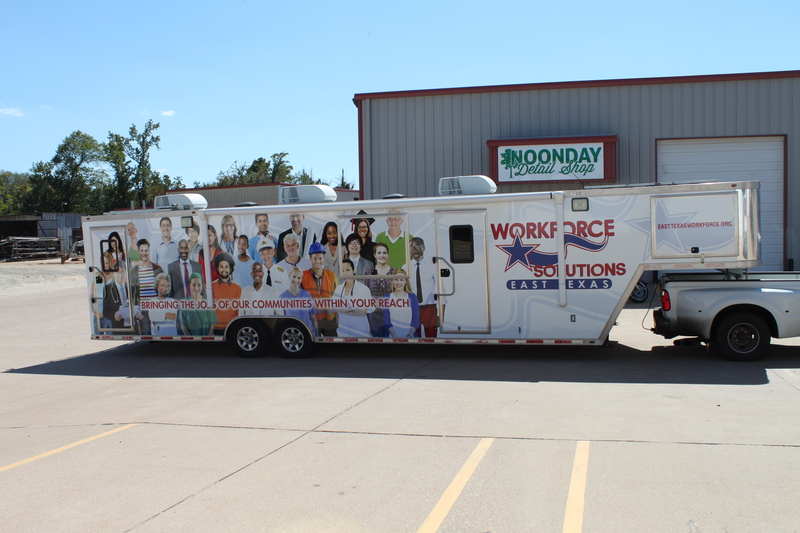 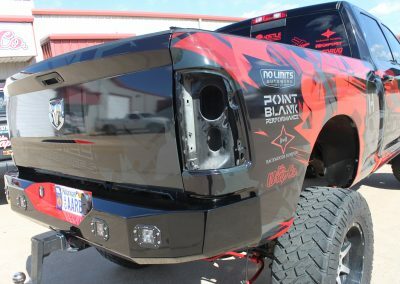 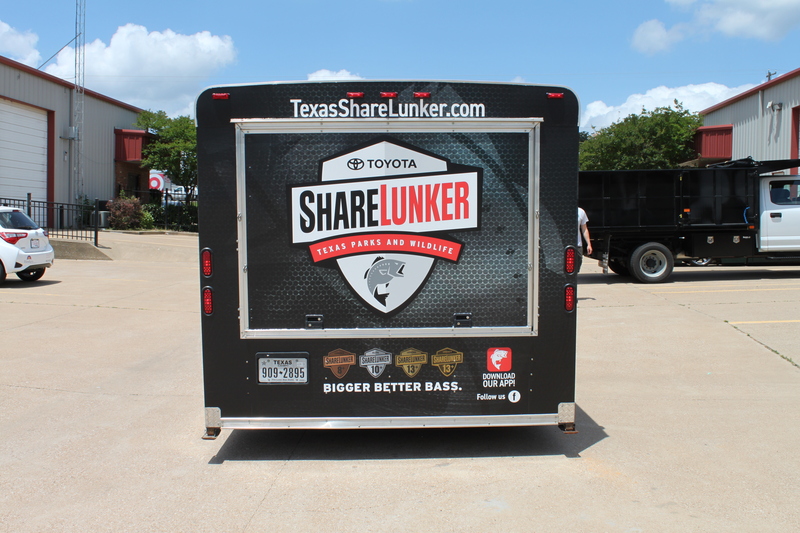 Tyler Wrap Company will turn your rig into a rolling reinforcement of brand power for everyone you meet on the road. 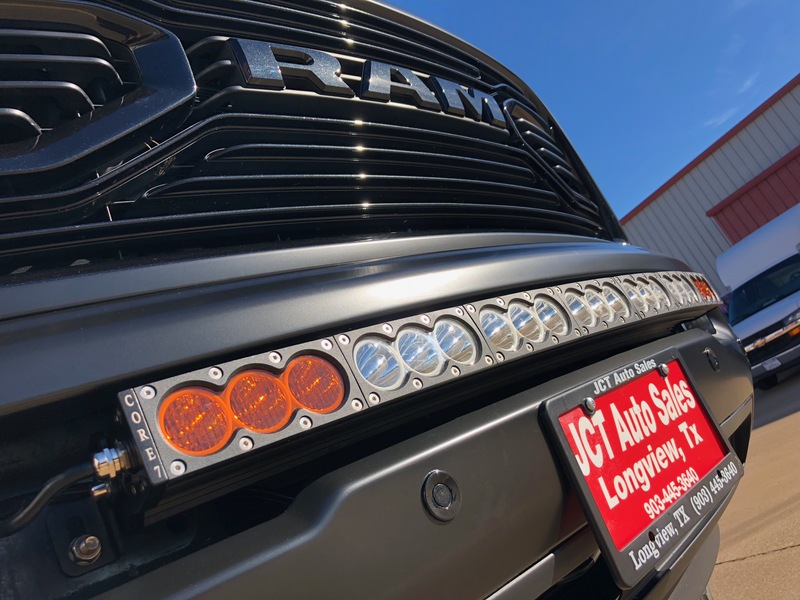 Discover the possibilities when you invest in the best. 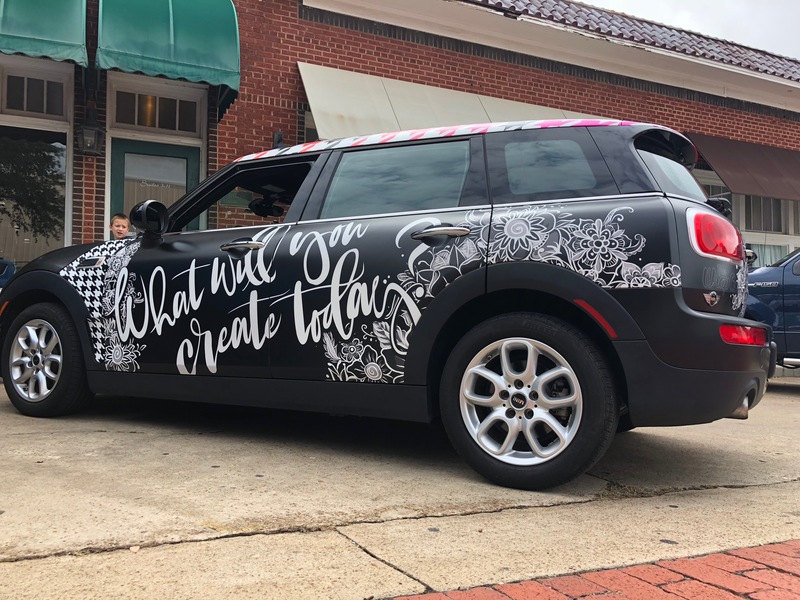 Creative designs like the world has never seen. 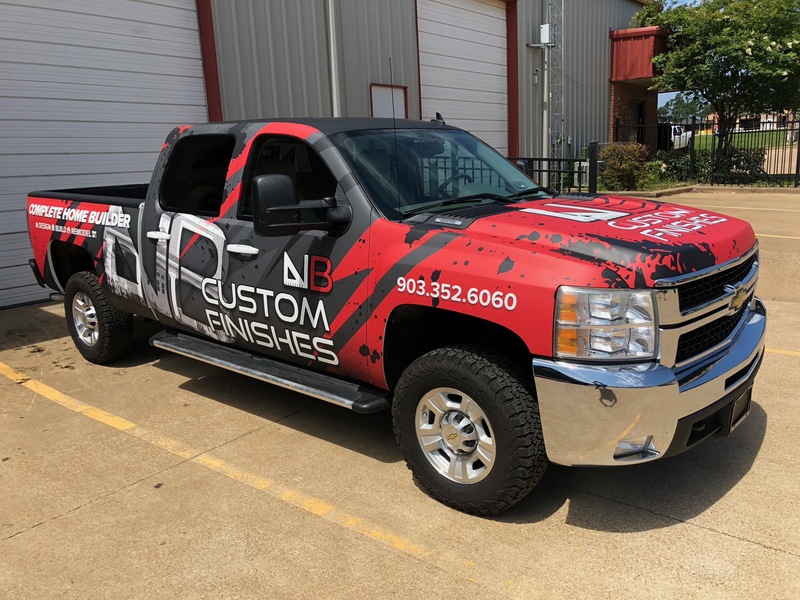 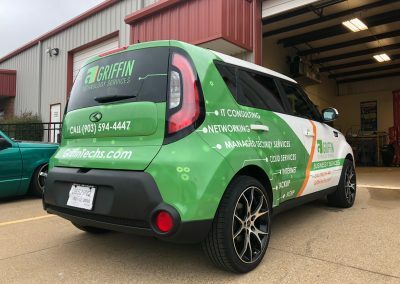 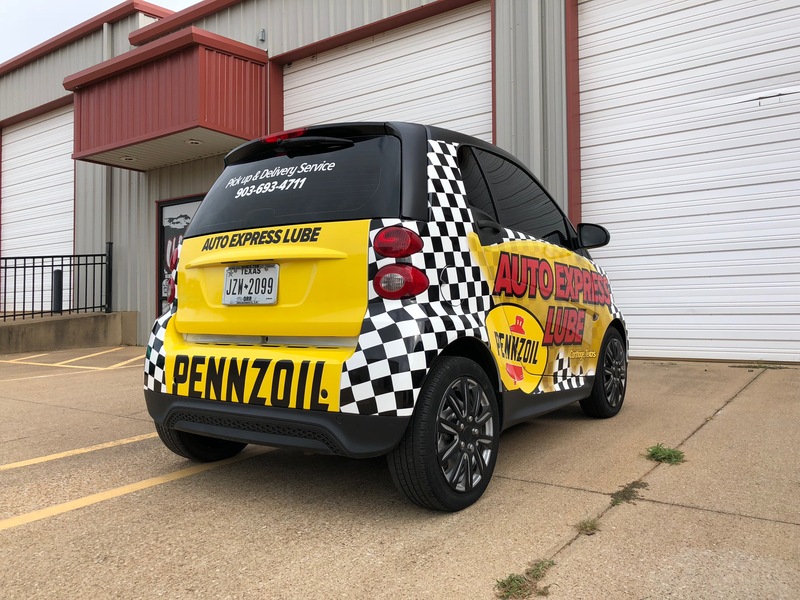 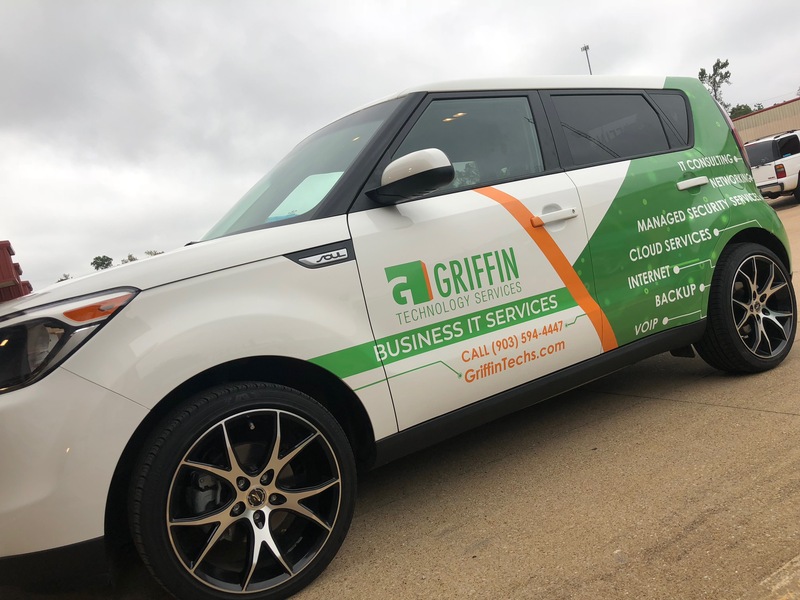 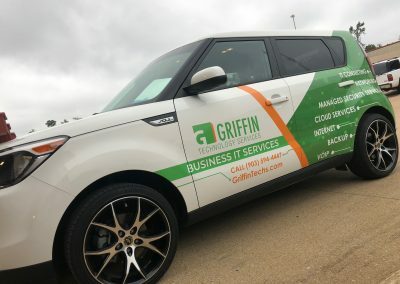 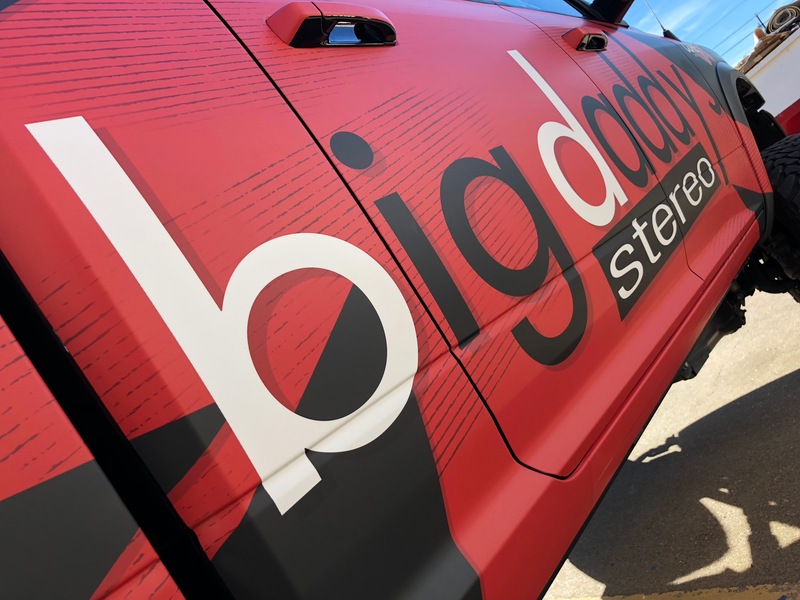 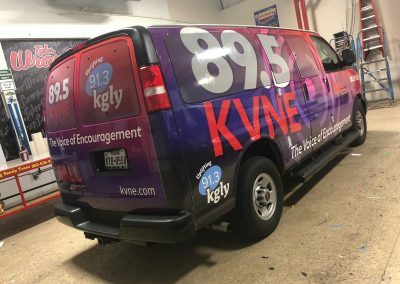 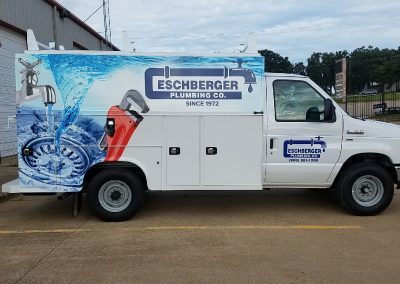 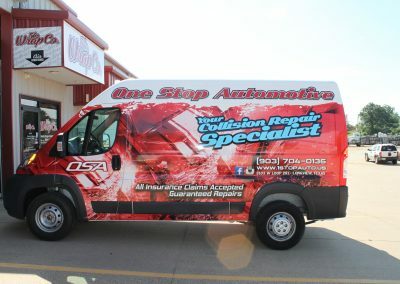 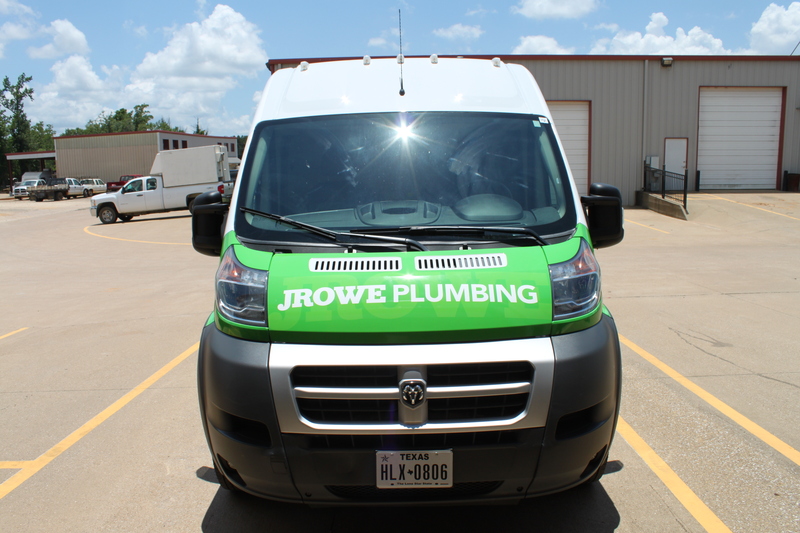 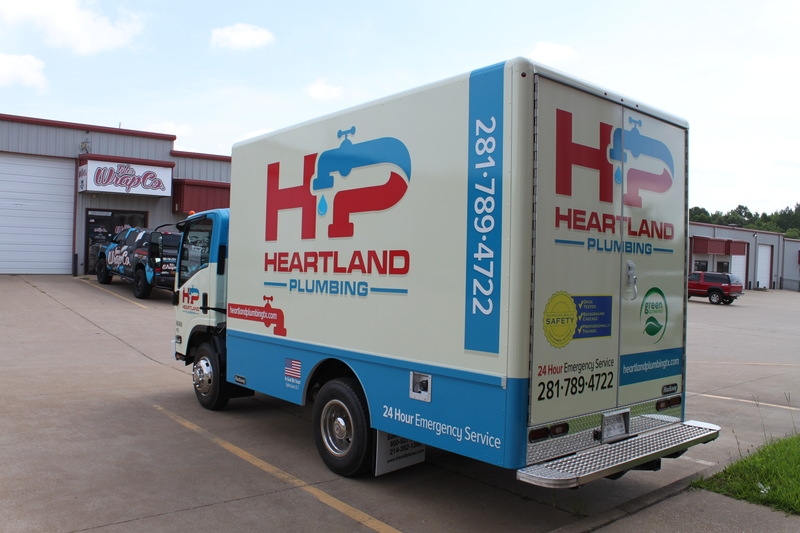 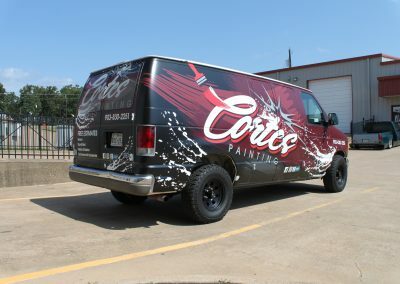 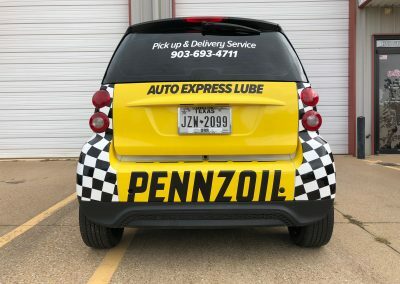 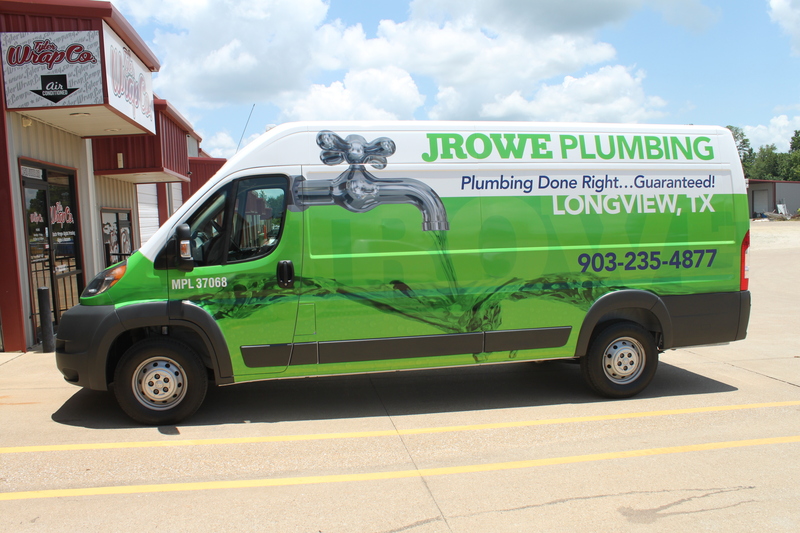 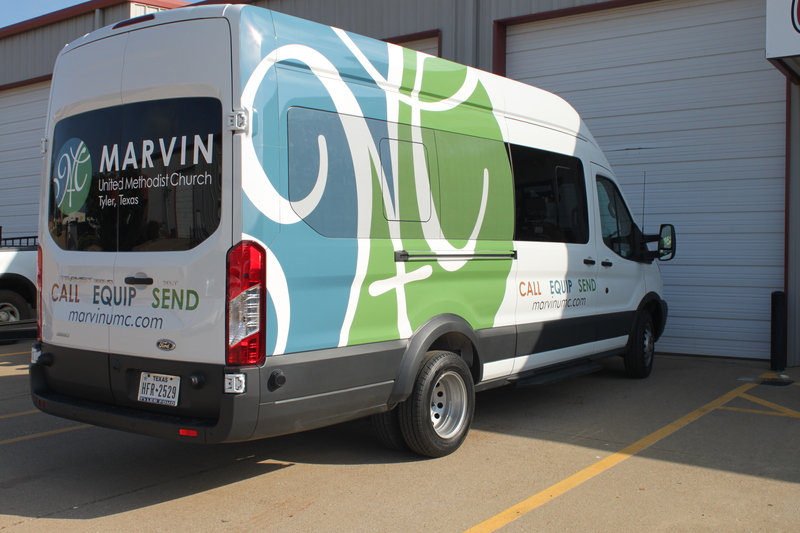 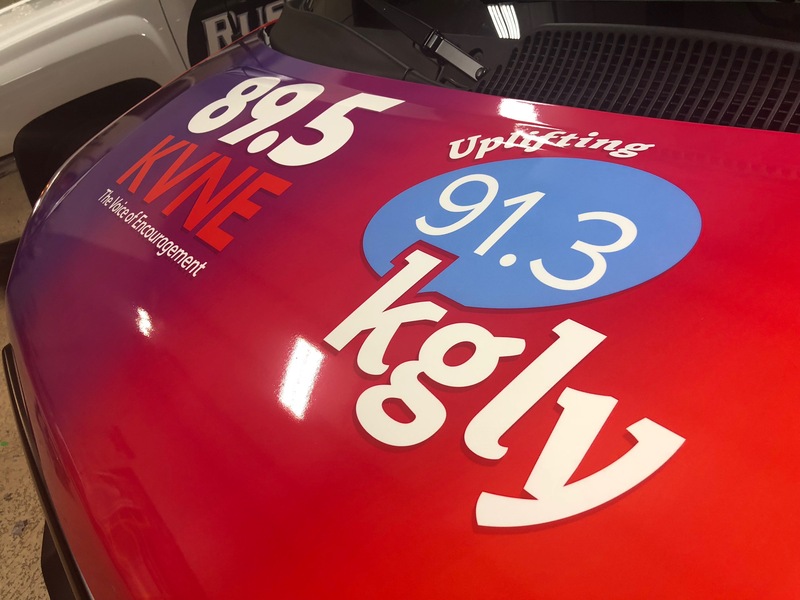 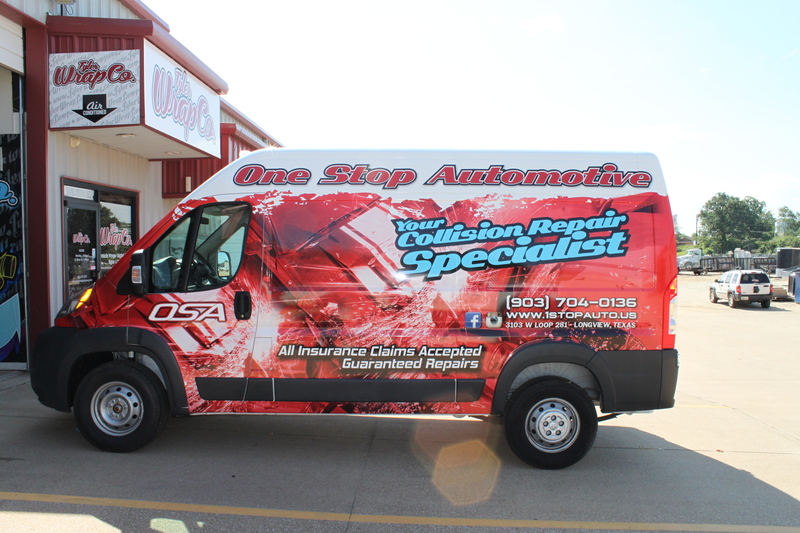 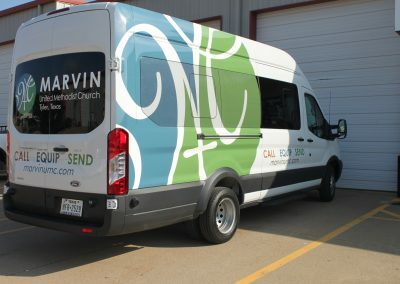 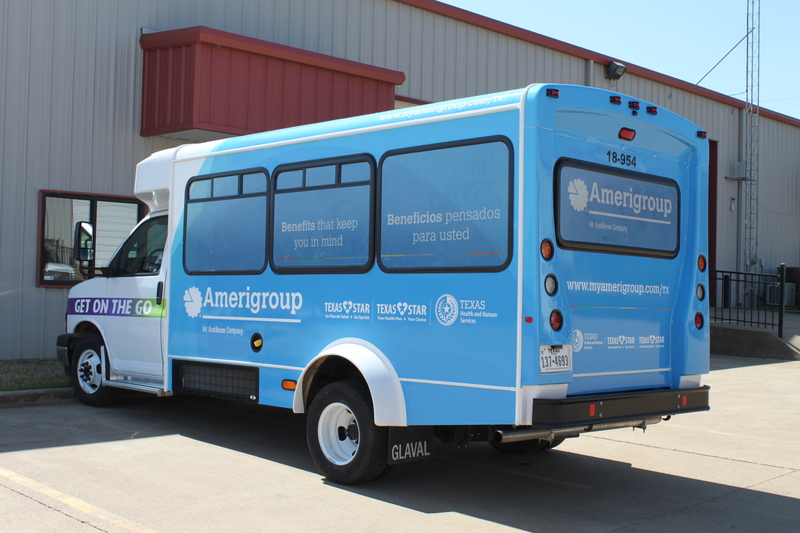 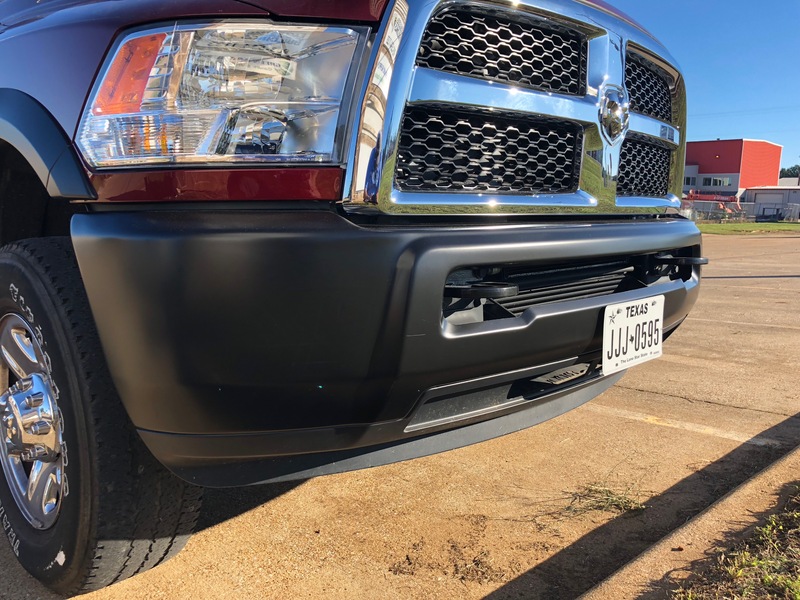 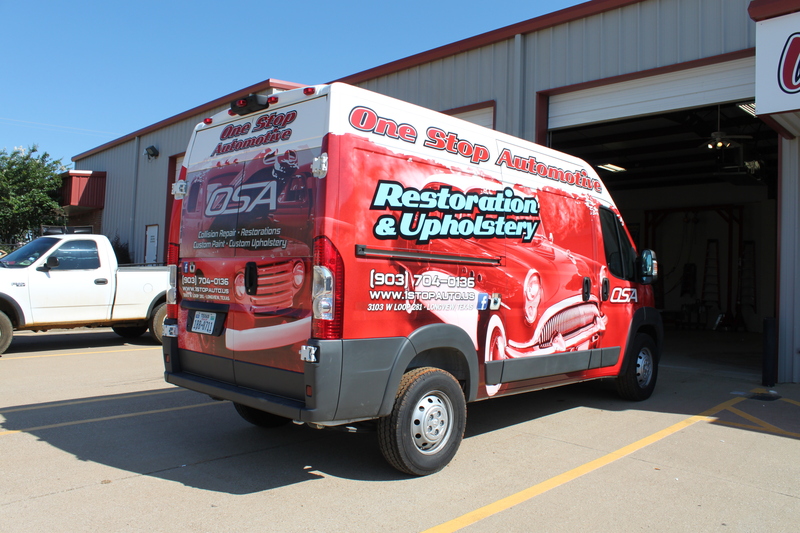 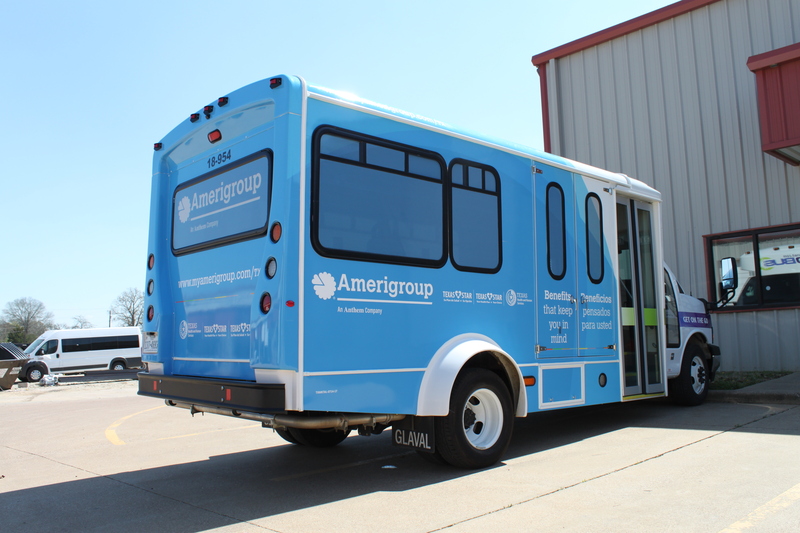 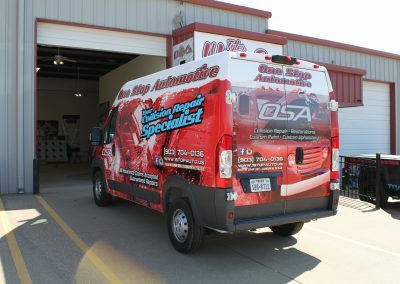 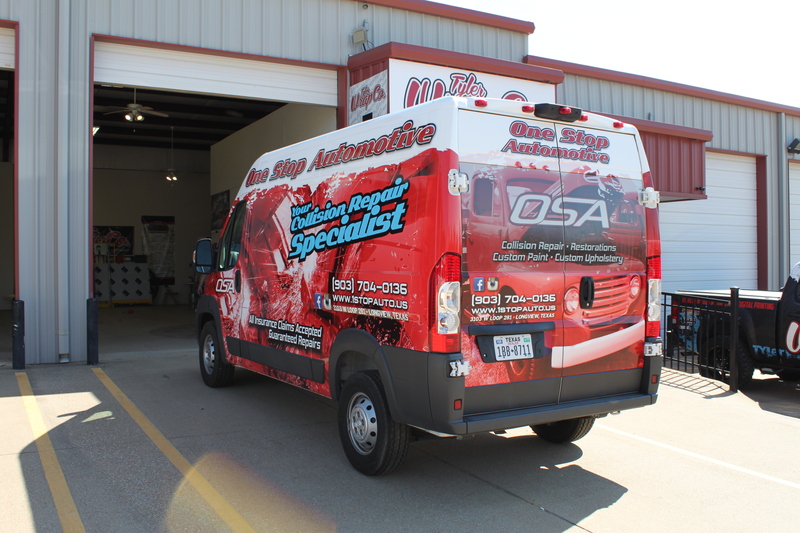 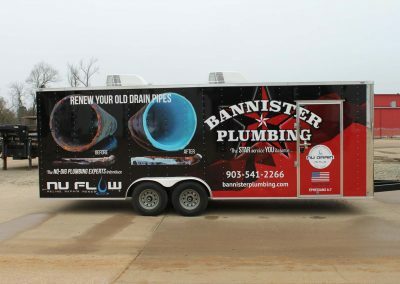 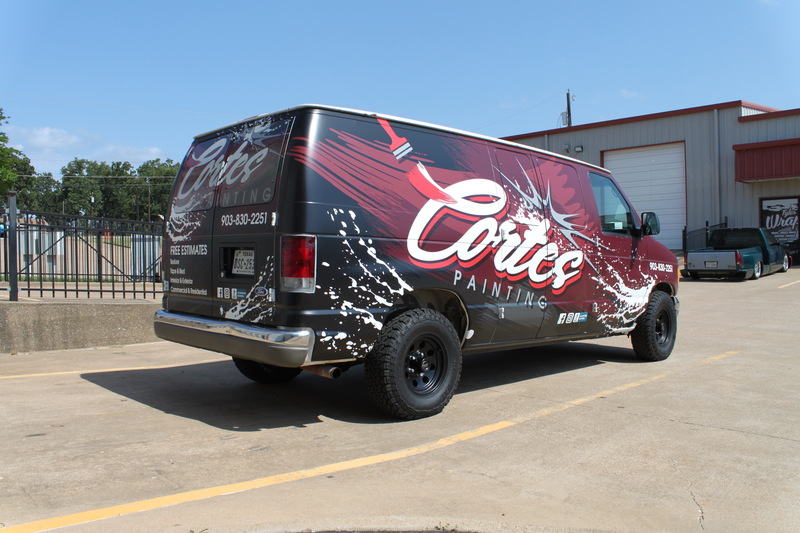 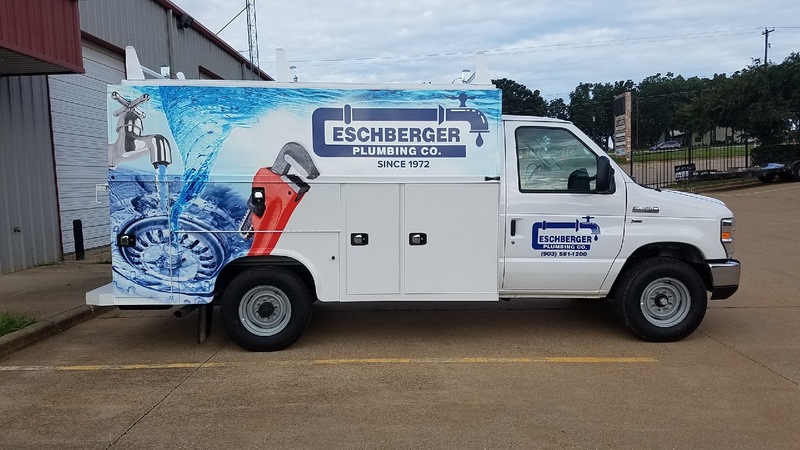 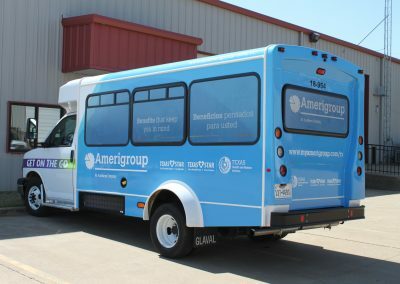 By combining state-of-the-art printing equipment and supplies with our deep well of experience in the industry, we always deliver the highest quality results for your vehicle’s new look. 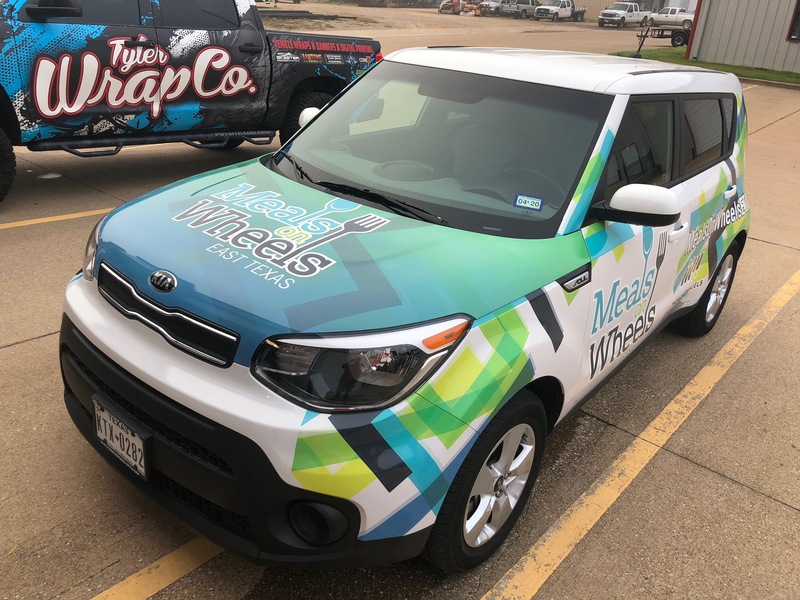 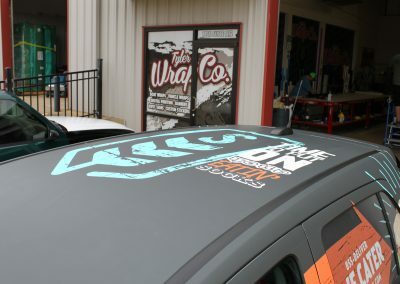 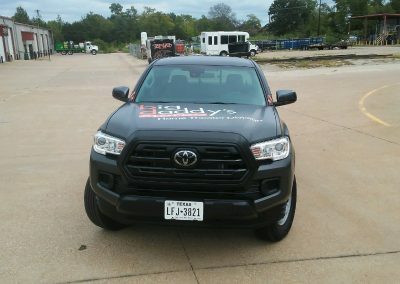 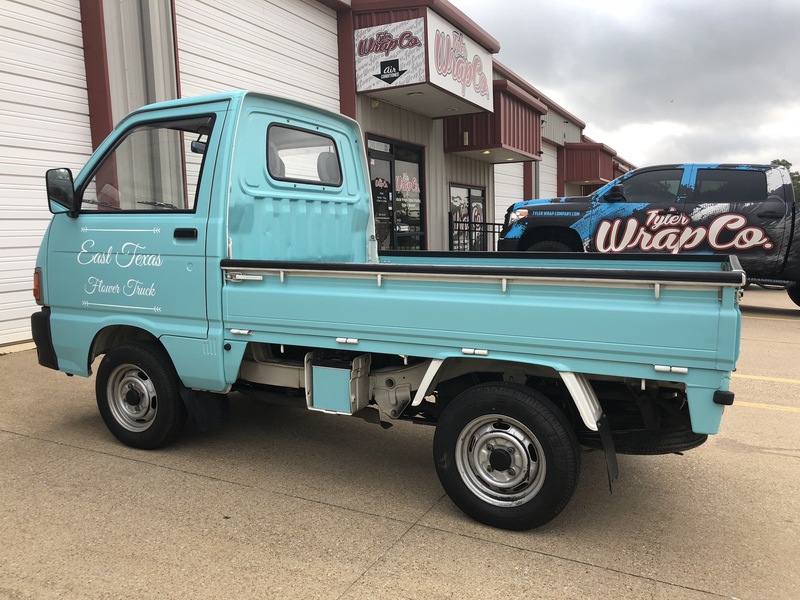 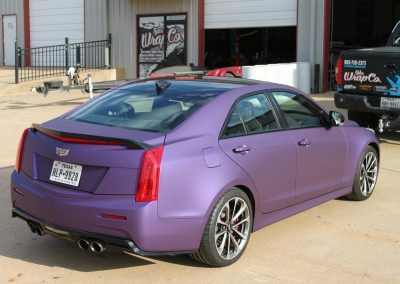 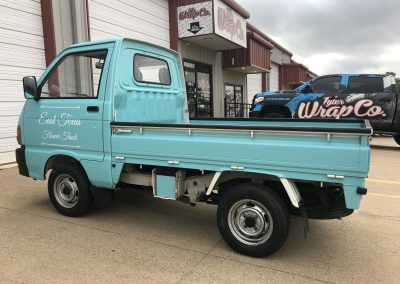 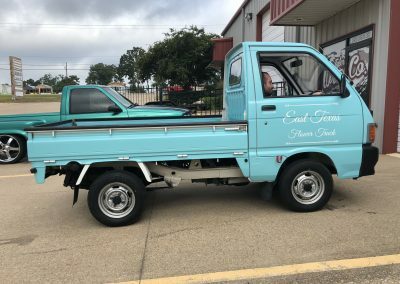 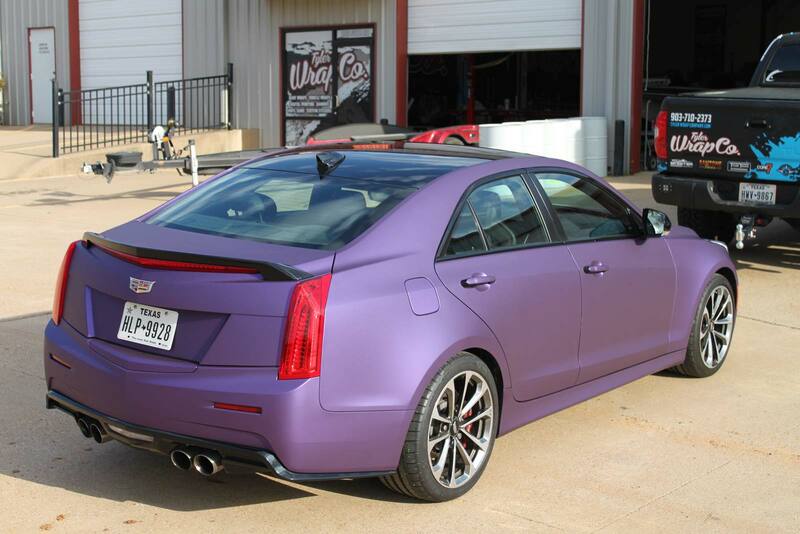 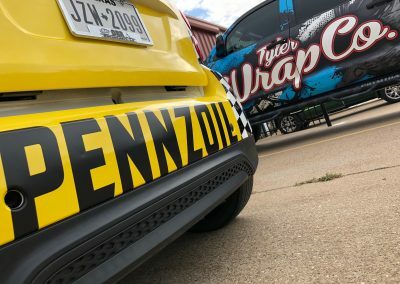 With more than 15 years in the wrap business, your vehicle is in good hands with Tyler Wrap Company. 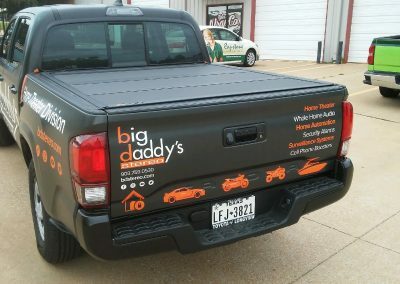 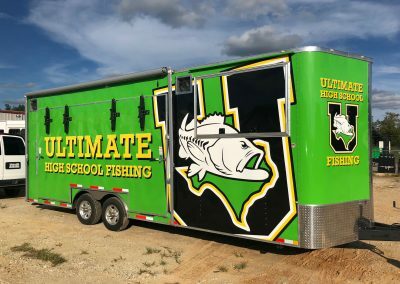 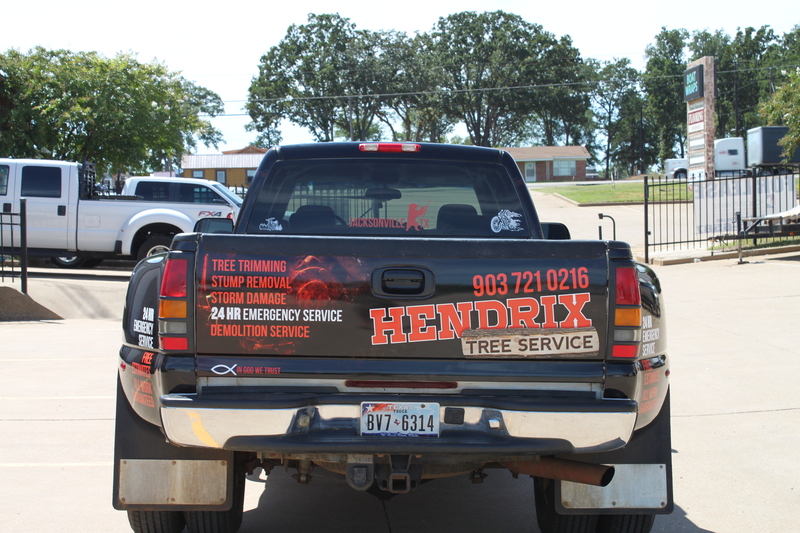 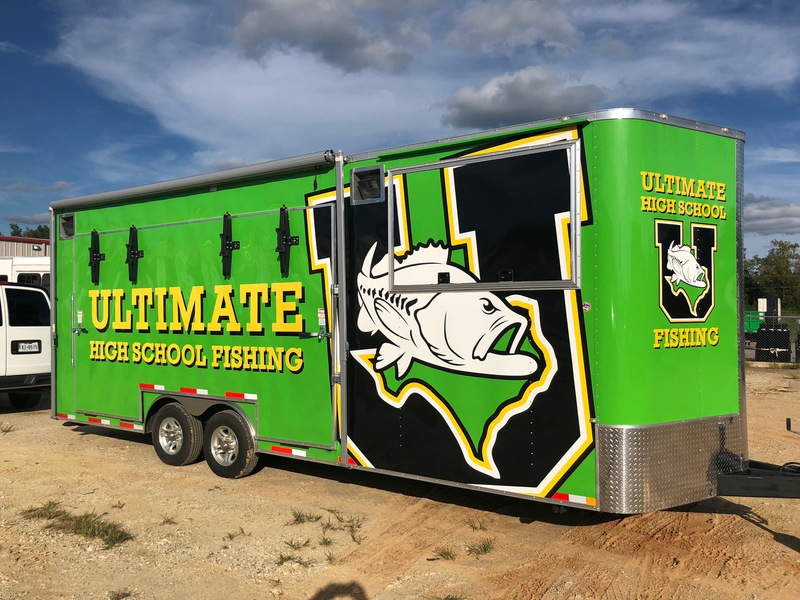 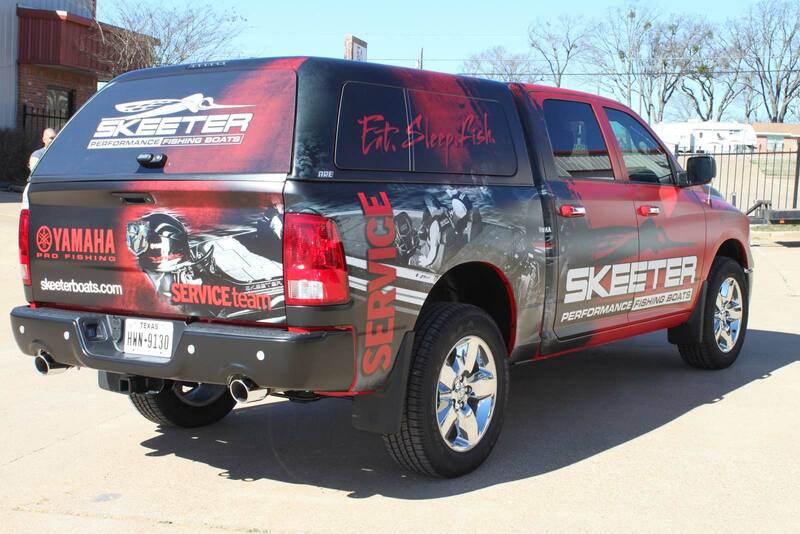 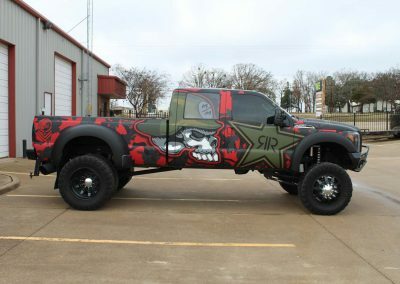 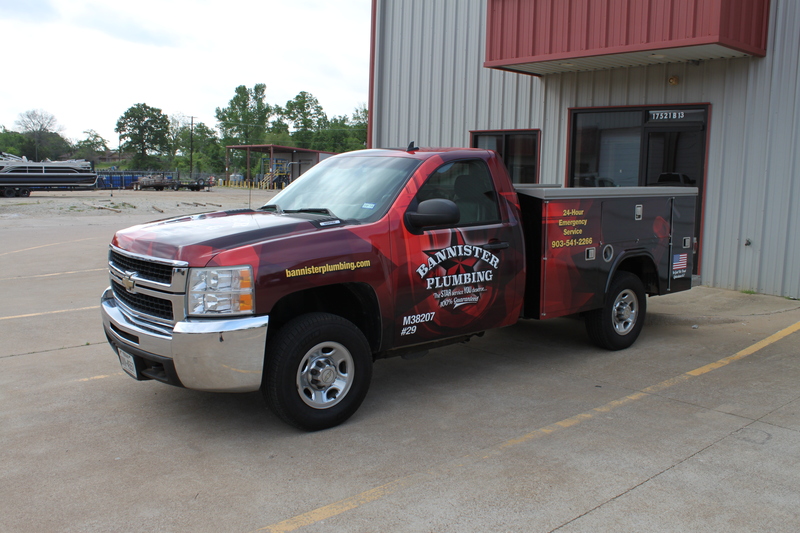 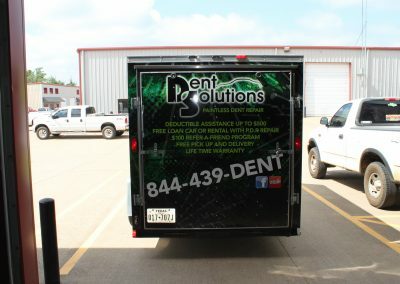 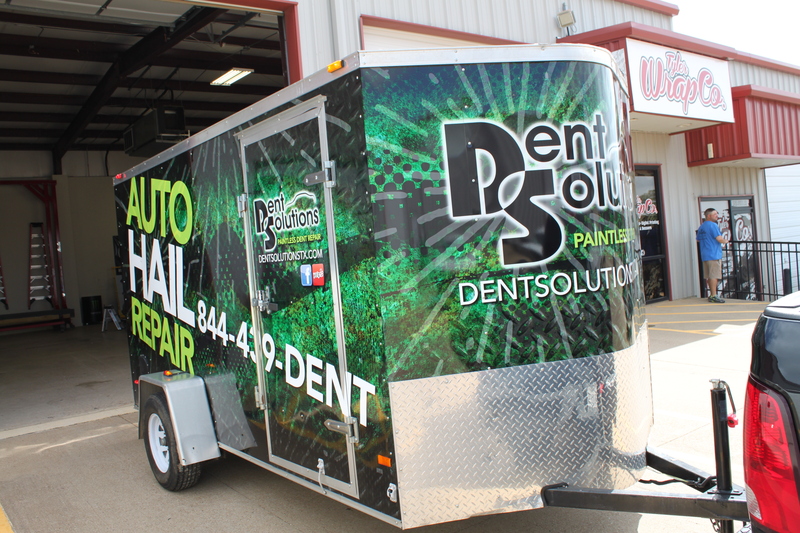 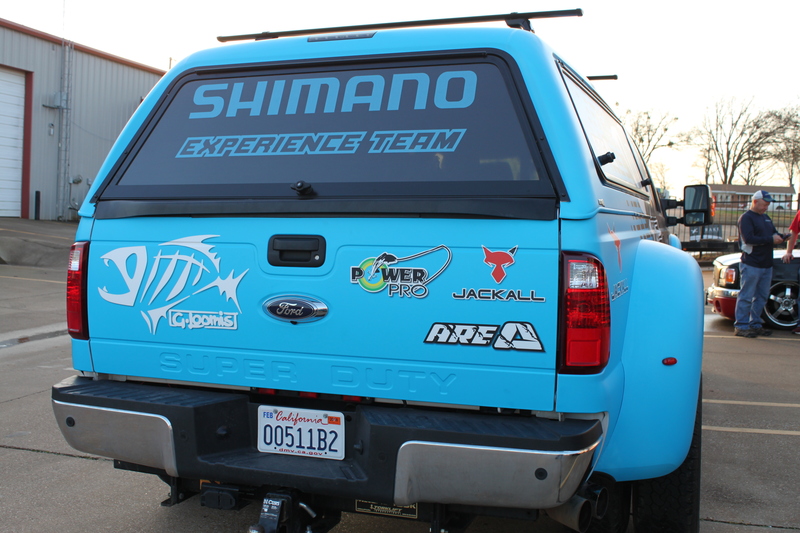 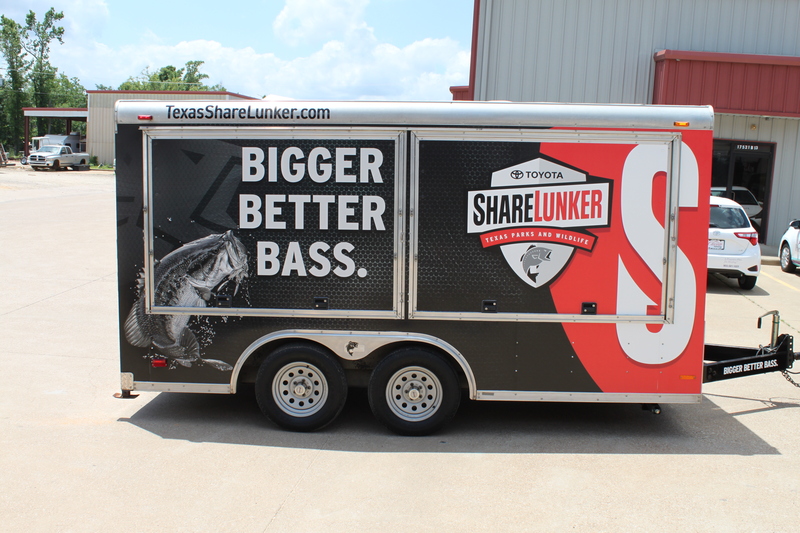 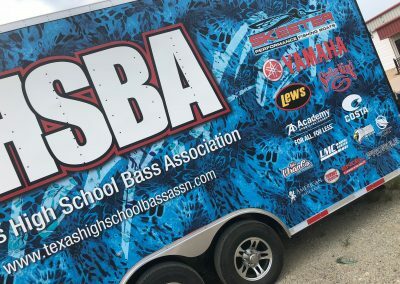 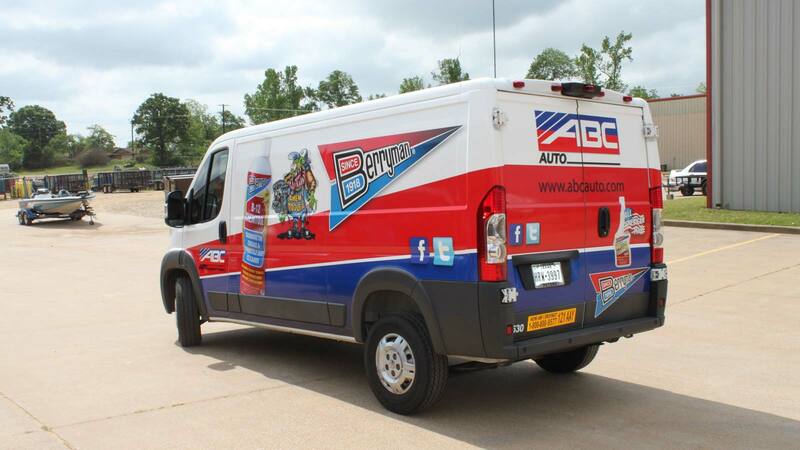 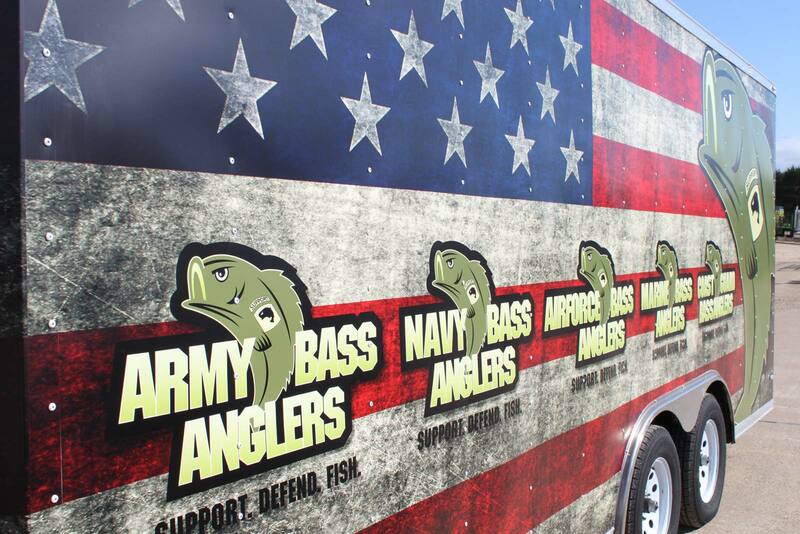 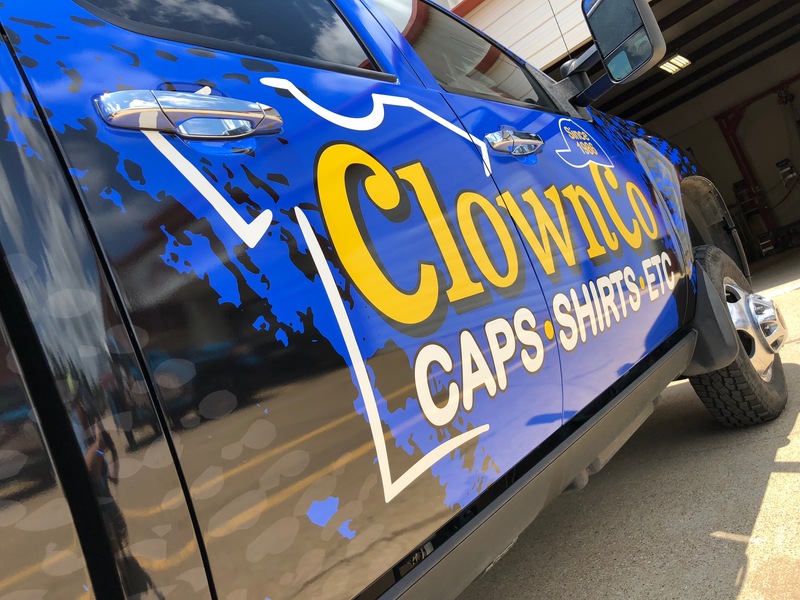 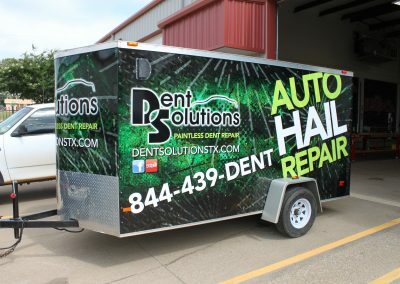 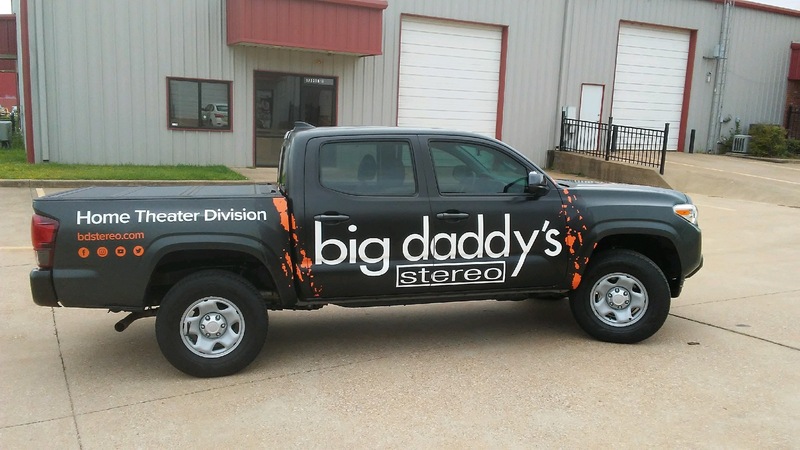 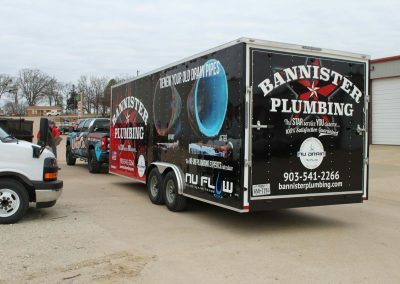 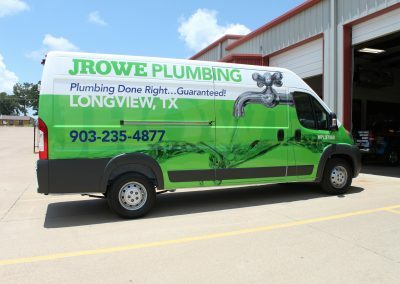 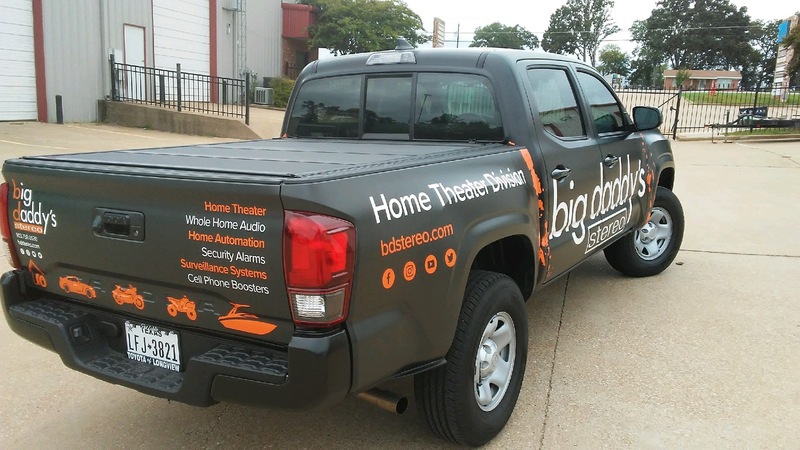 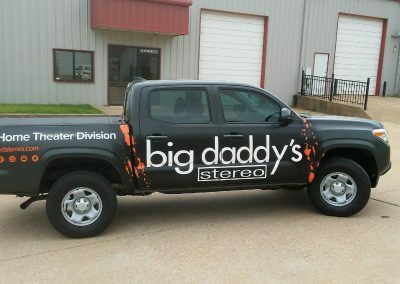 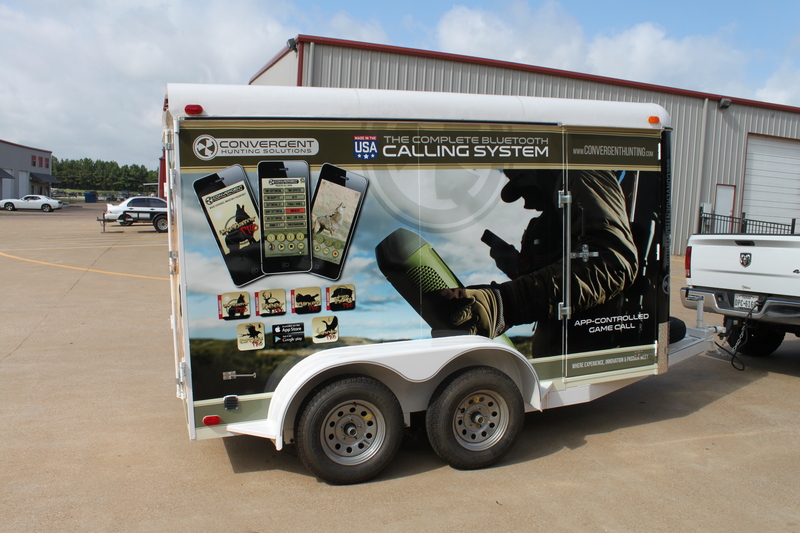 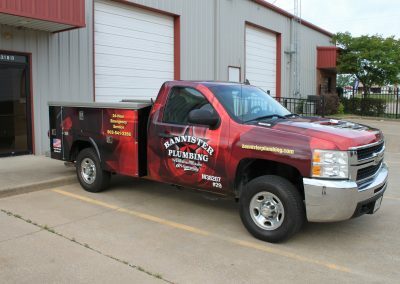 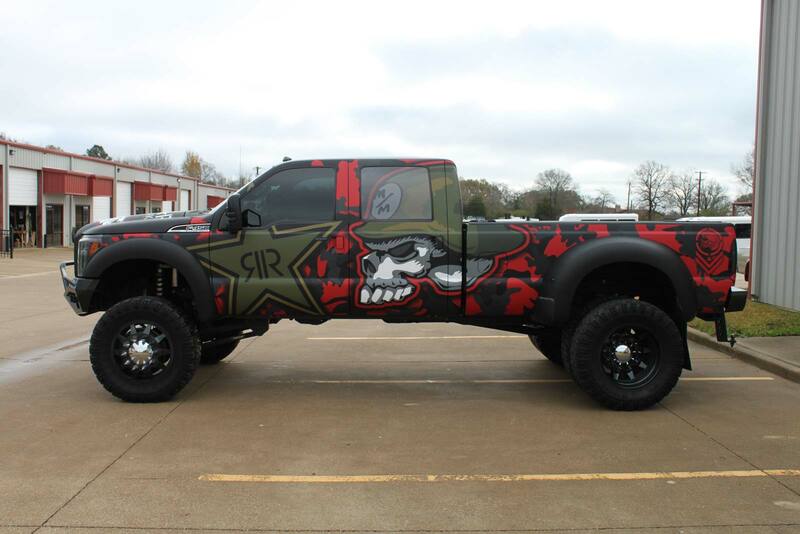 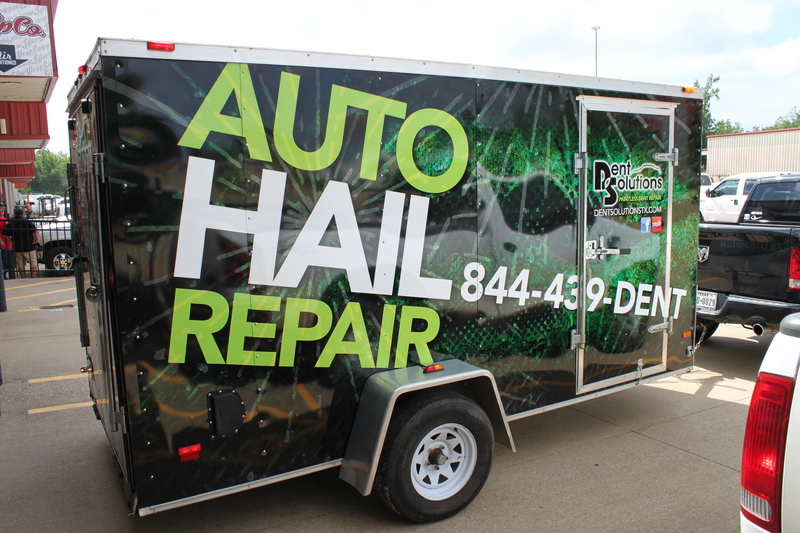 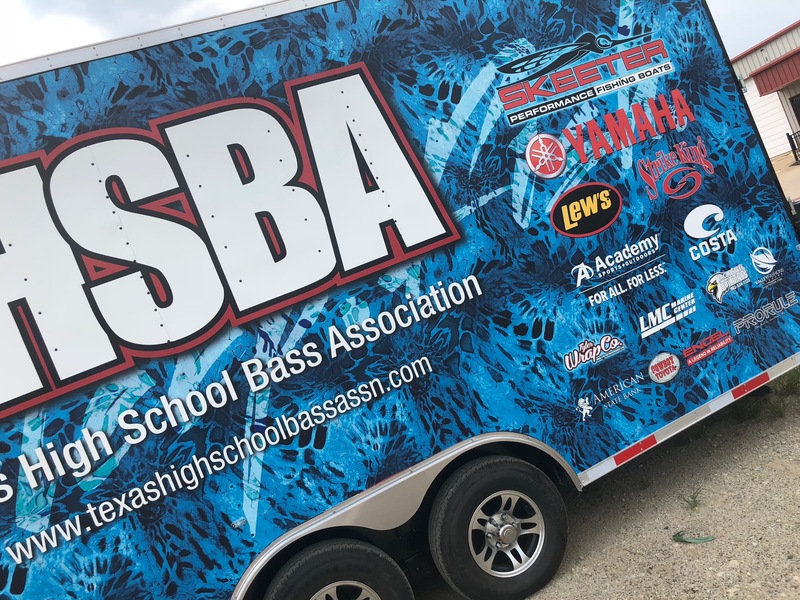 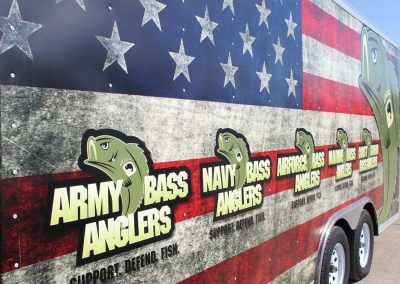 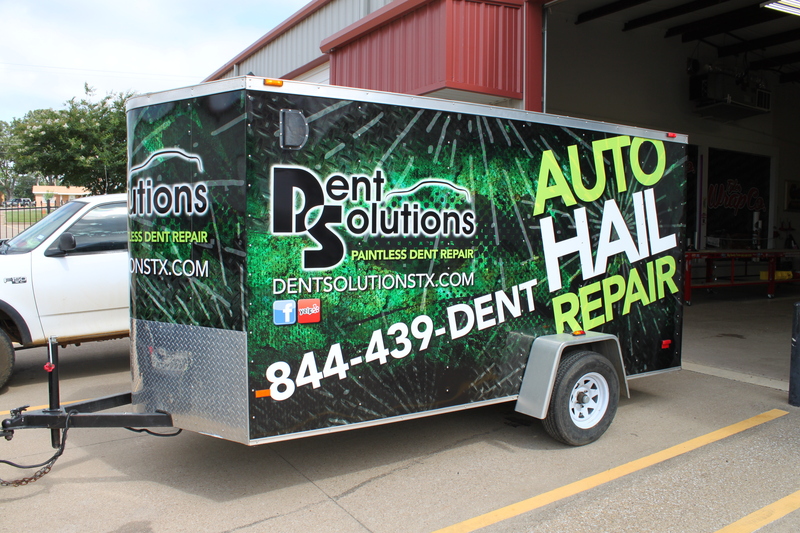 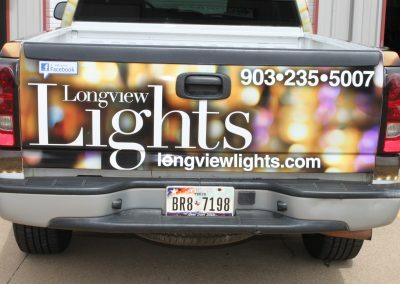 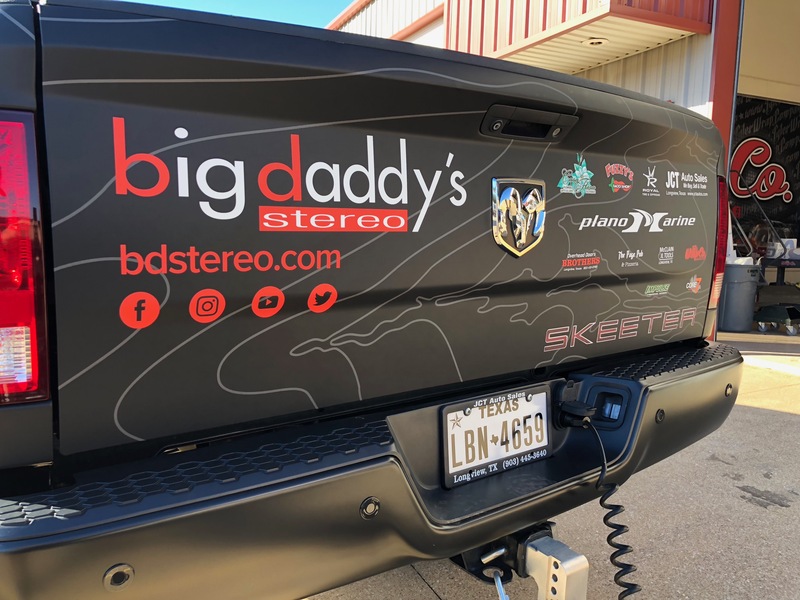 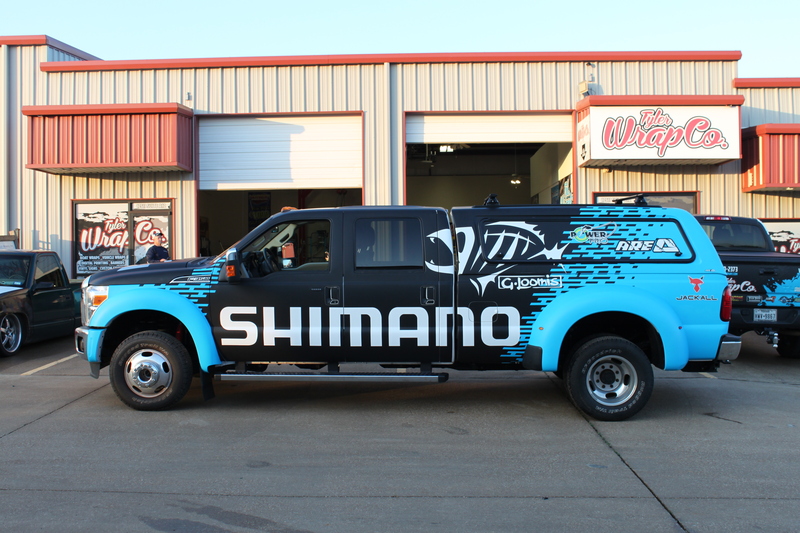 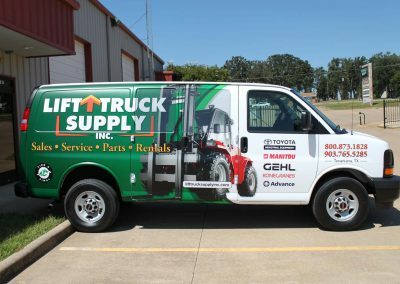 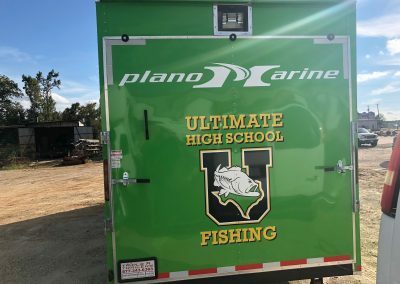 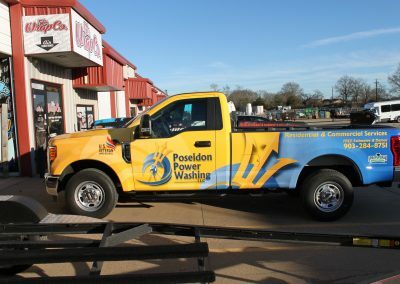 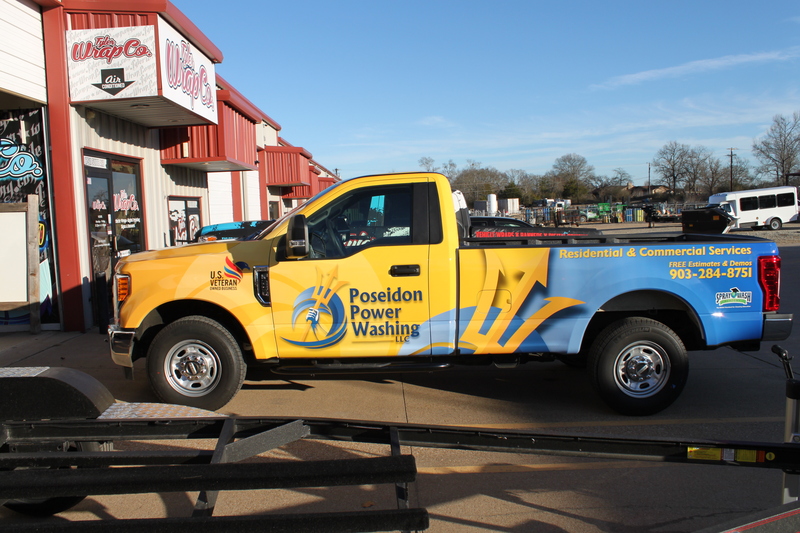 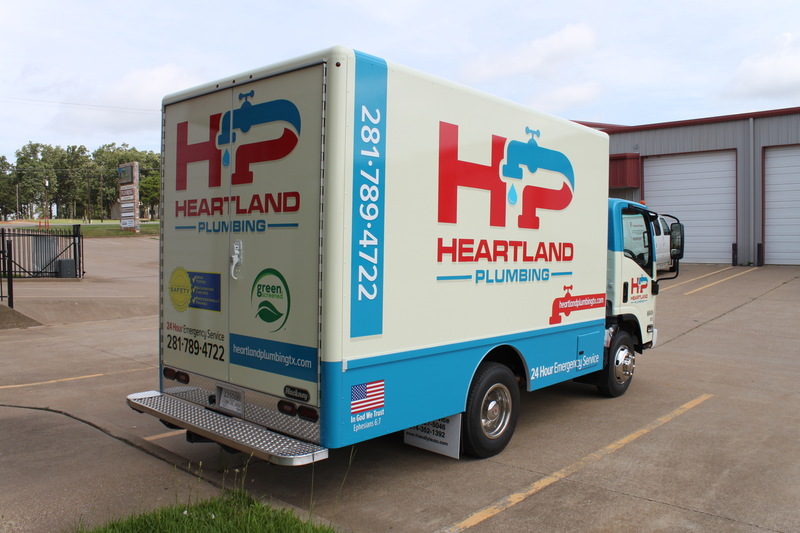 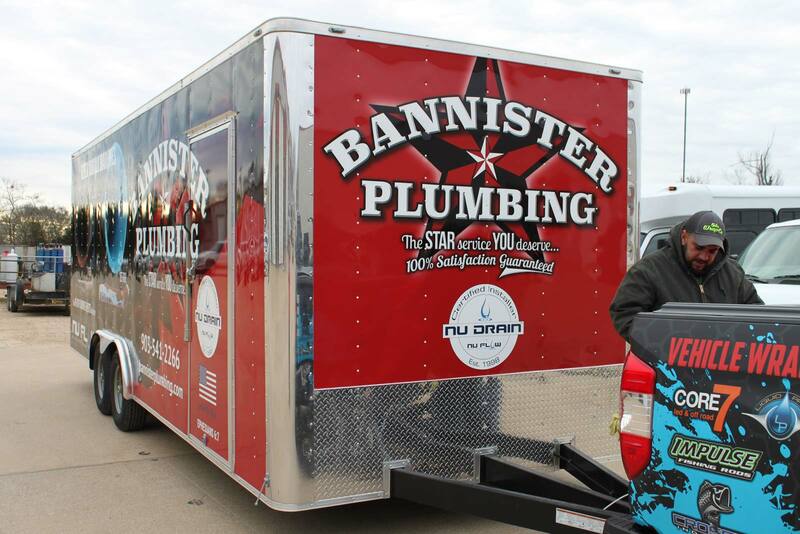 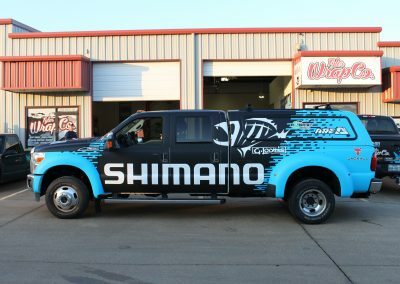 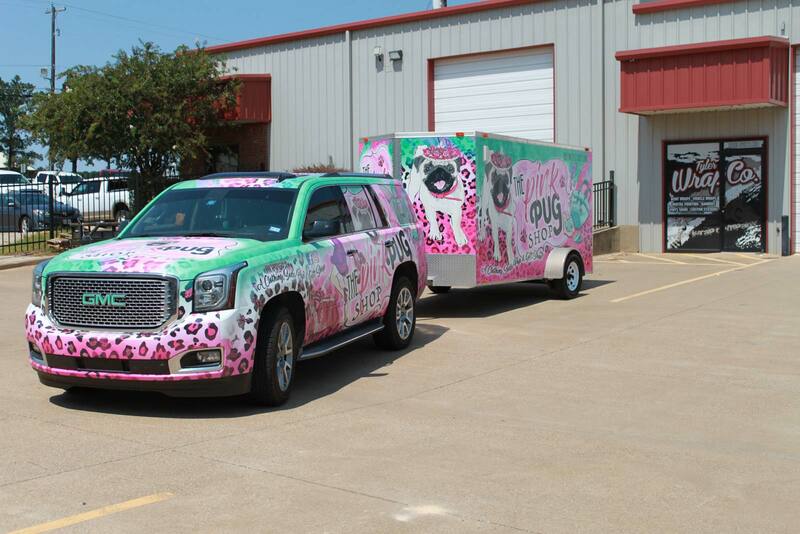 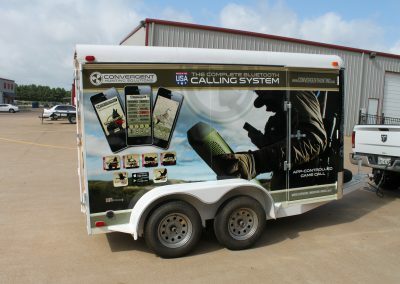 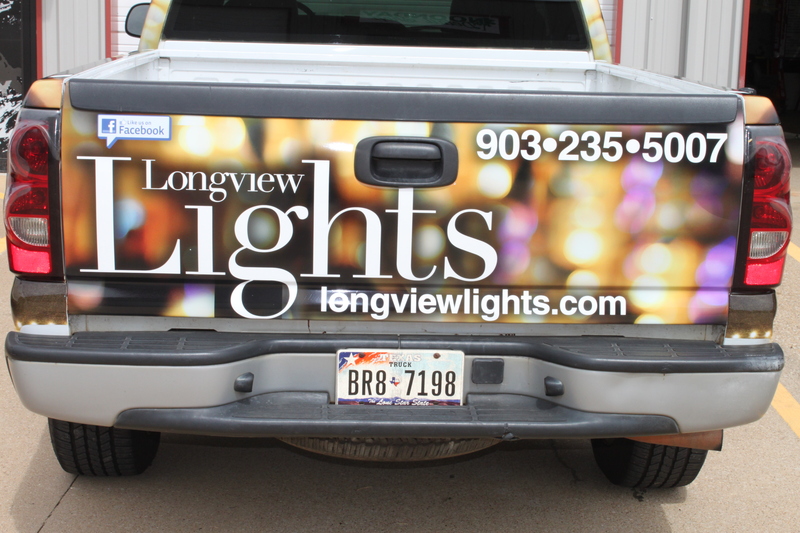 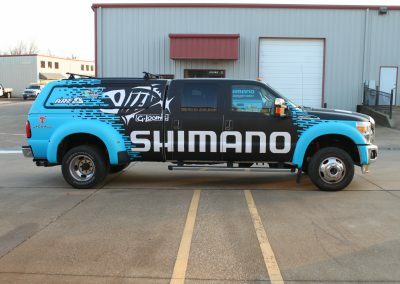 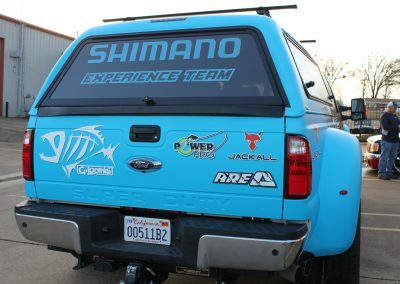 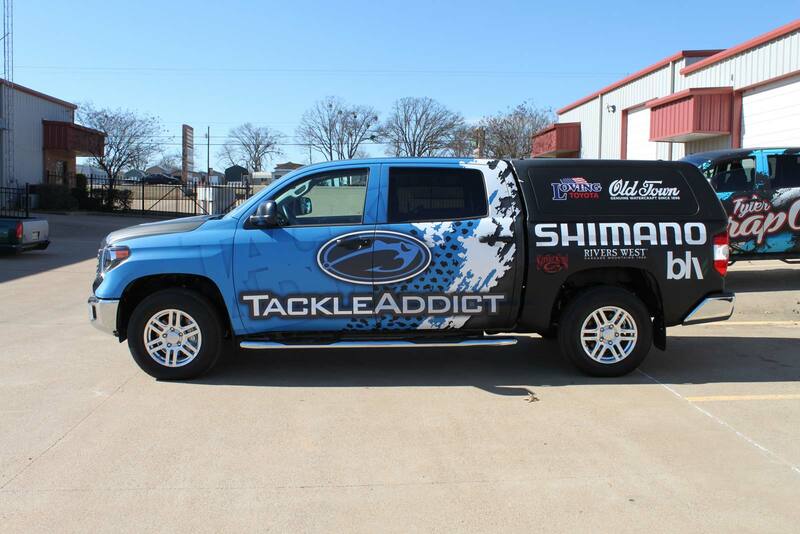 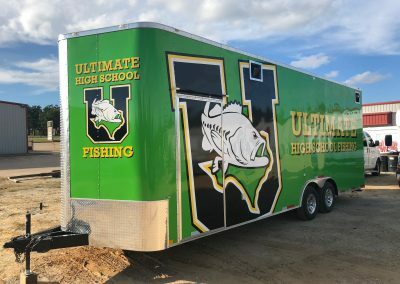 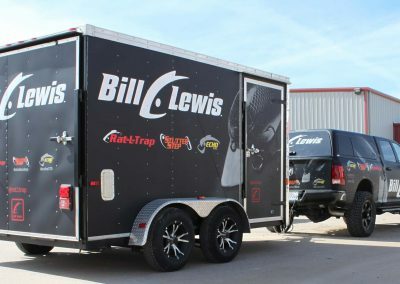 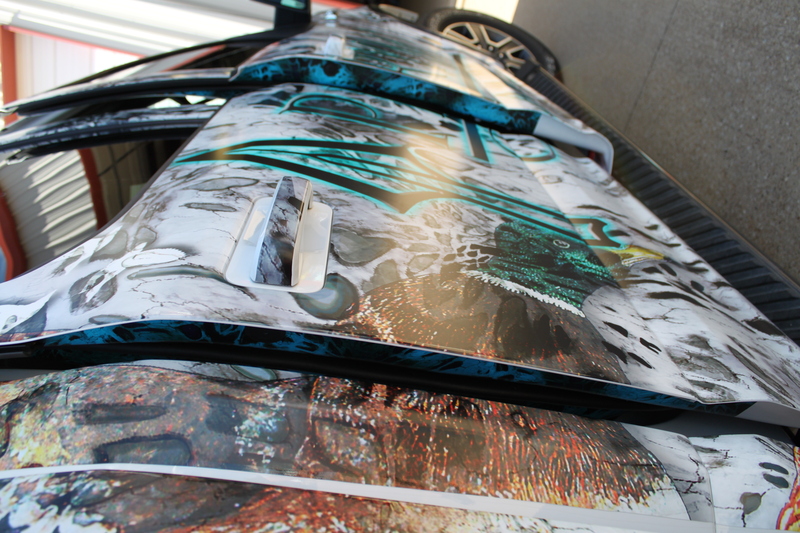 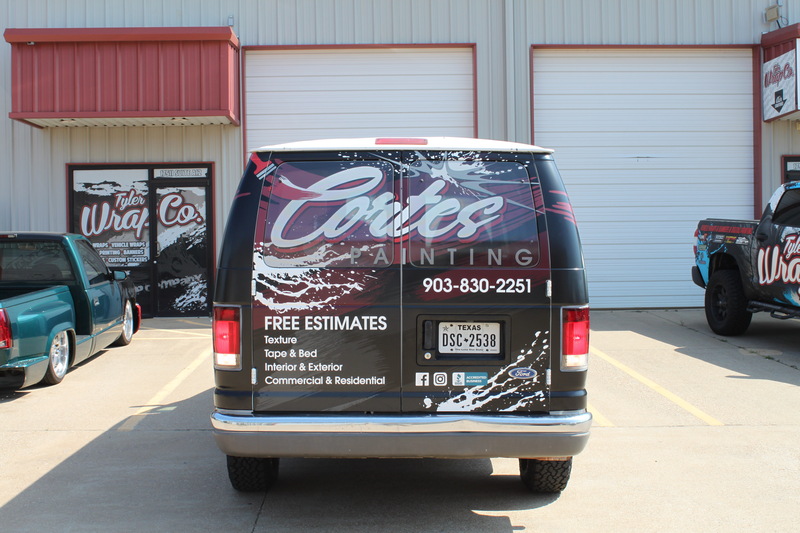 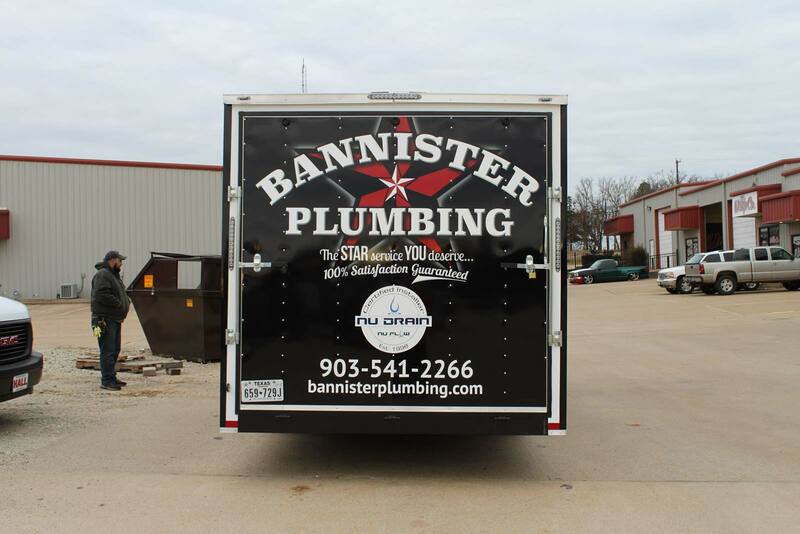 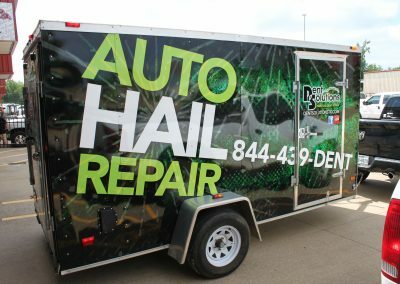 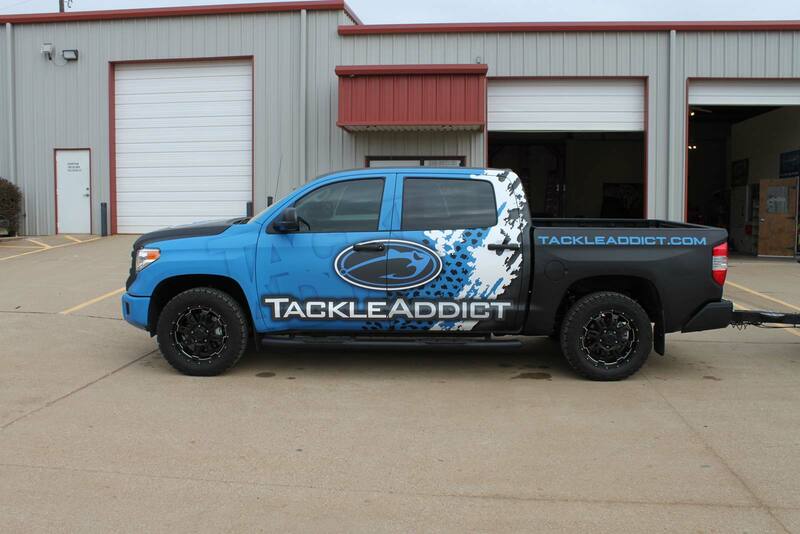 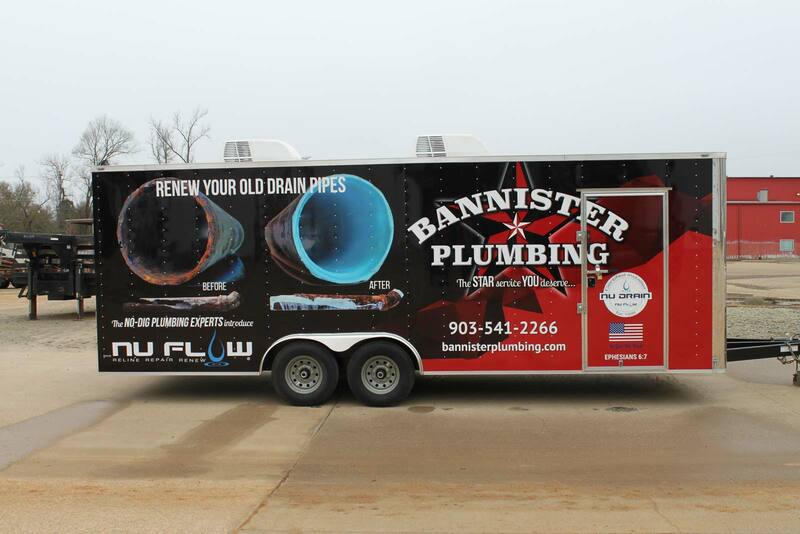 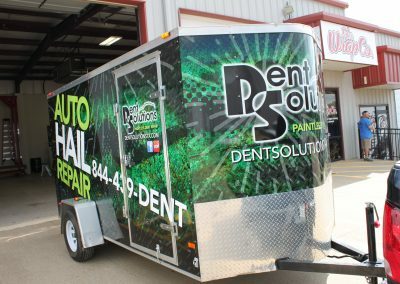 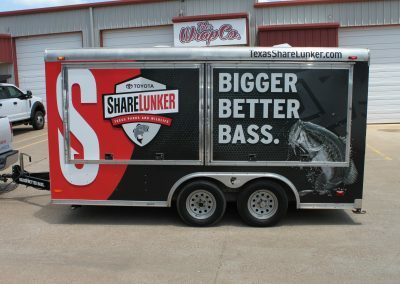 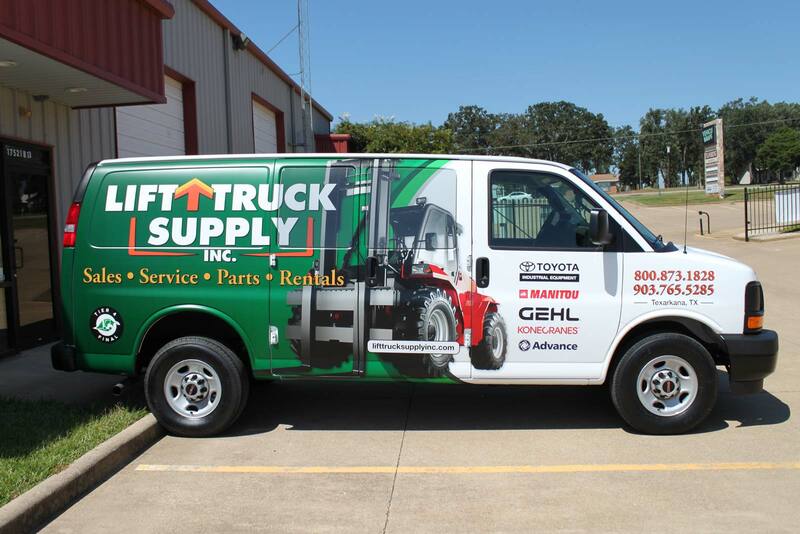 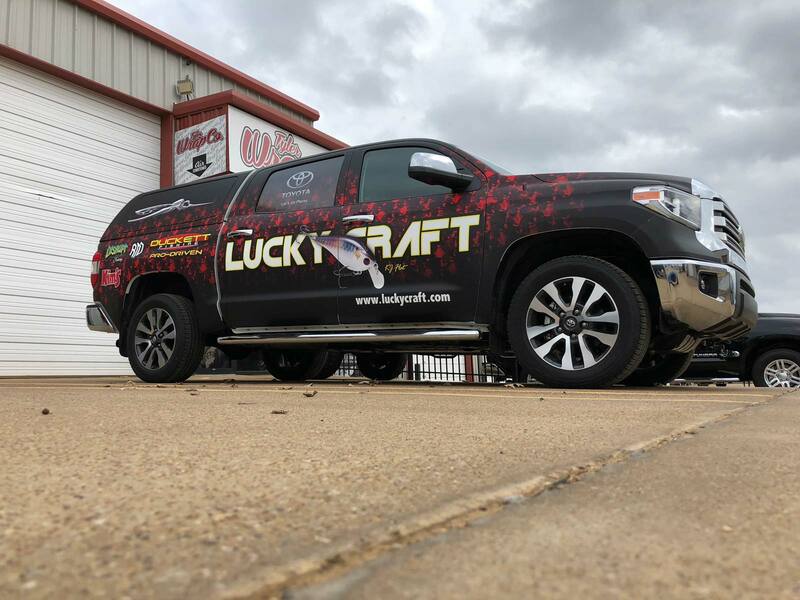 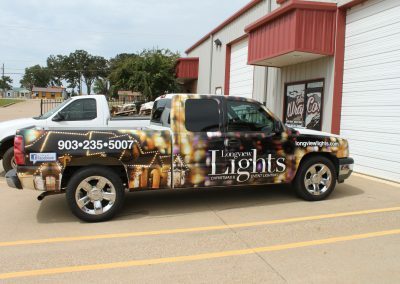 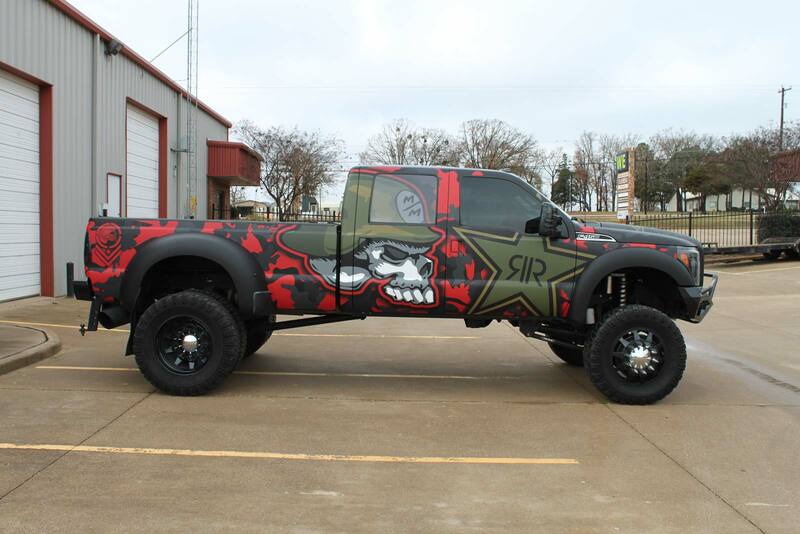 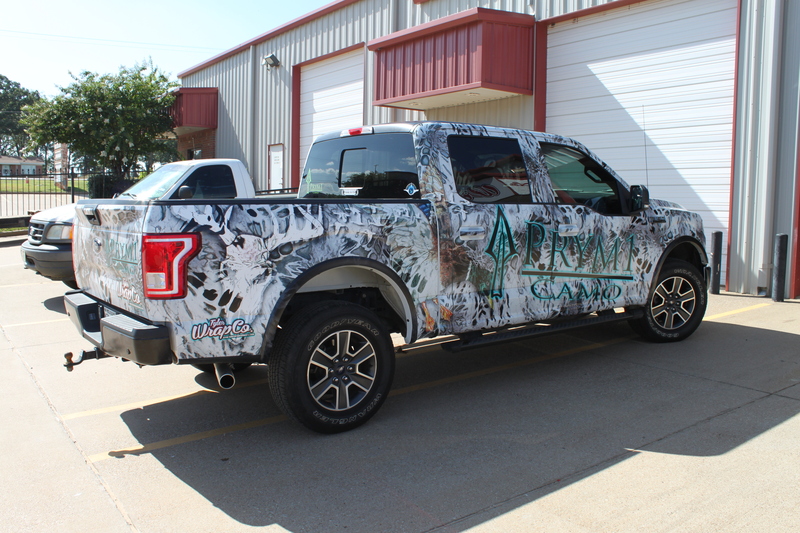 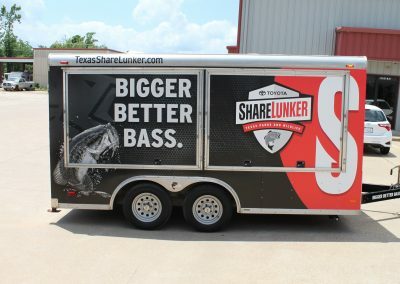 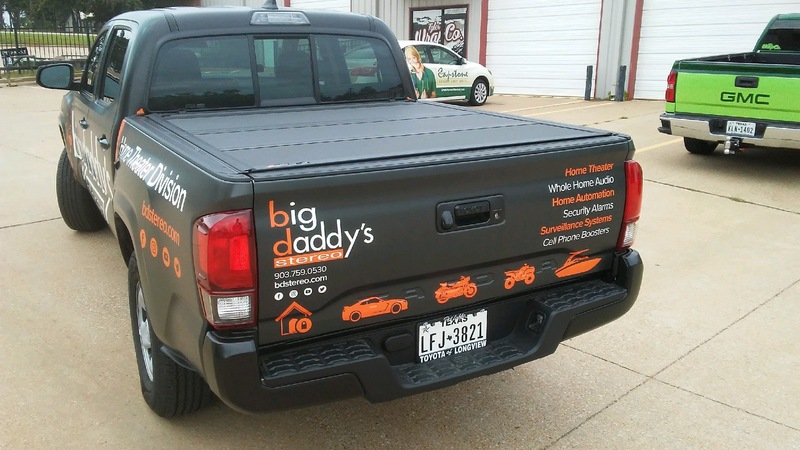 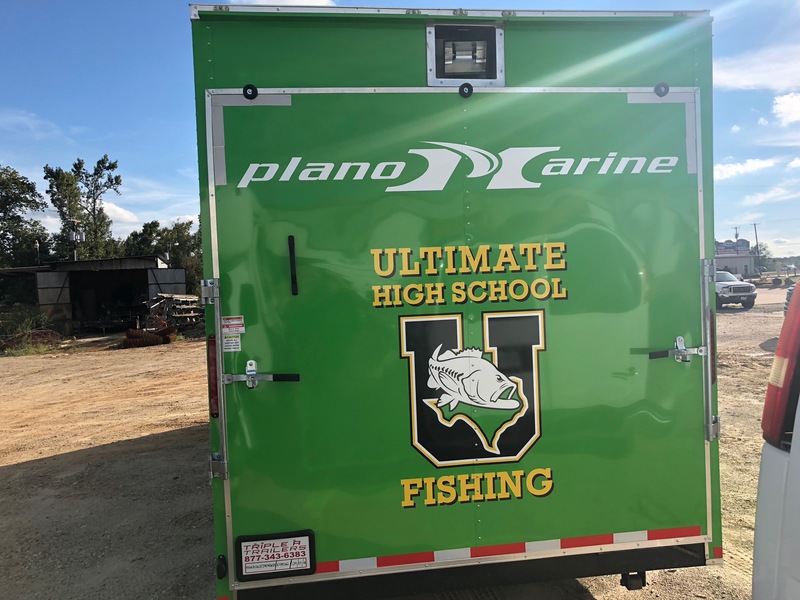 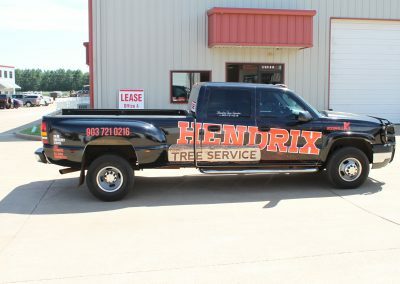 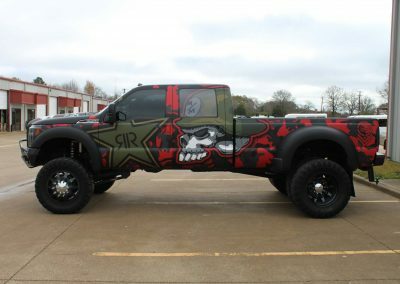 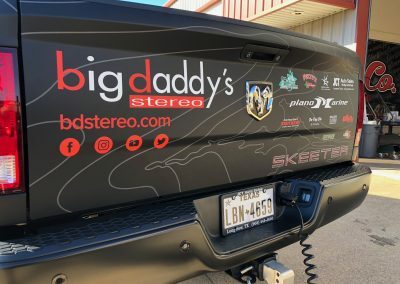 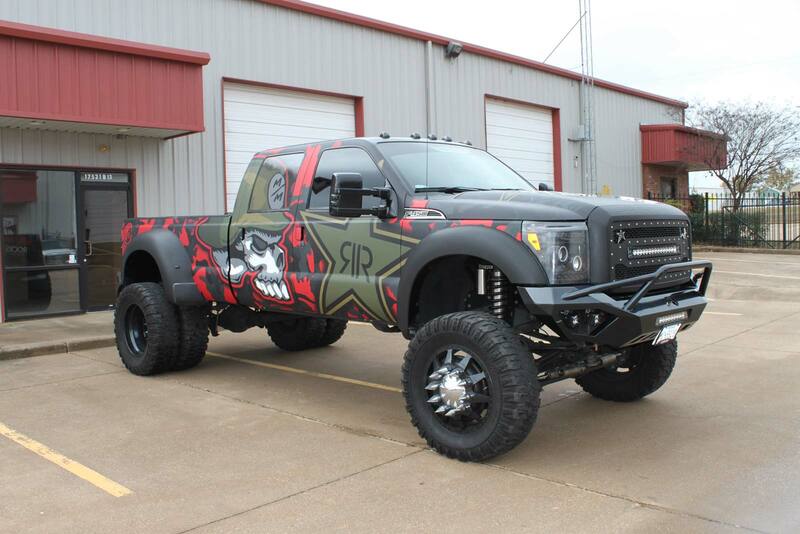 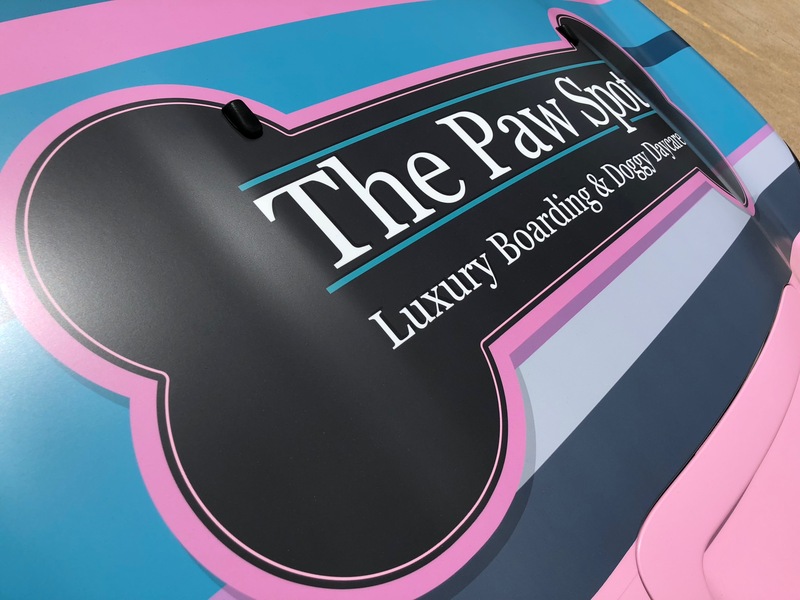 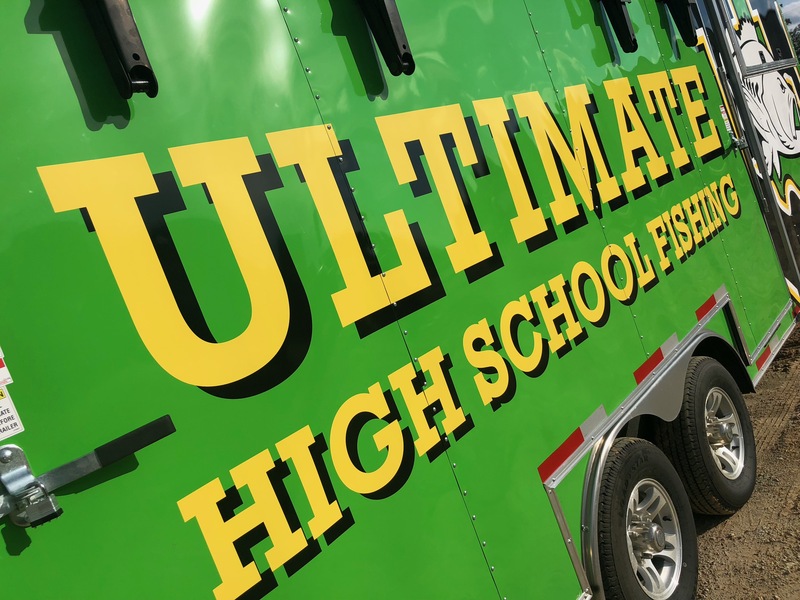 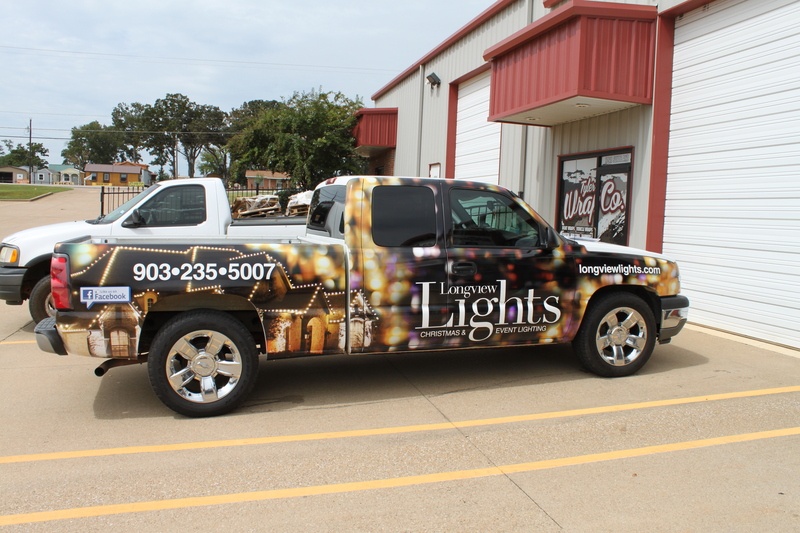 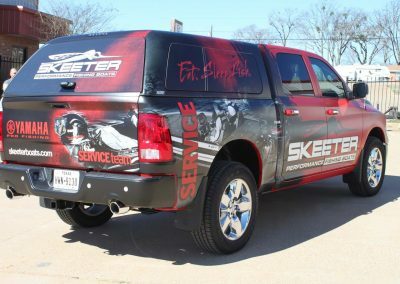 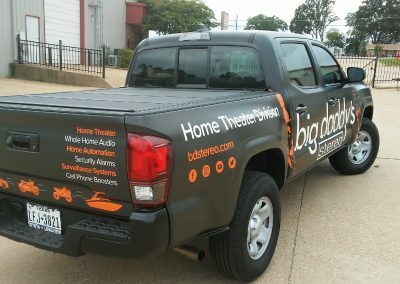 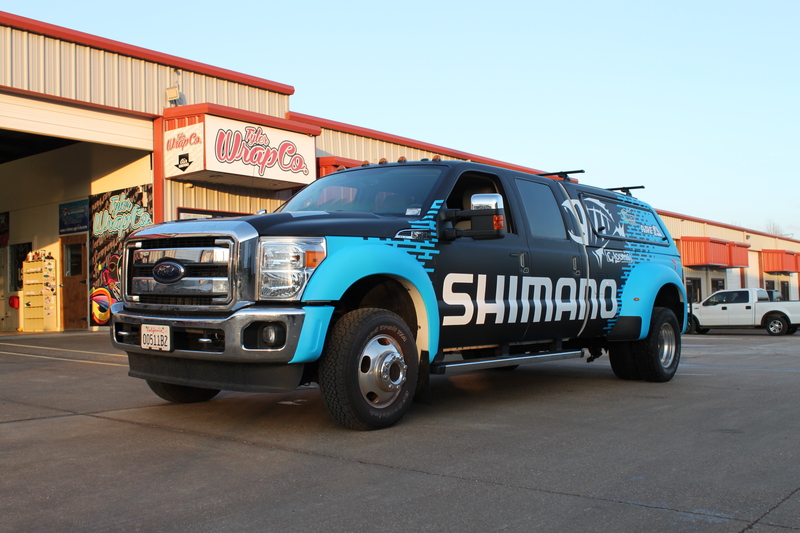 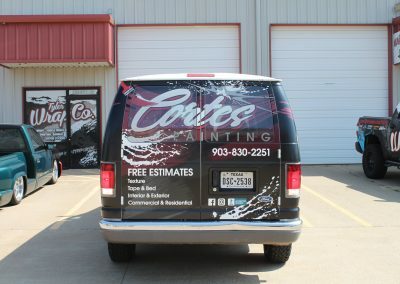 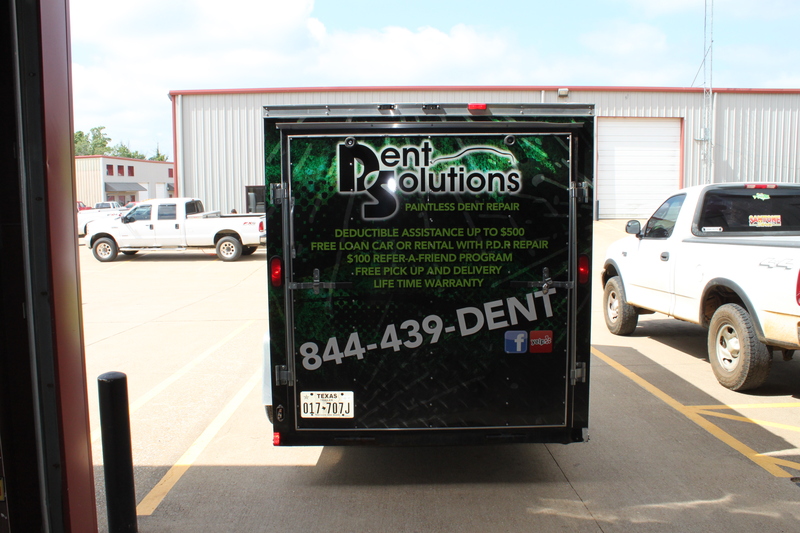 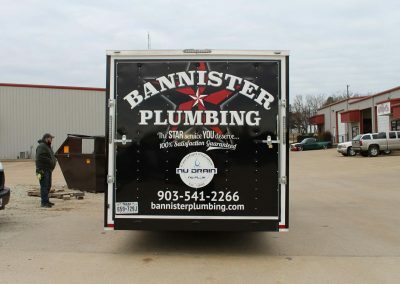 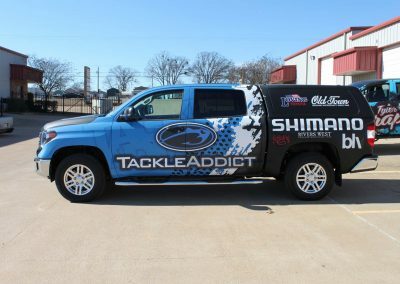 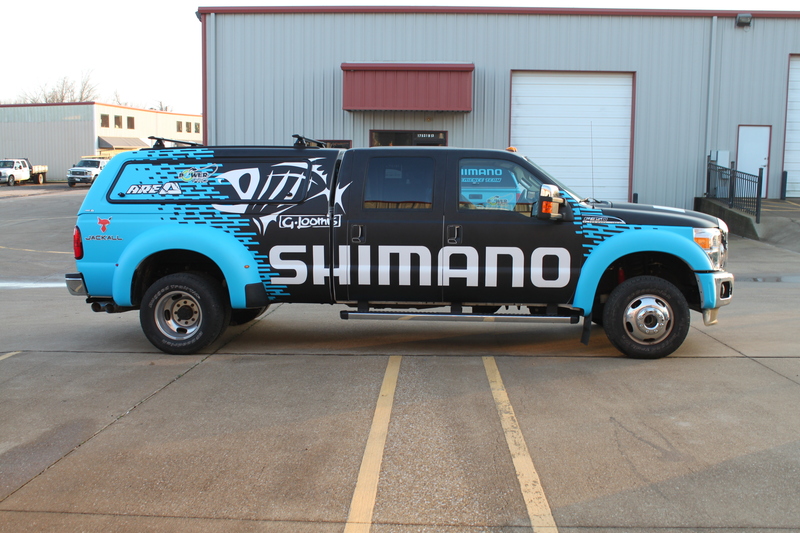 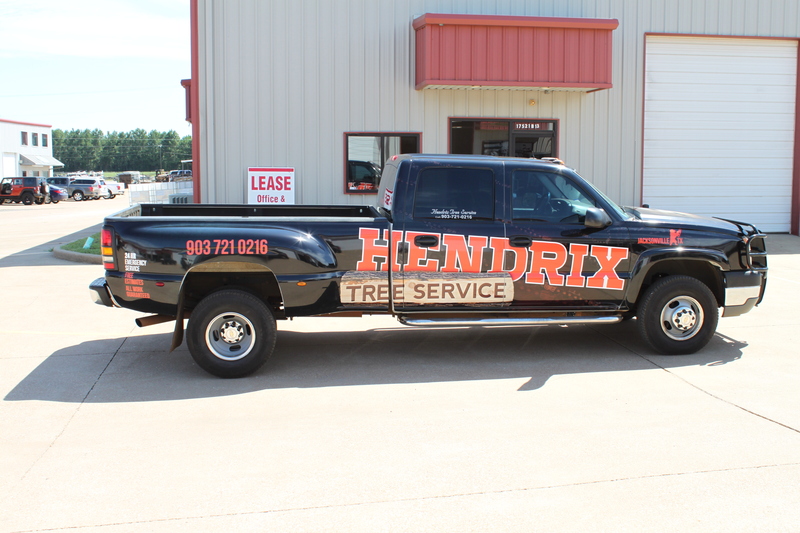 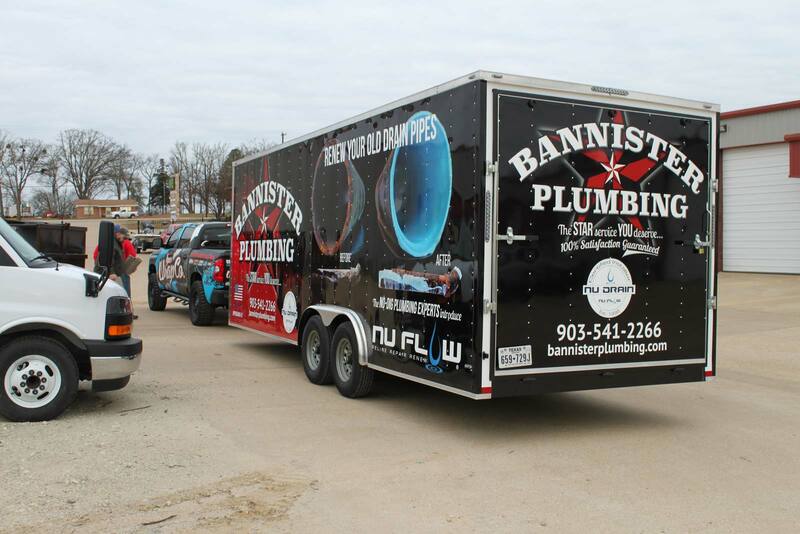 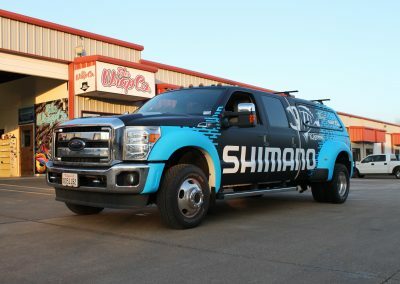 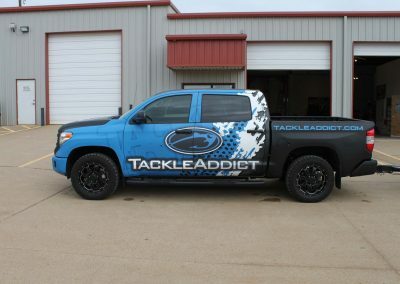 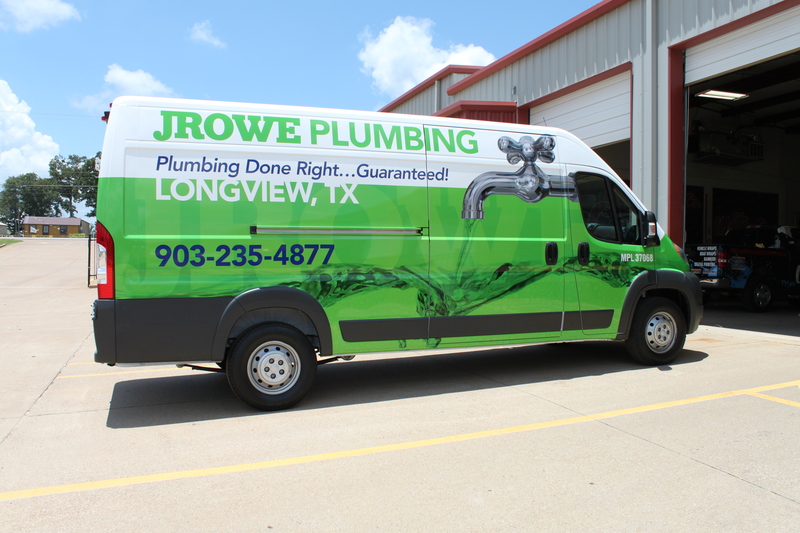 Give us a call to discuss your truck, boat, fleet, or trailer’s custom wrap. 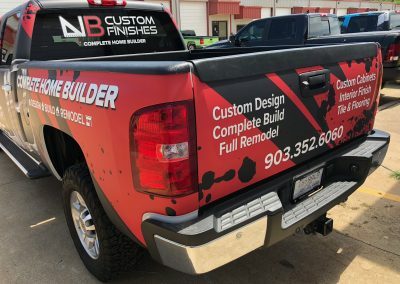 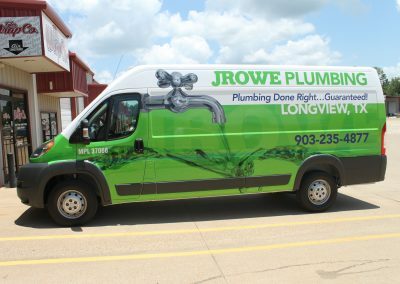 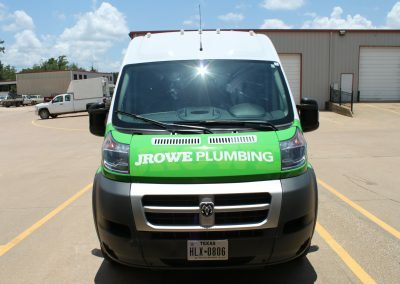 Our competitive pricing and unparalleled workmanship means you’ll reach more customers and make more impressions in no time.